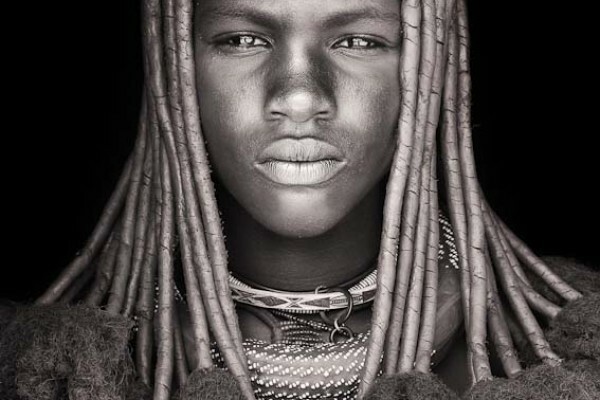 Sons and Daughters of Wind. 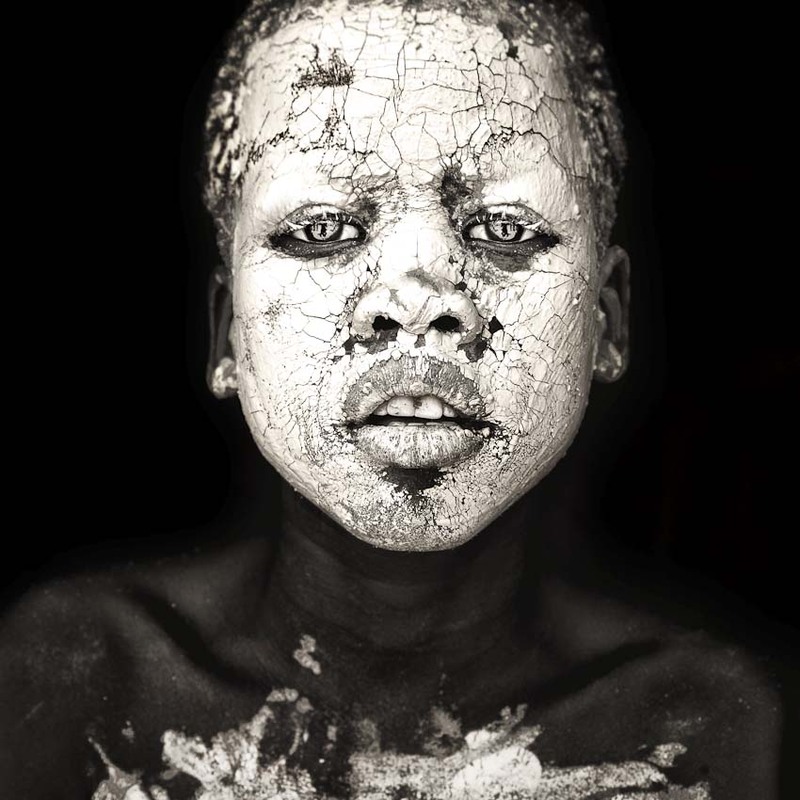 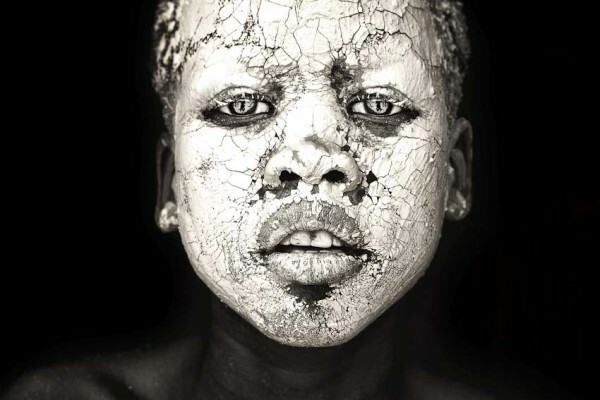 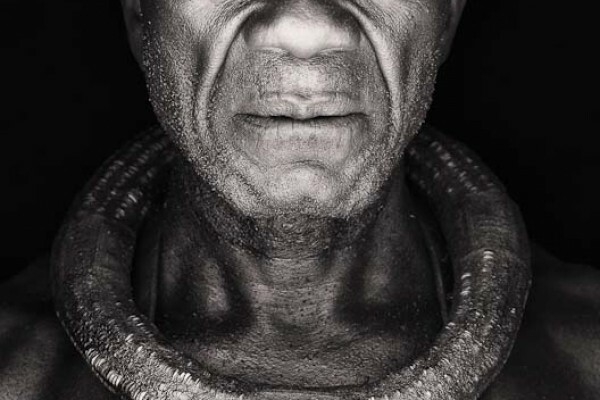 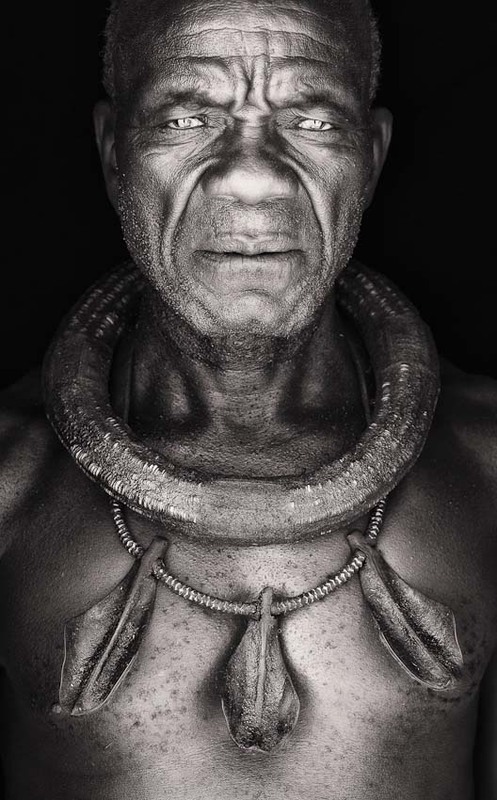 With this evocative title the greatest german photographer Mario Gerth presents us his latest work, which is the results from a physical and psychological journey across Africa's remotest regions that tooks more than 50 months. 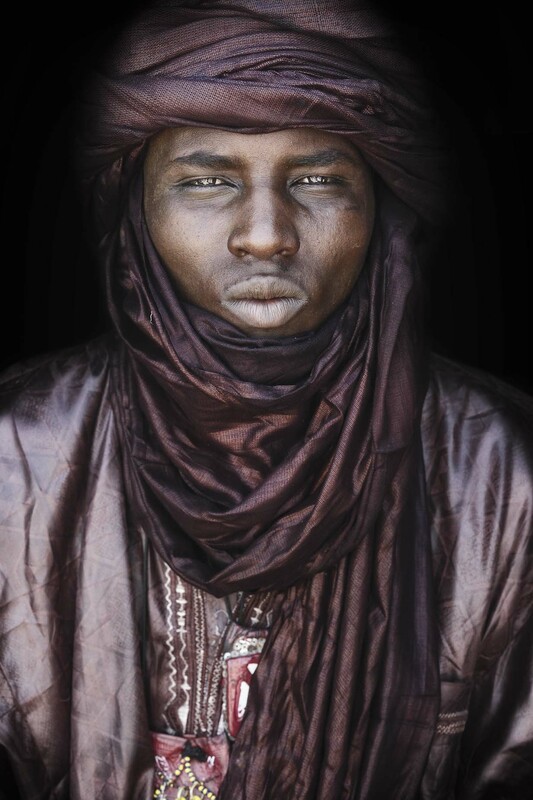 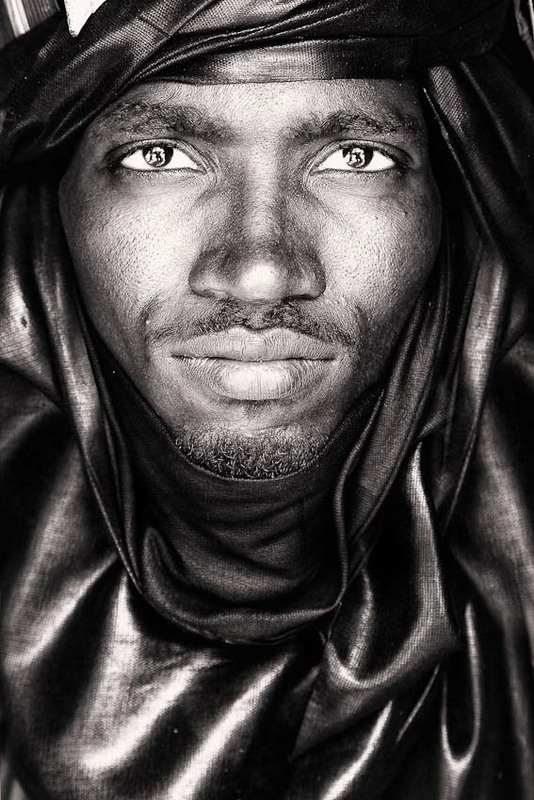 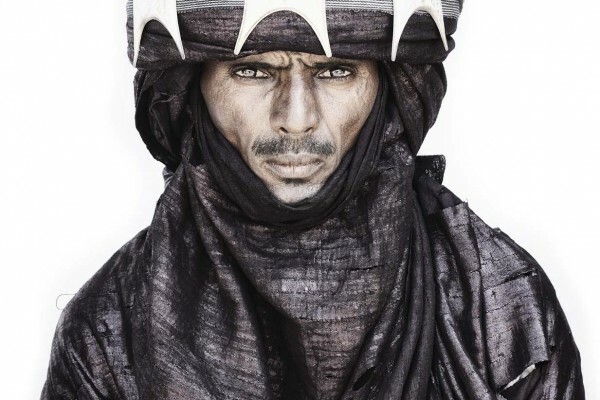 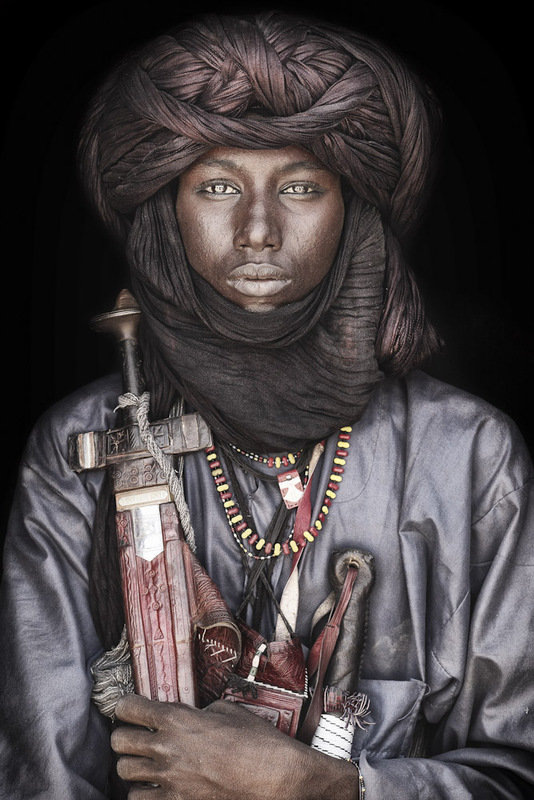 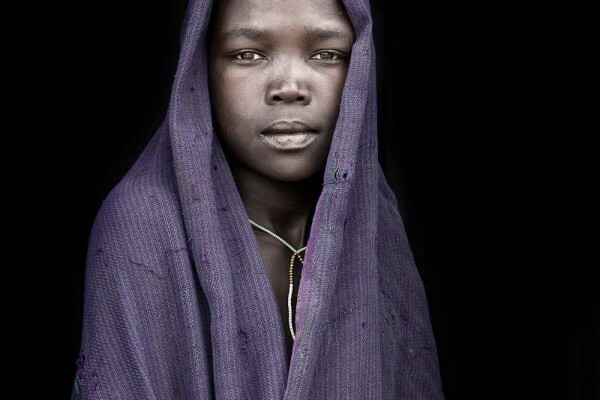 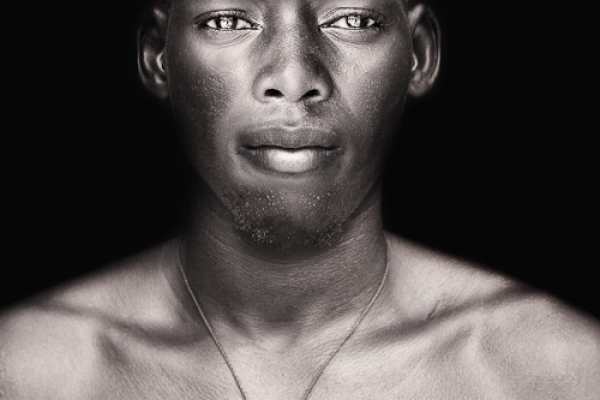 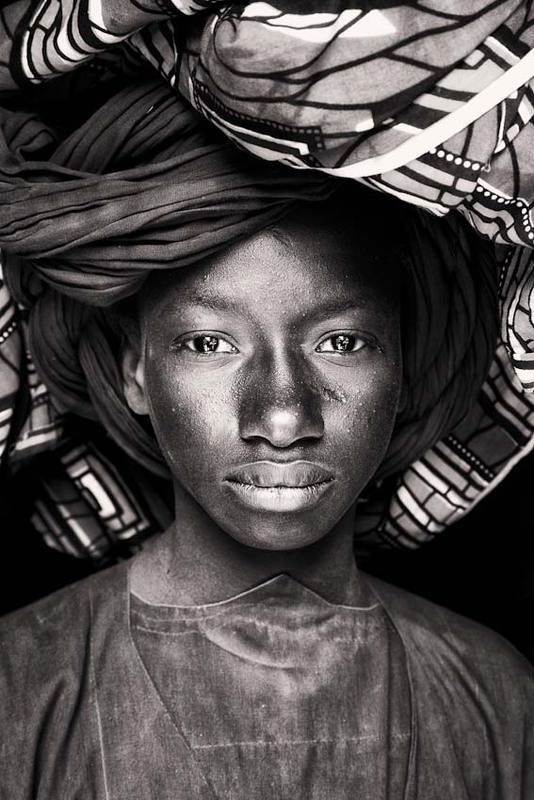 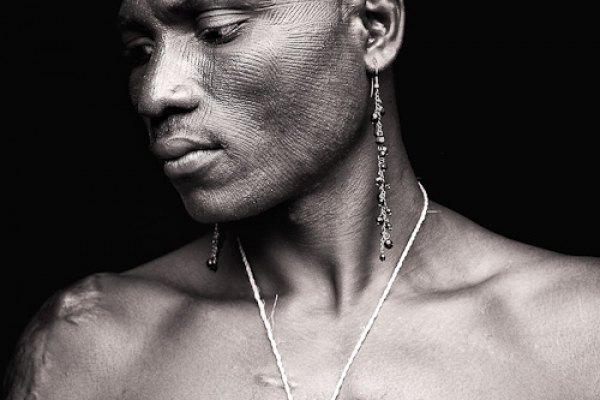 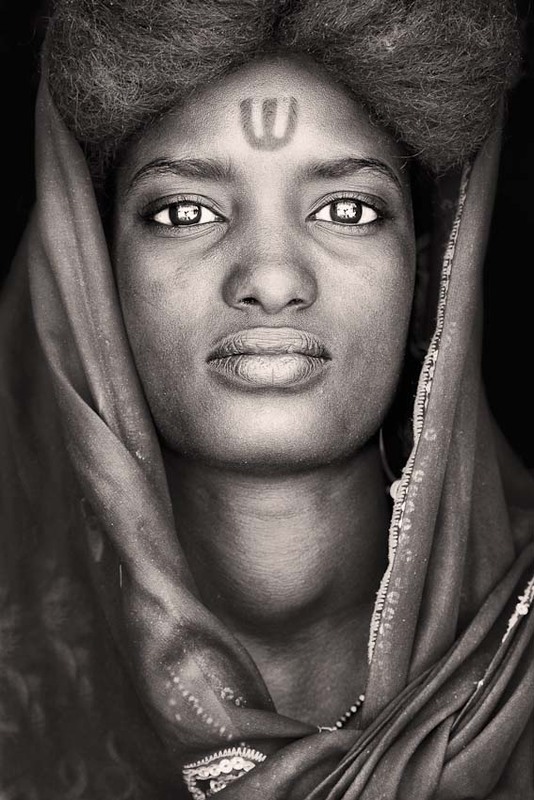 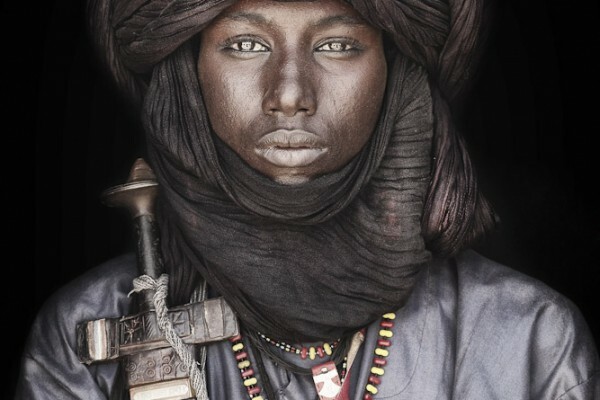 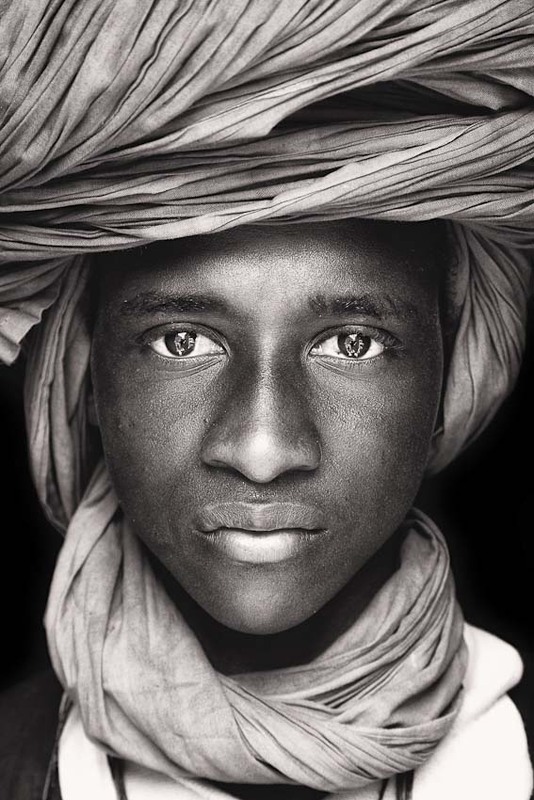 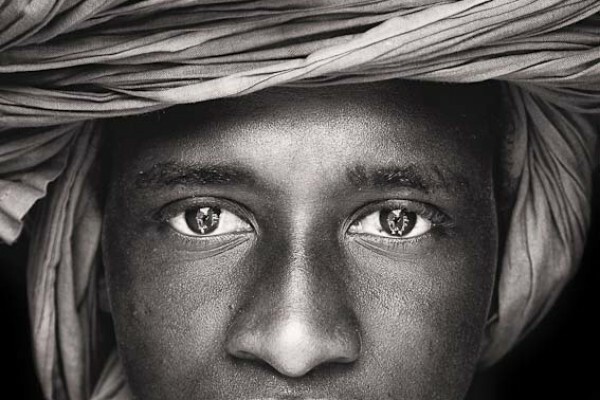 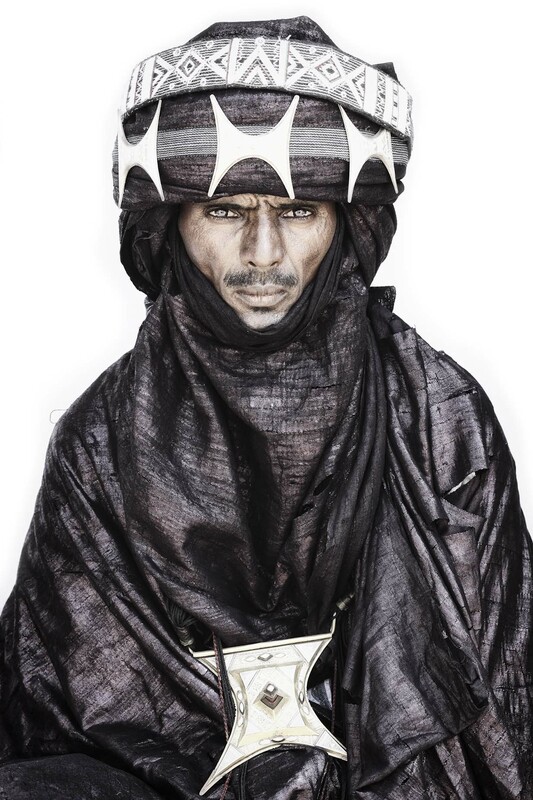 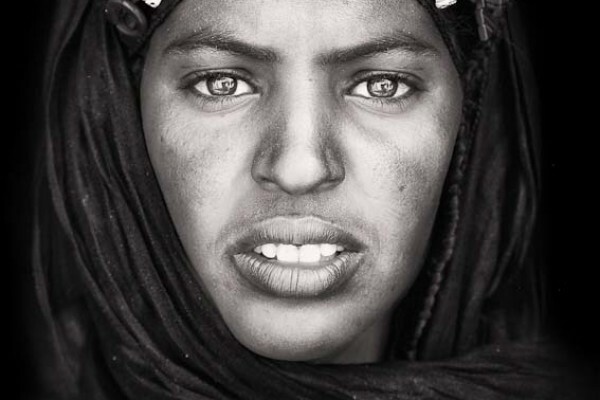 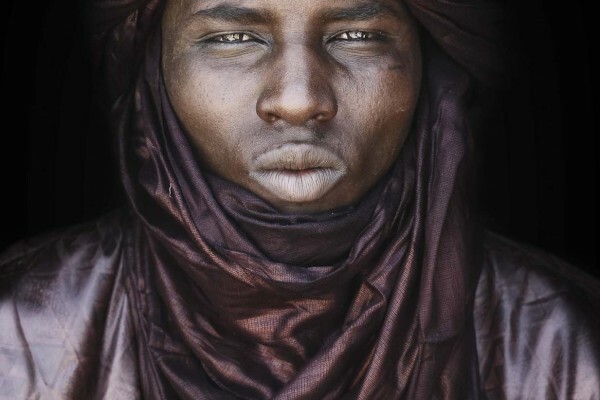 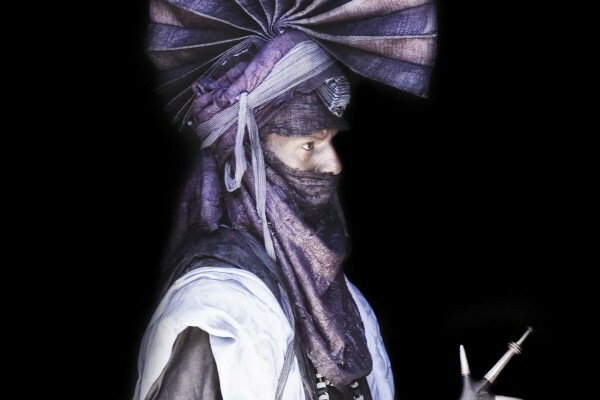 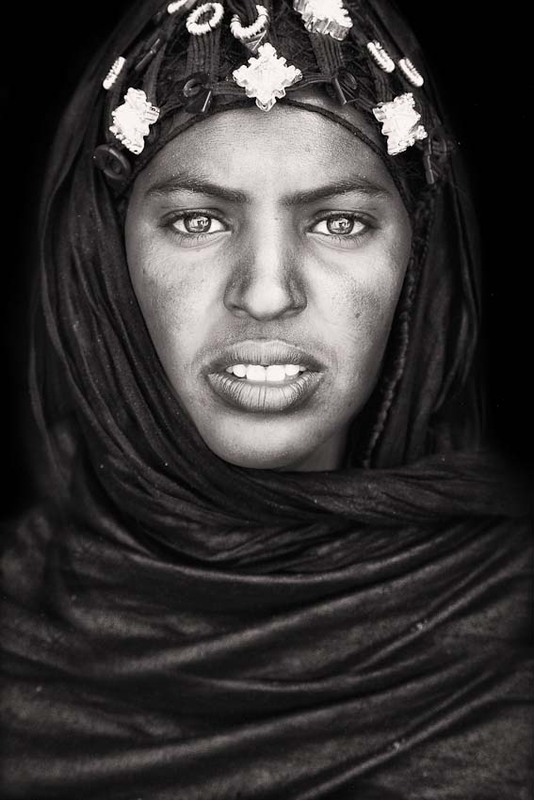 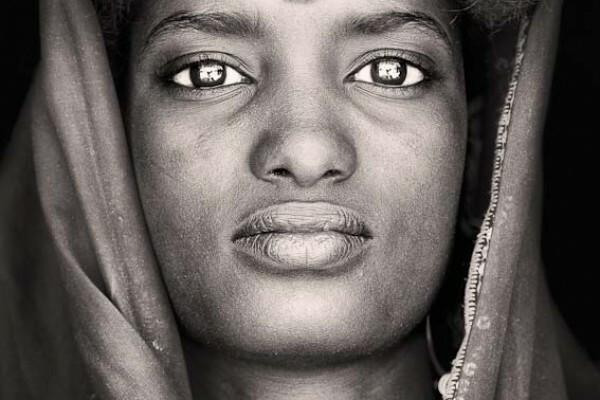 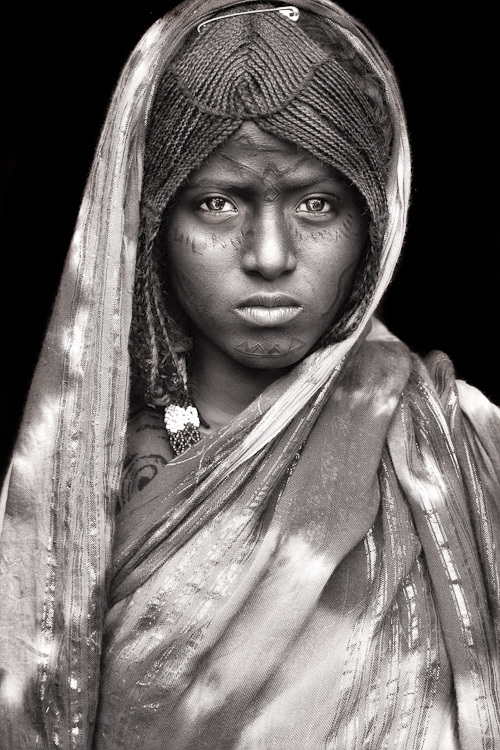 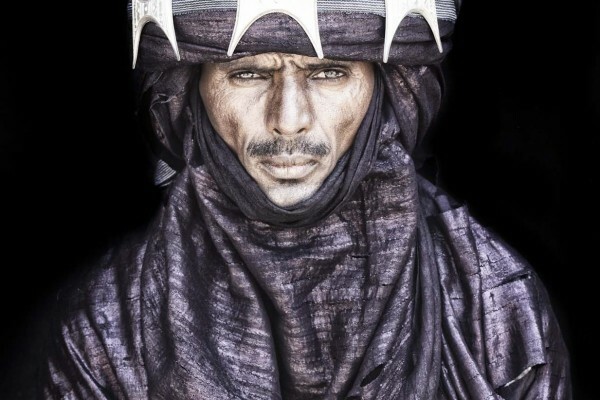 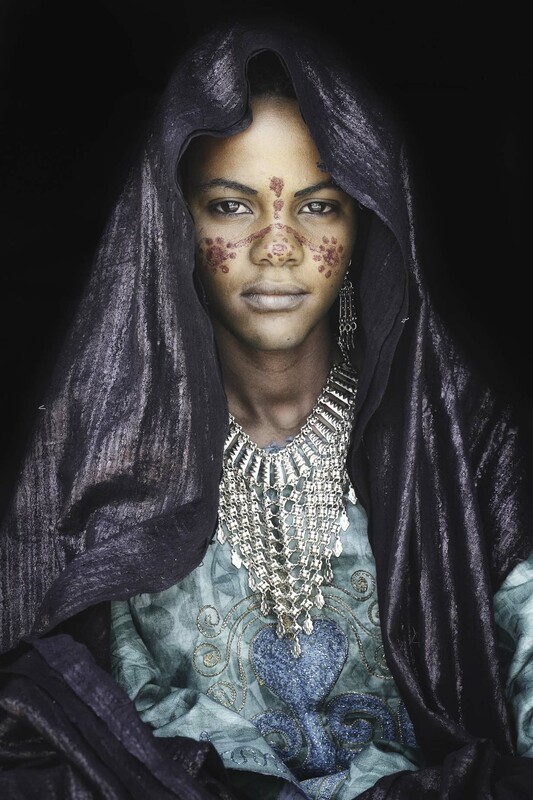 Through a collection of intimate portraits and vivid photographs of the last nomads and semi-nomads of the continent, Mario tells a story of beauty, legacy and naturalness in order to make us realize of some values that are still latent in the heart of Africa and disappeared in our uniformed society. 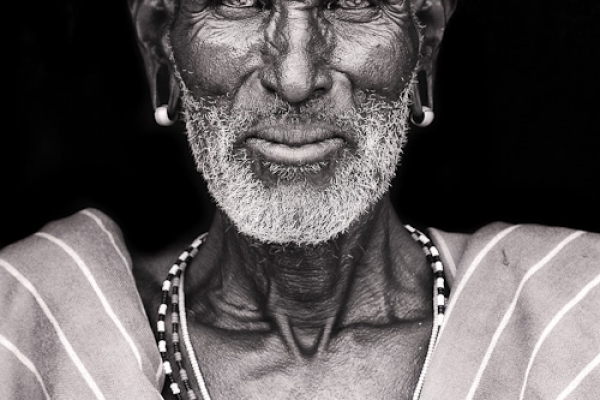 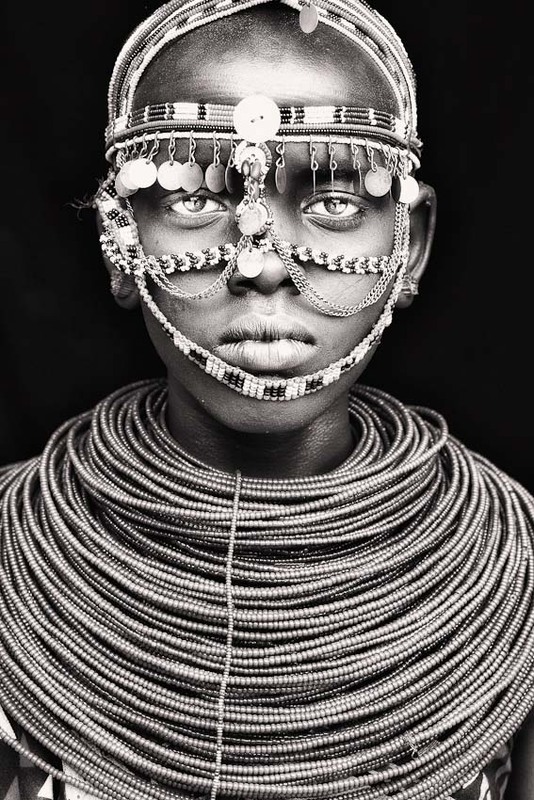 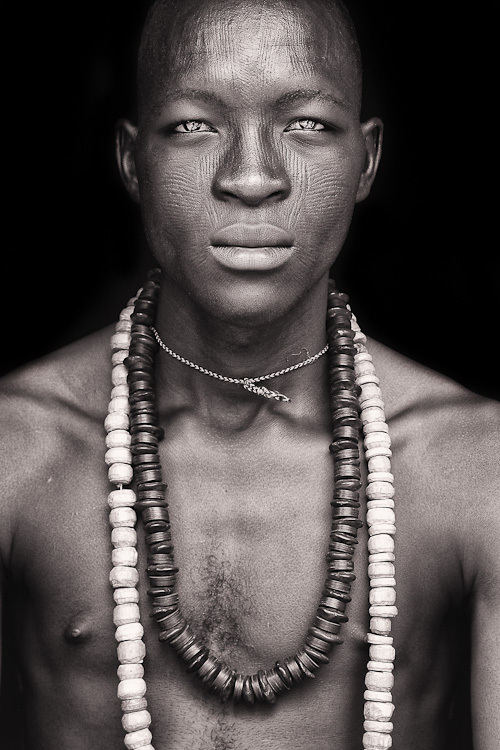 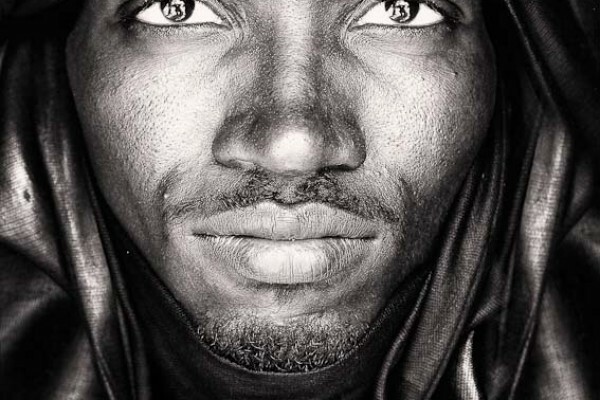 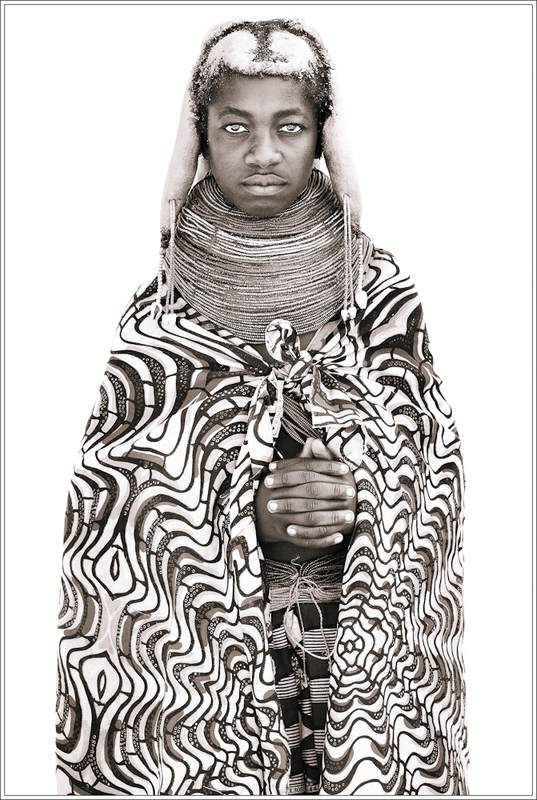 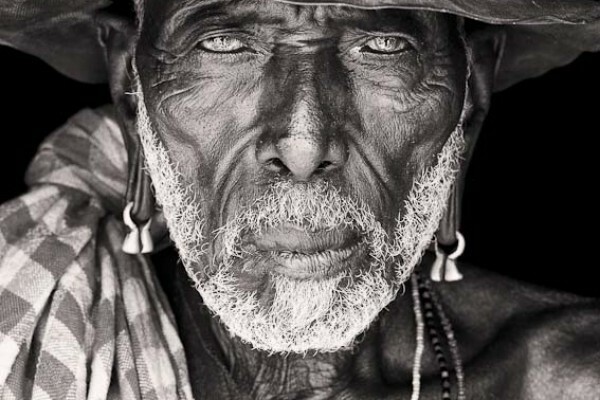 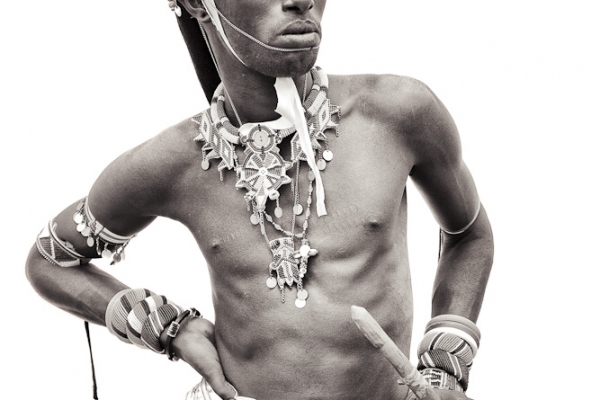 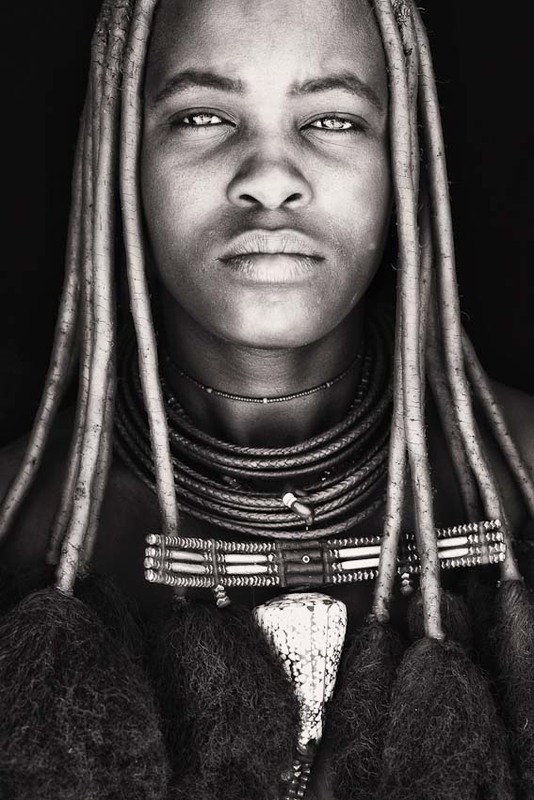 His camera is the tool he uses to let loose his passion for the Black Continent, while his photography is, besides his modest tribute to Africa’s people, the best way he has found to thank a land where natural dignity and elegance is etched on the faces of the natives. 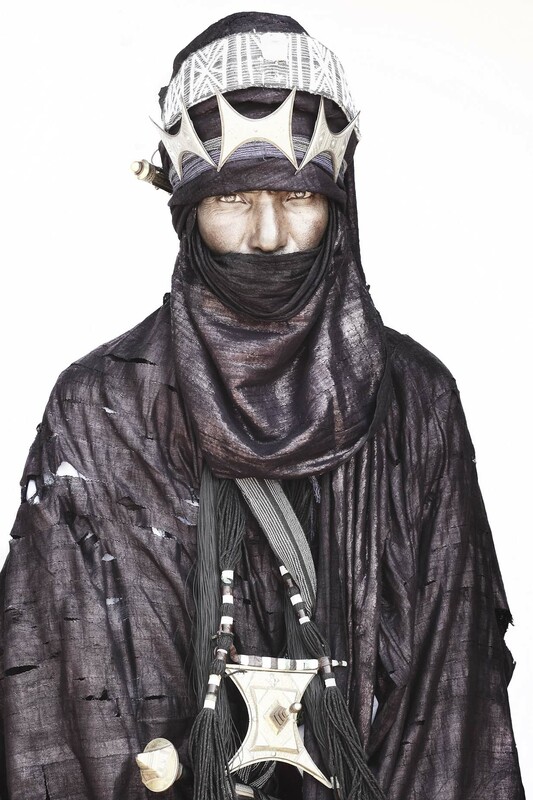 From the children to the old men, all of them hide the secret of a truly real life, which comes from the god-like harmony in the sweeping valleys of sand dunes and the bitter existence on the edge of the world. 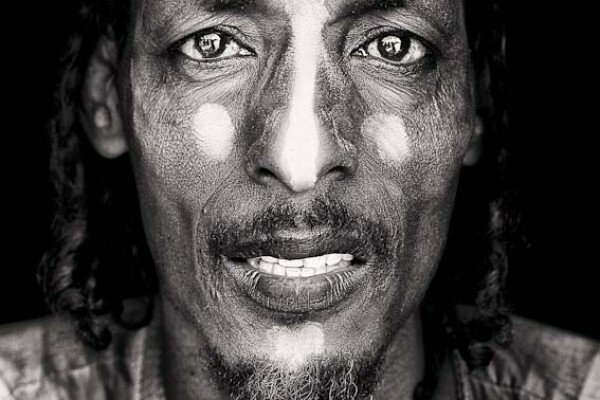 His images, which try to document, inform, question and even decry, have traveled all over the world leaving no one untouched, so much so that Time Magazine has described him as a “World changer”. 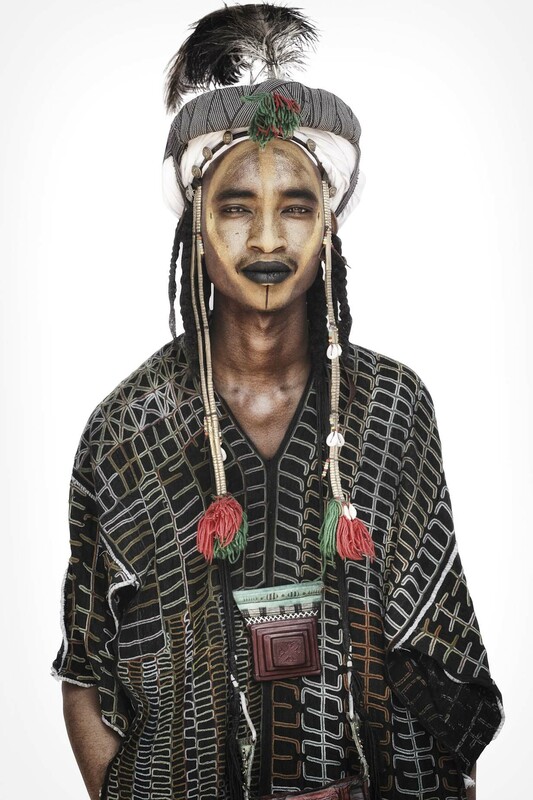 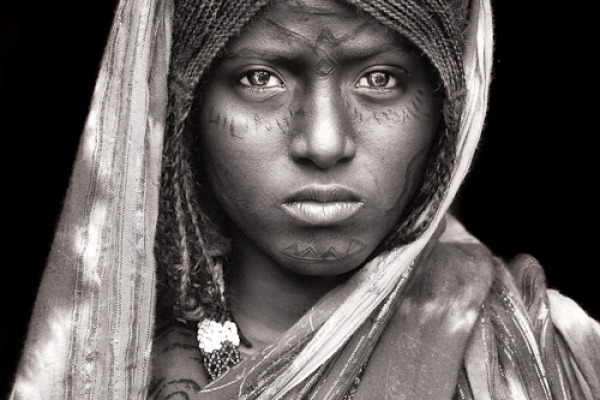 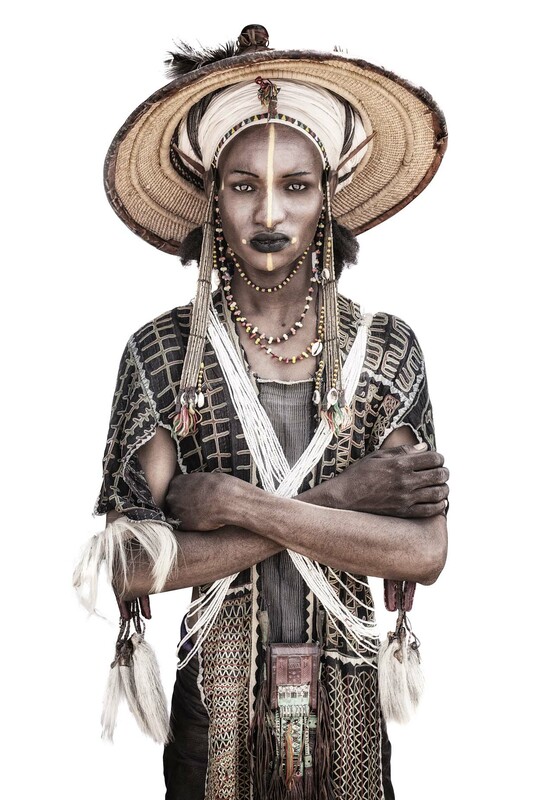 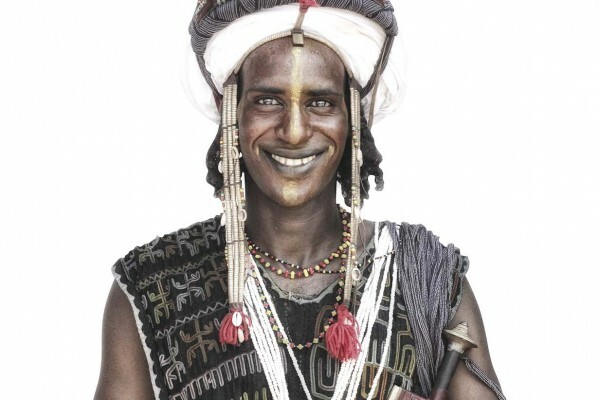 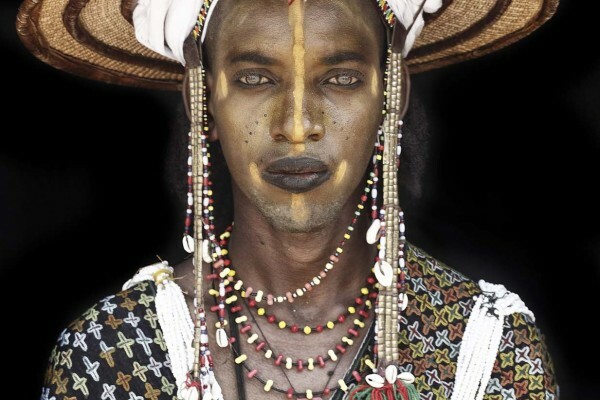 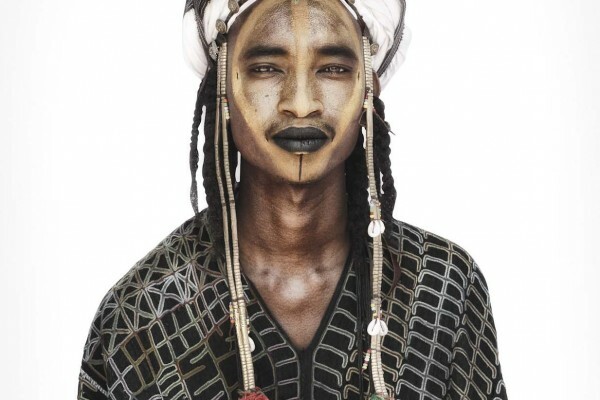 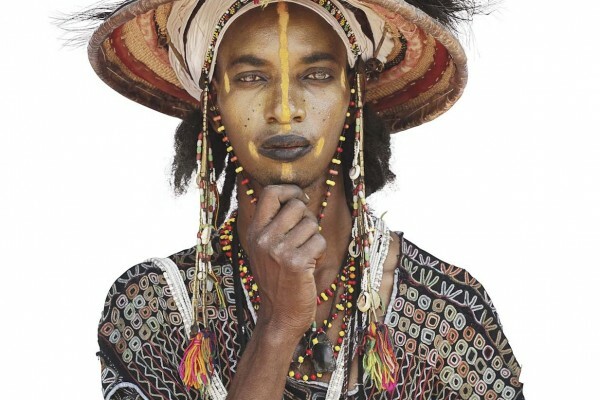 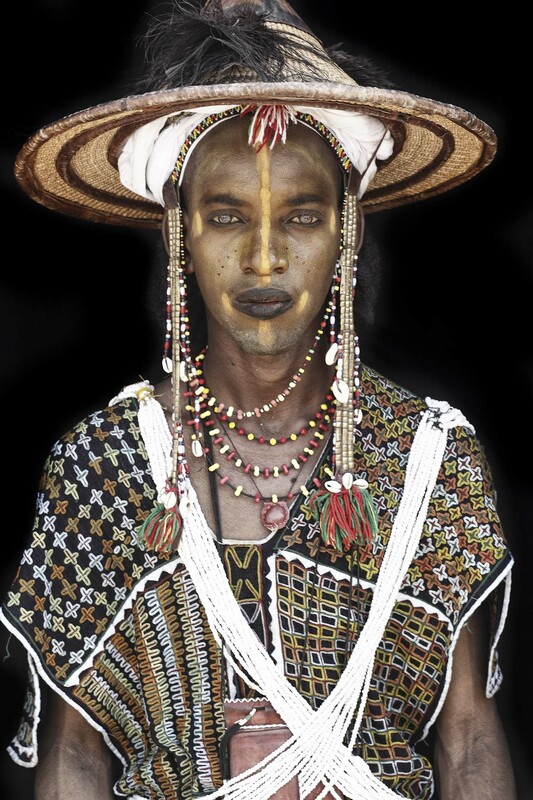 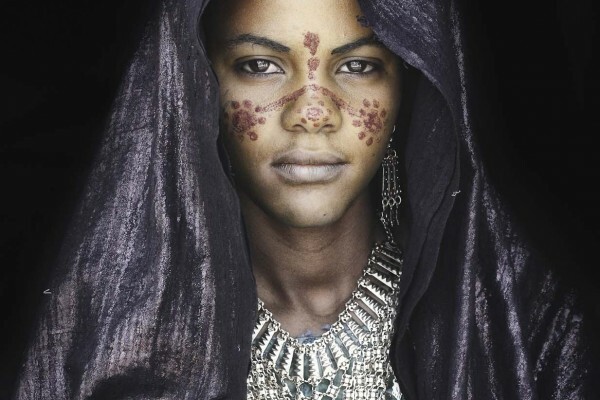 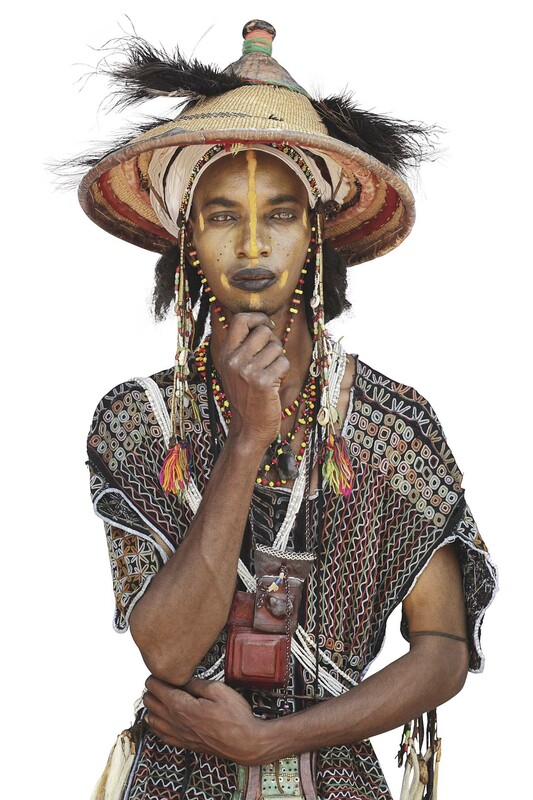 An annual courtship ritual competition among Wodaabe Fula people in Niger and brings together also people from other tribes. 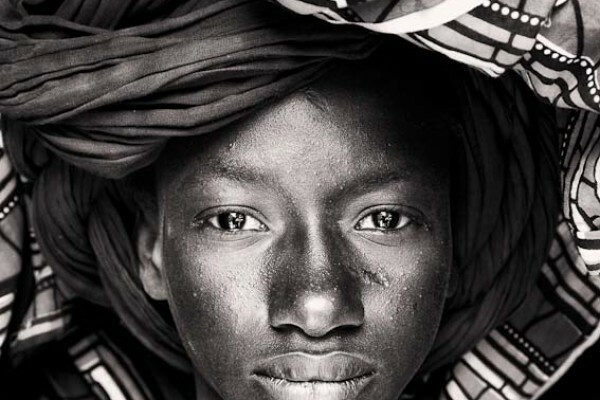 A collection of African moments from all parts of the continent. 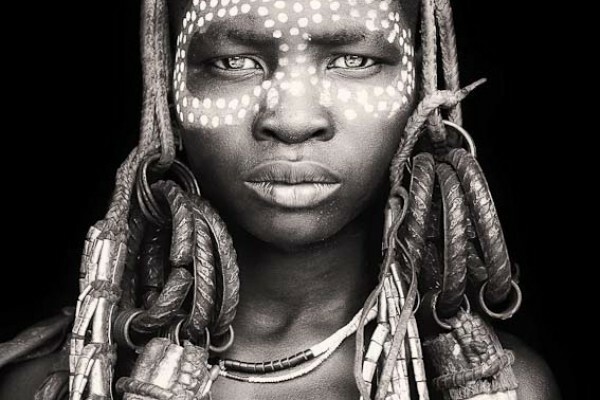 It shows the origin, the naturalness of Africa, its beauty and its beginning. 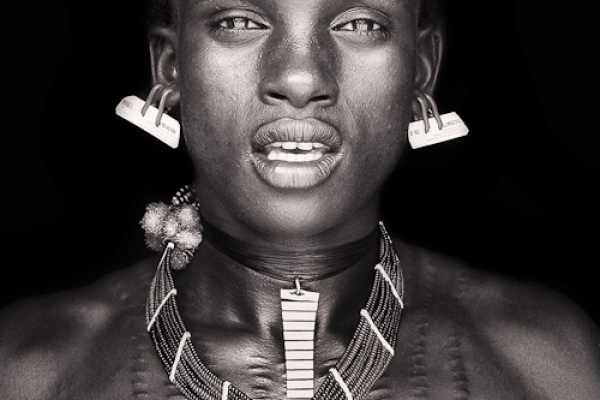 This collection was created 2009 during a trip through Africa. 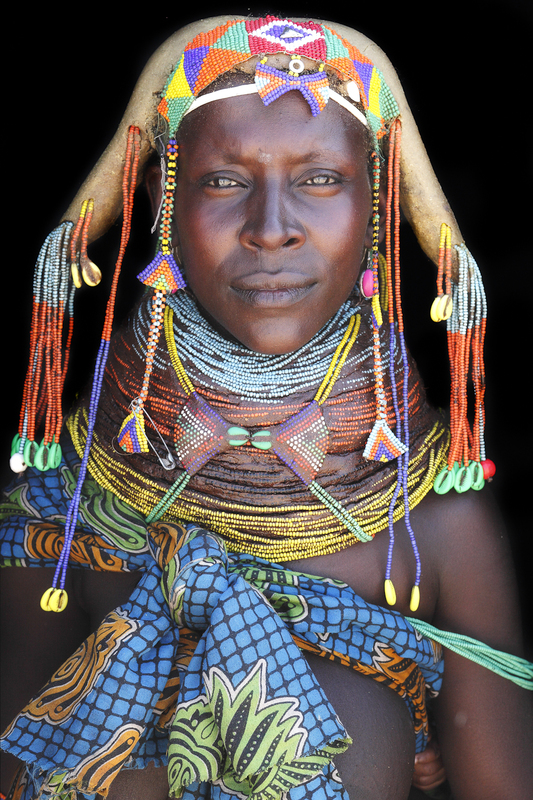 The incredible variety of this continent, the beauty of its people and the enchanting cultures are shown. 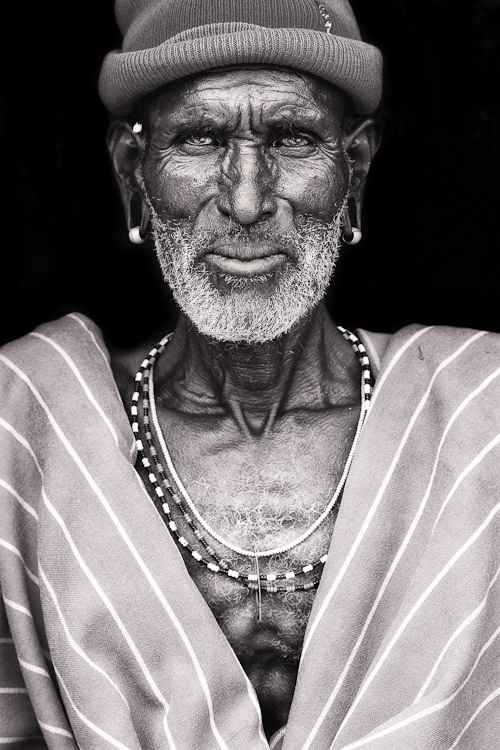 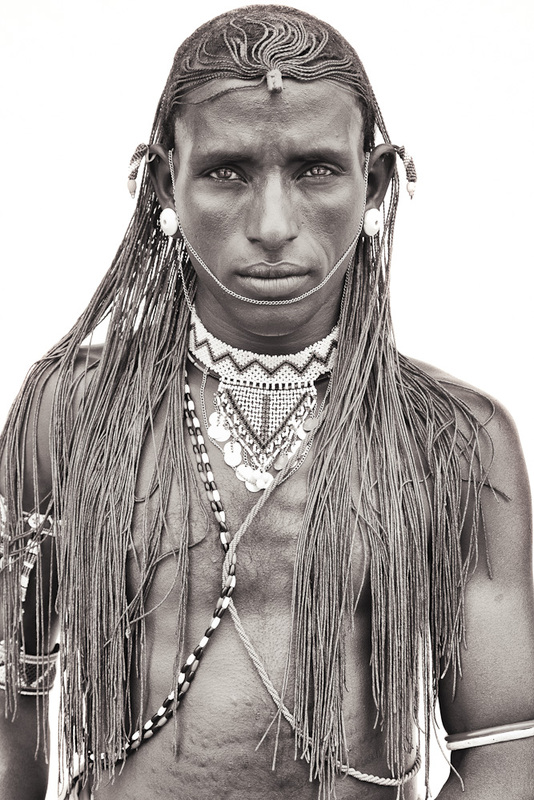 In May 2011, my path leads to the wonderful Himbas, the only ethnic group that has preserved their nomadic existence. 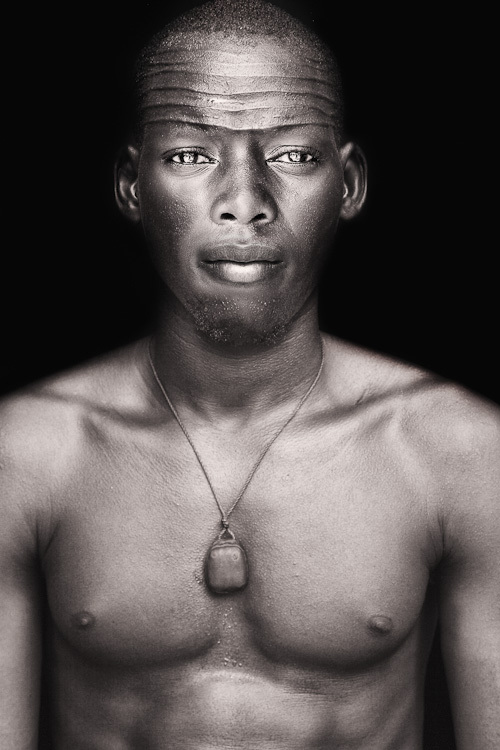 It is as it always used to be. 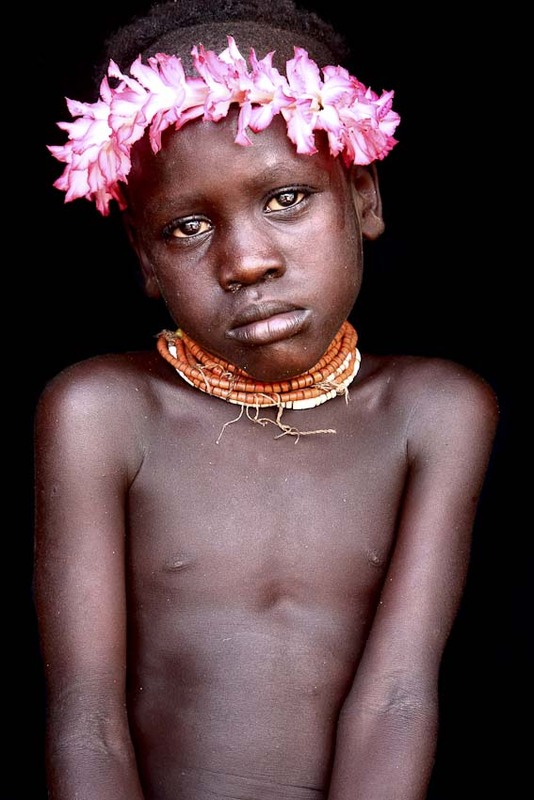 There was never a reason for change. 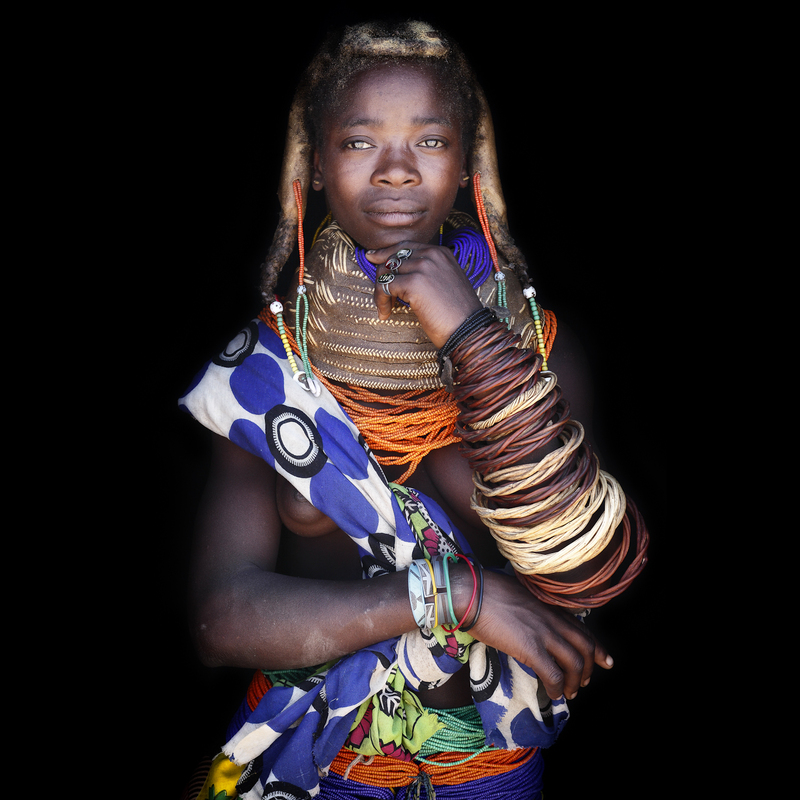 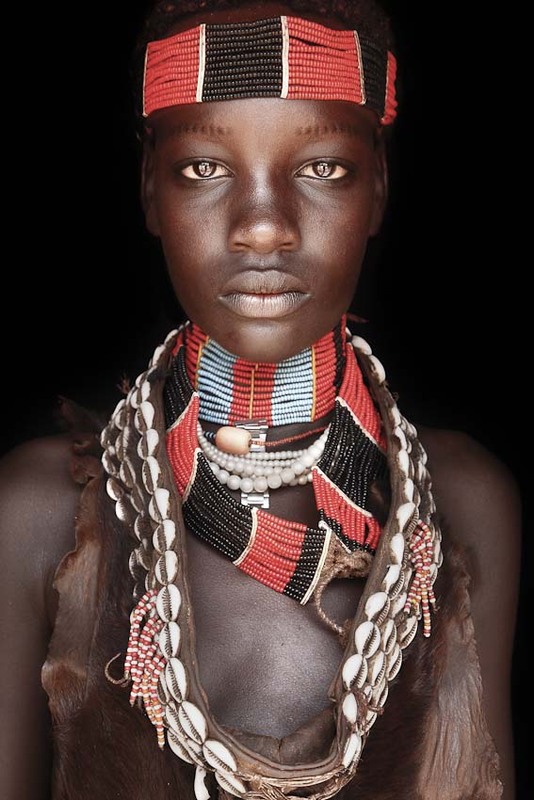 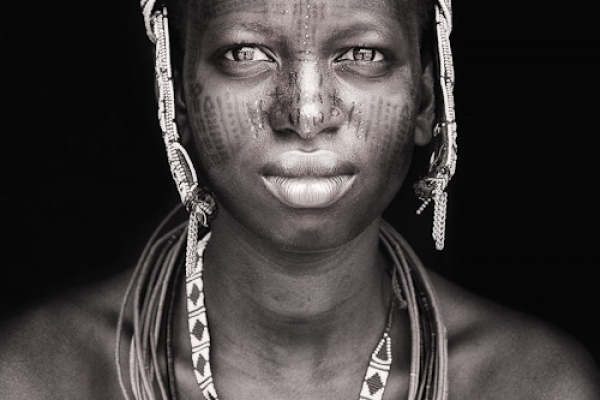 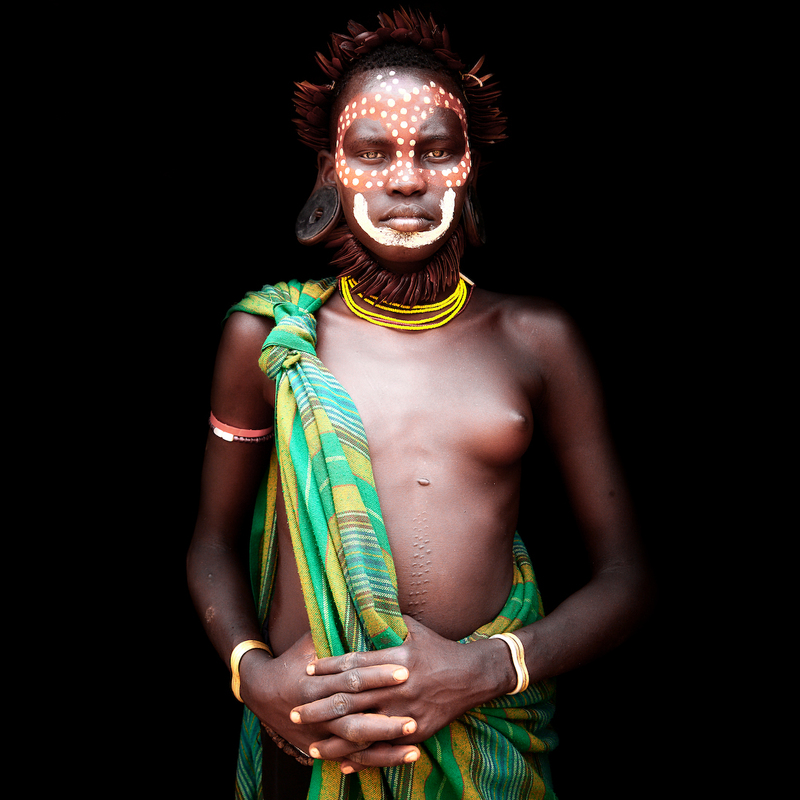 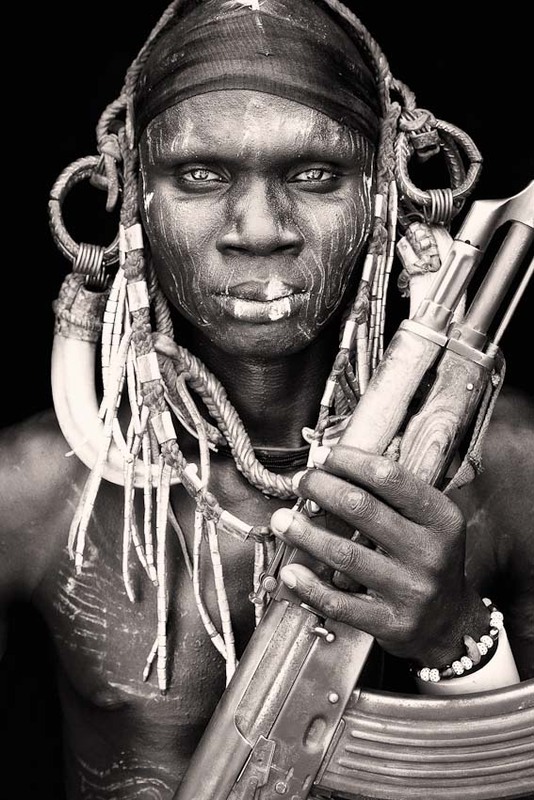 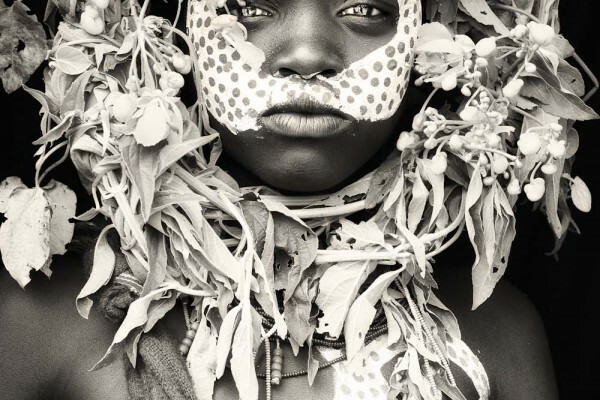 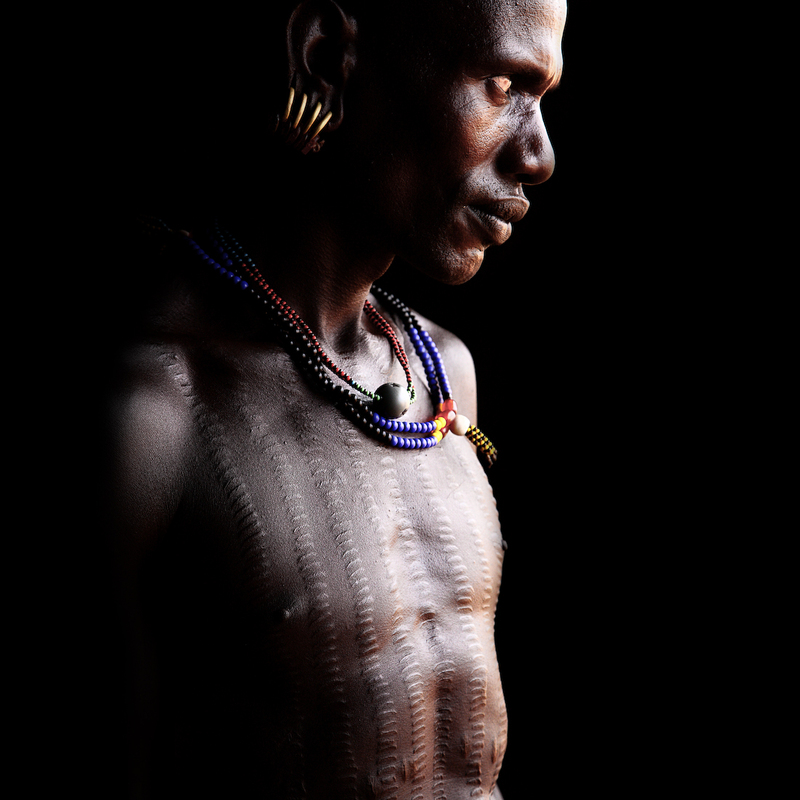 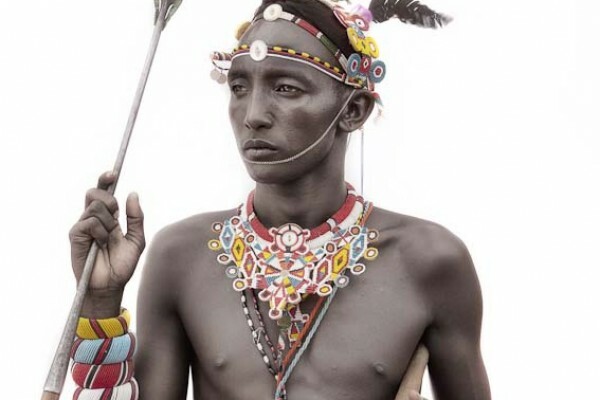 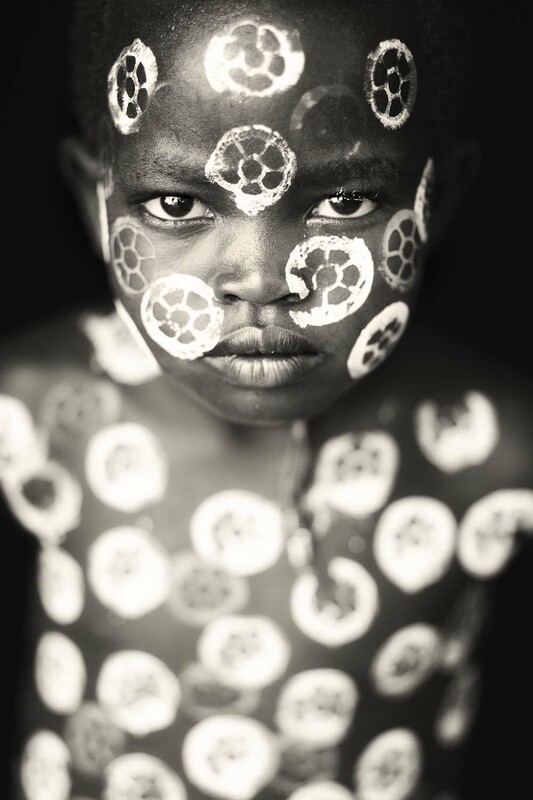 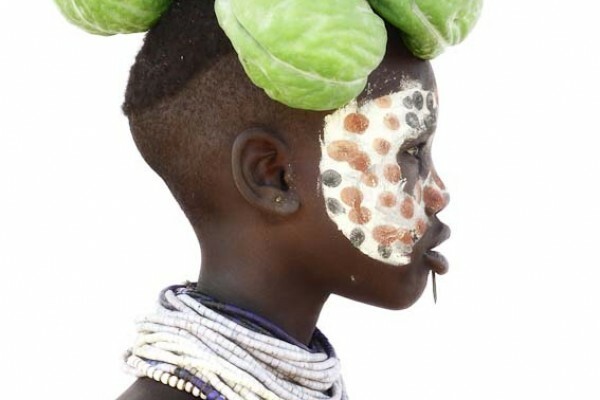 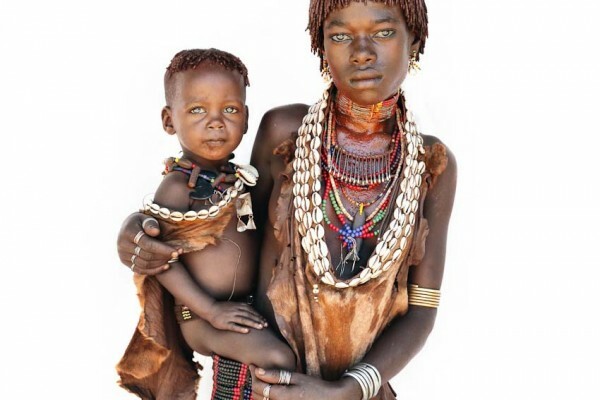 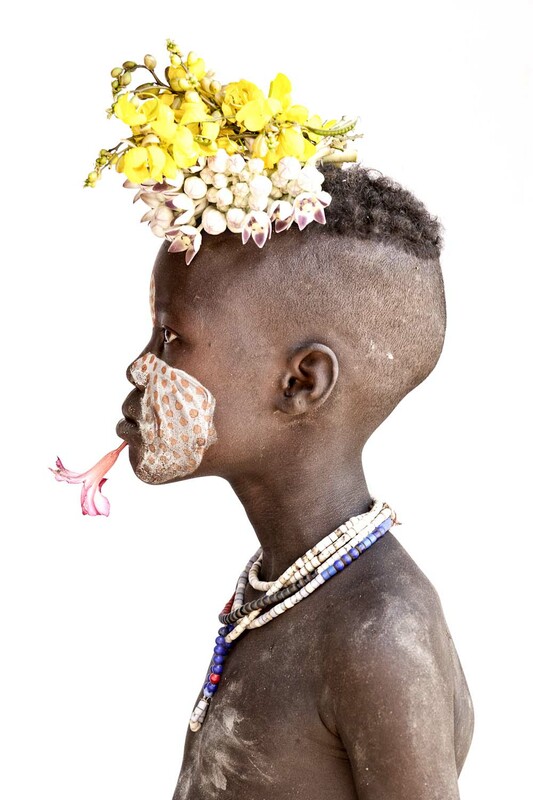 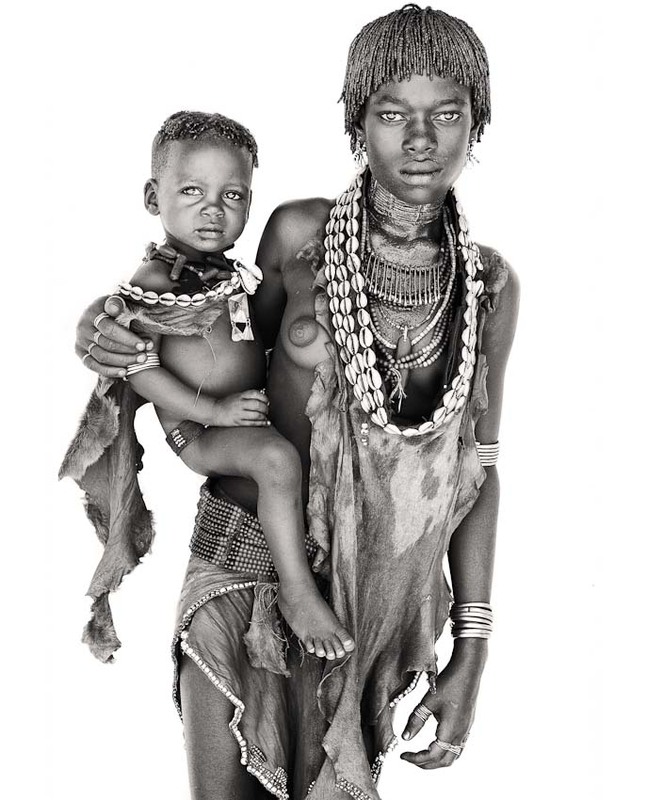 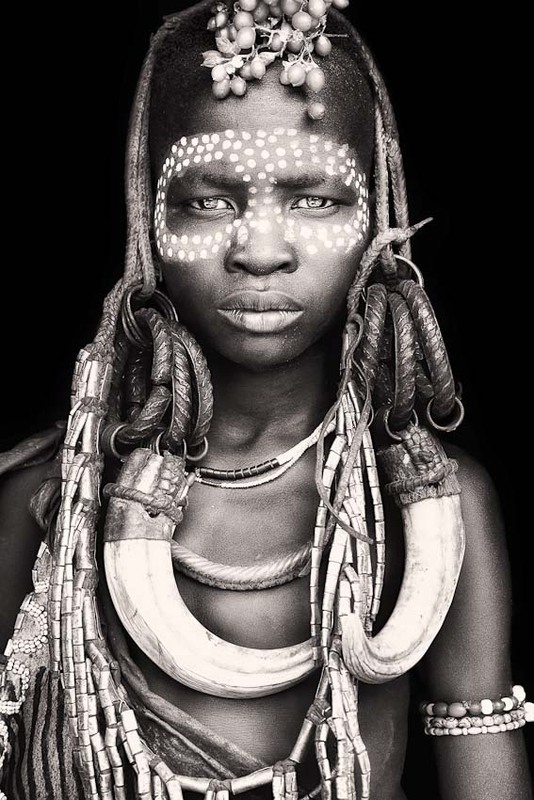 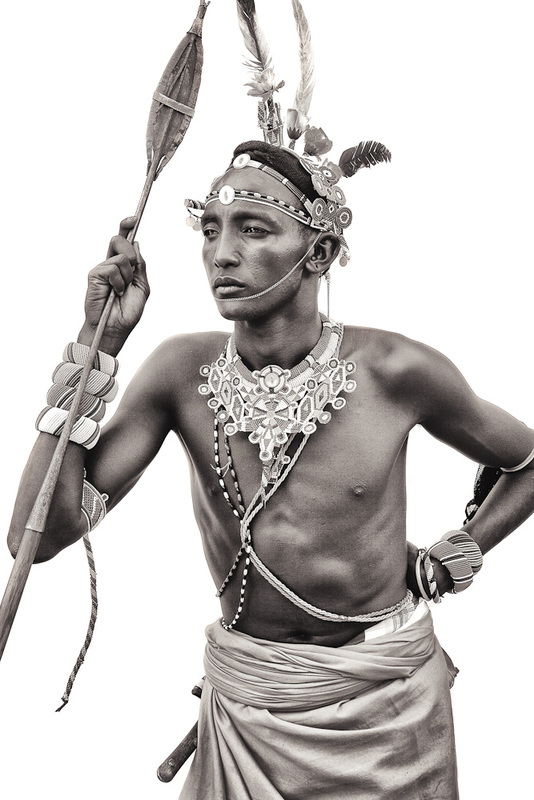 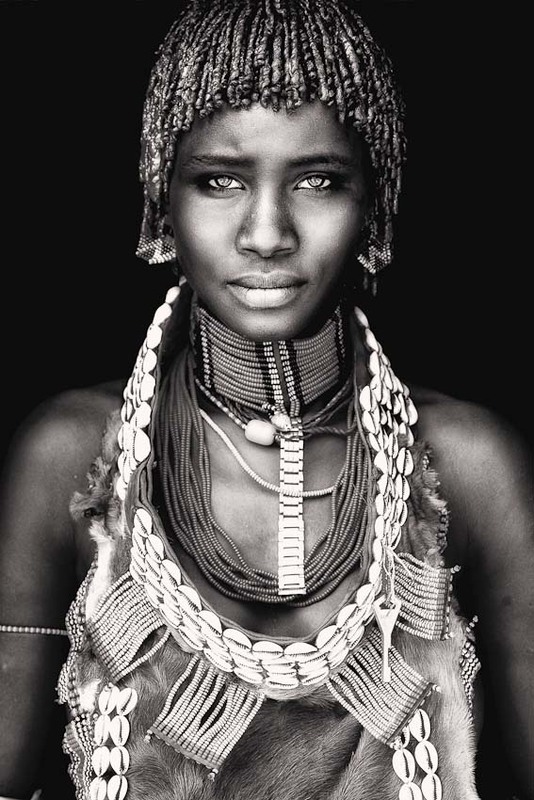 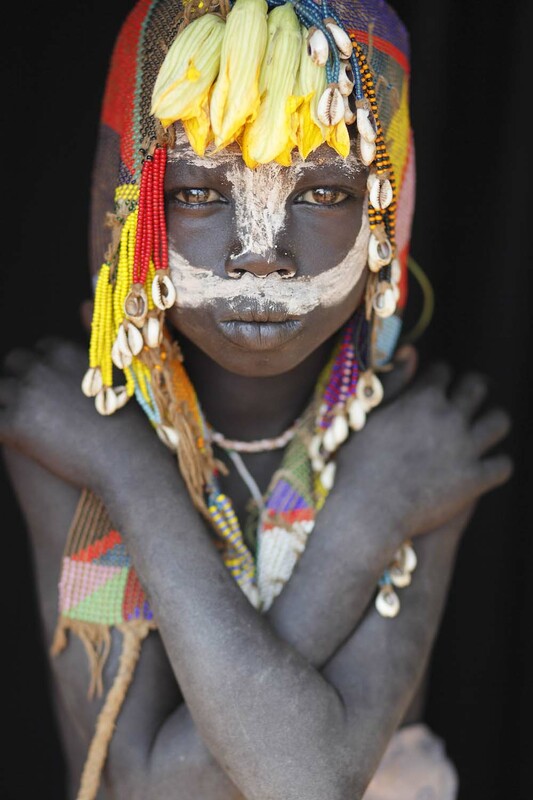 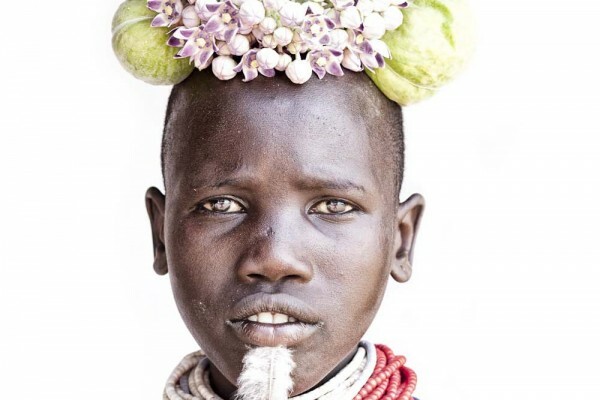 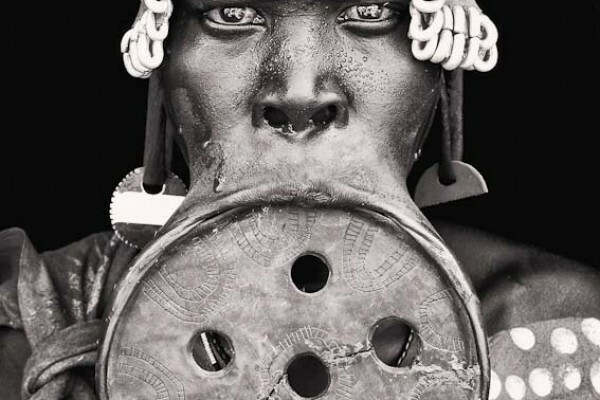 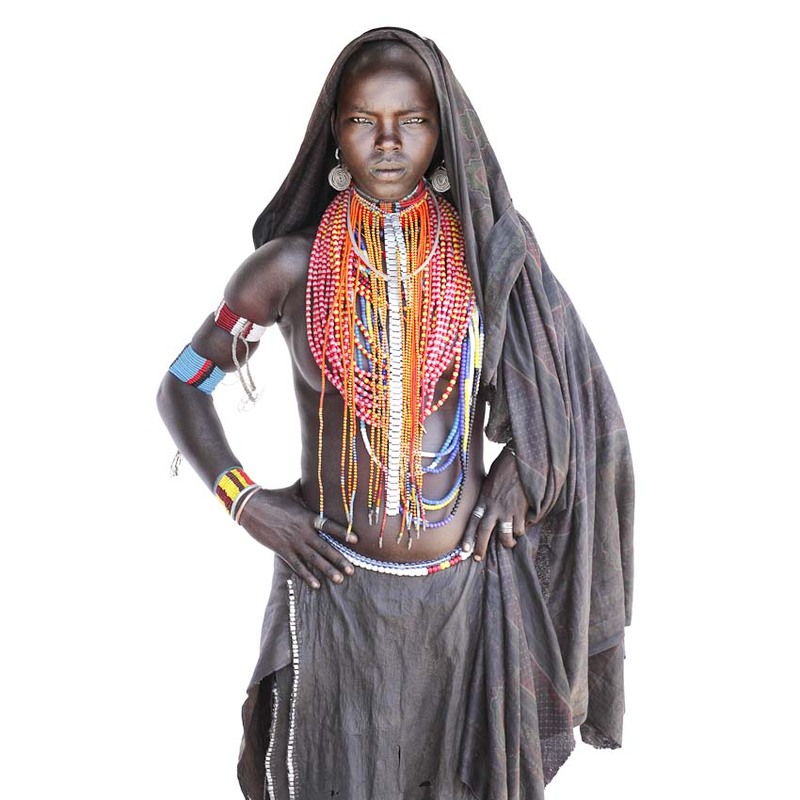 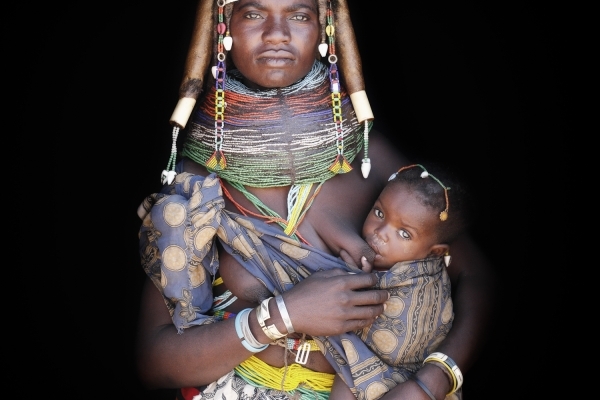 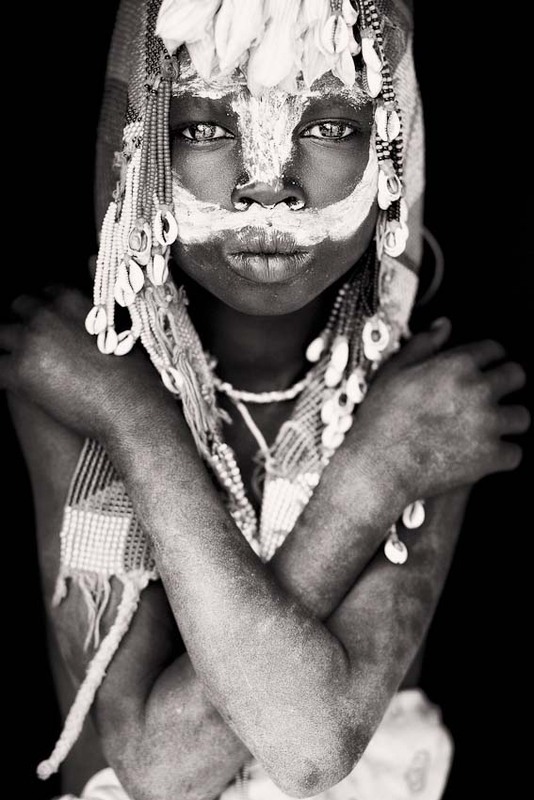 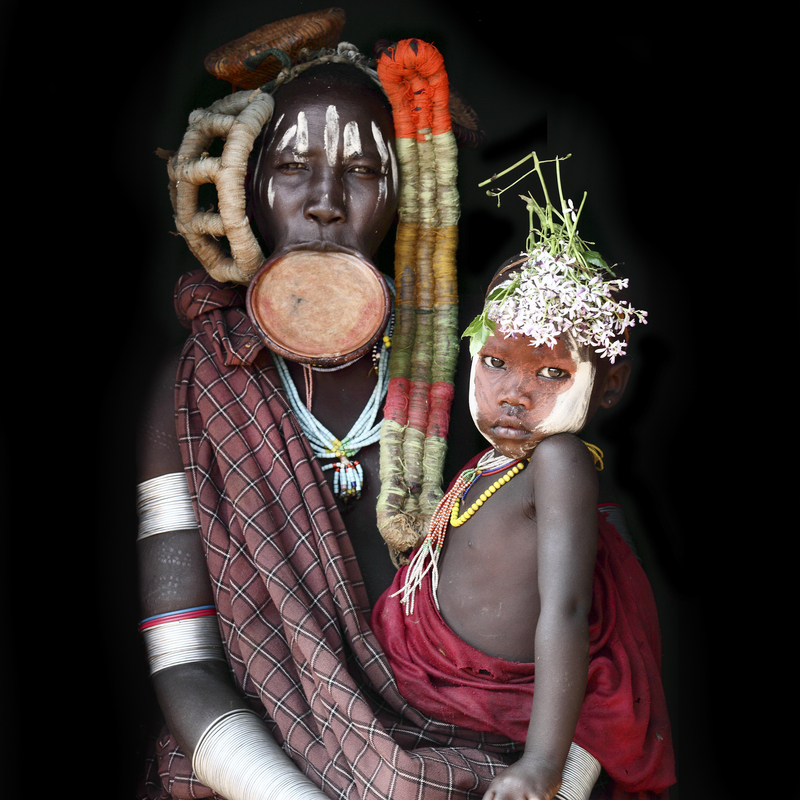 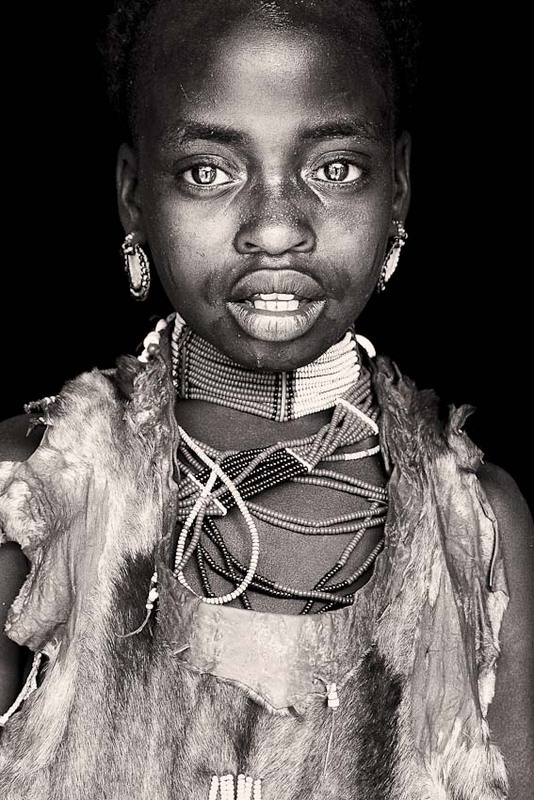 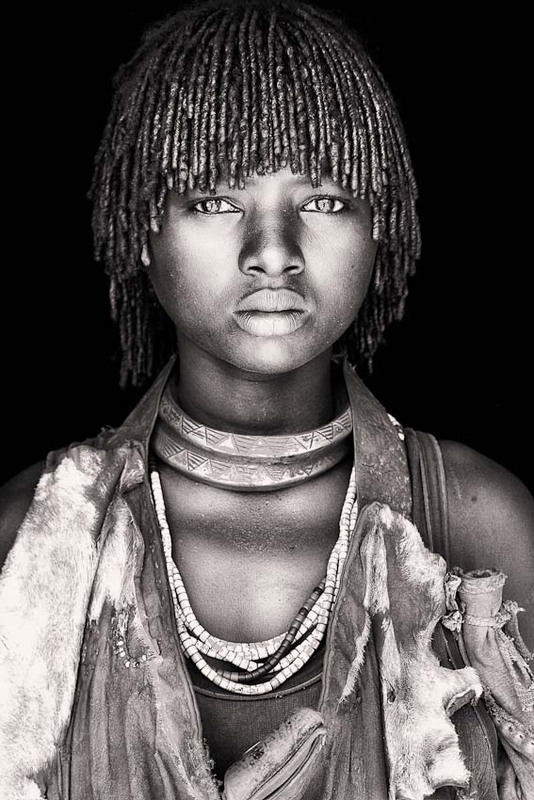 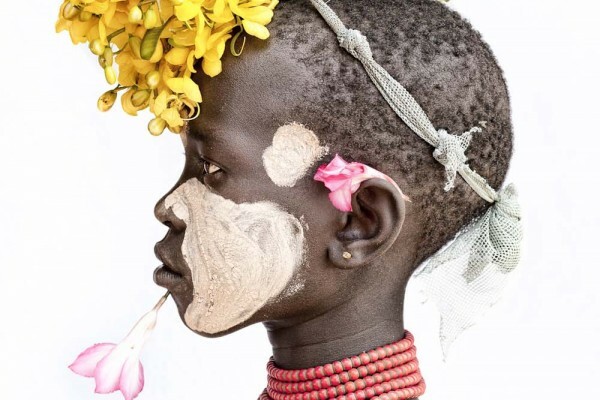 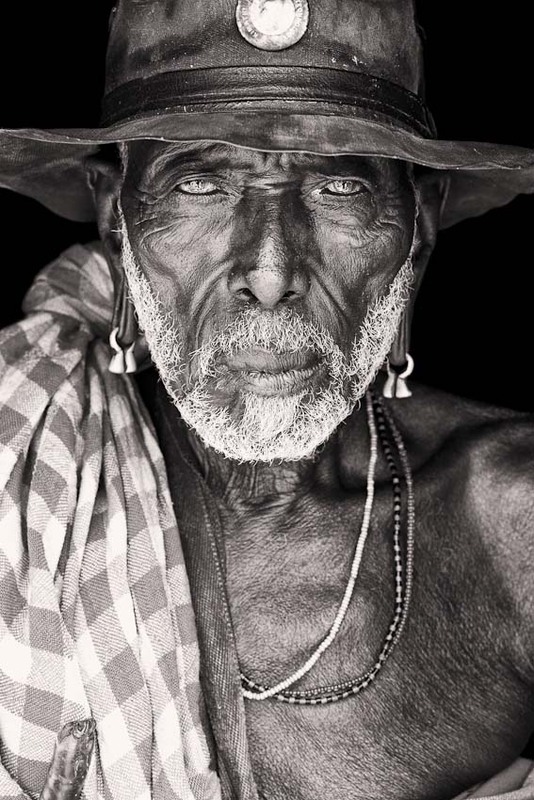 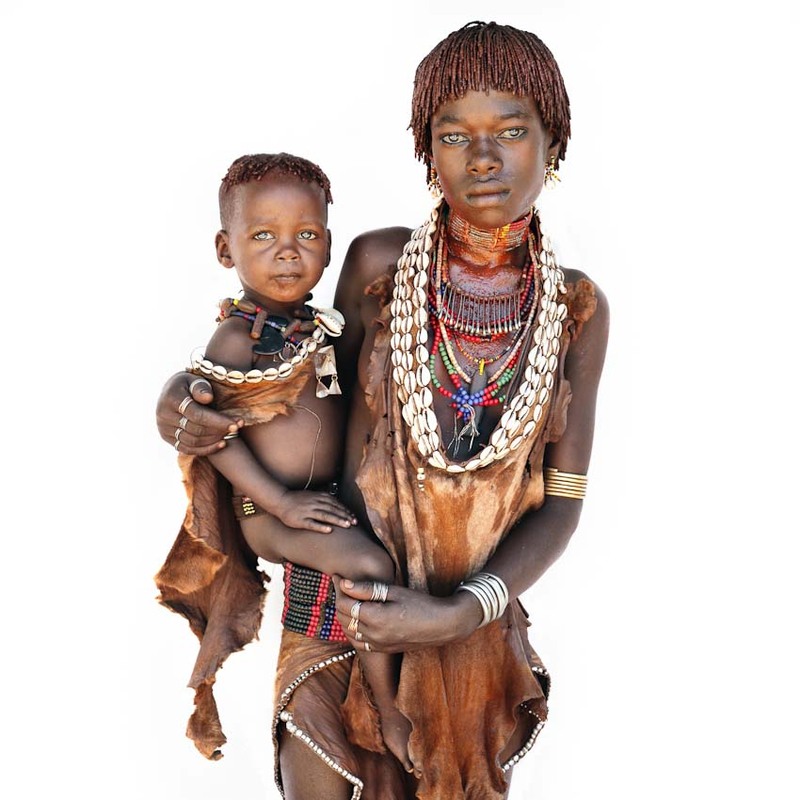 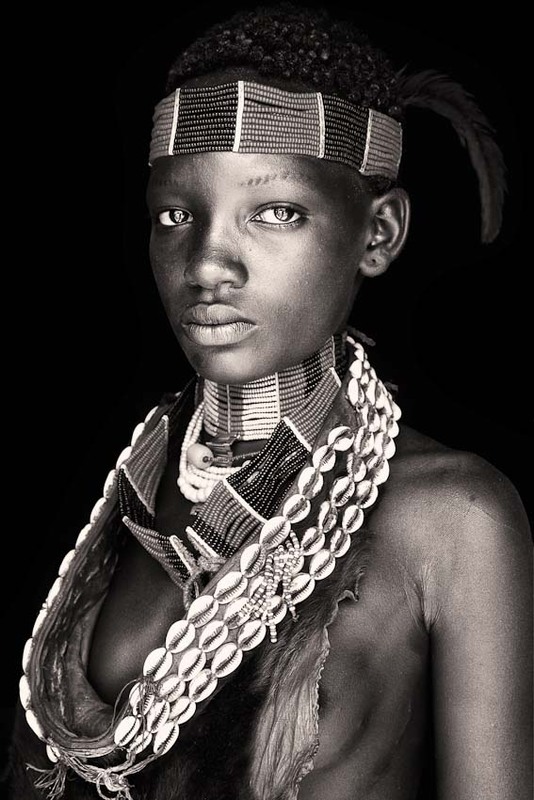 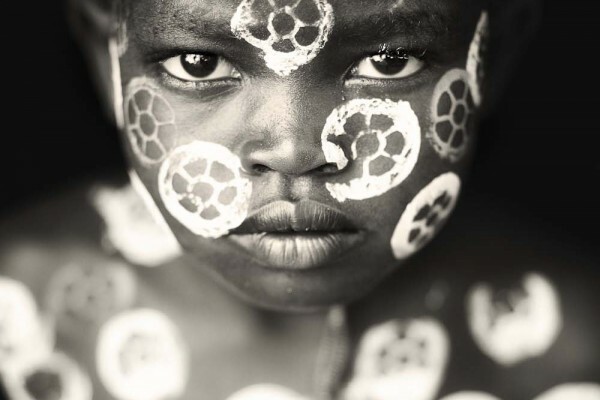 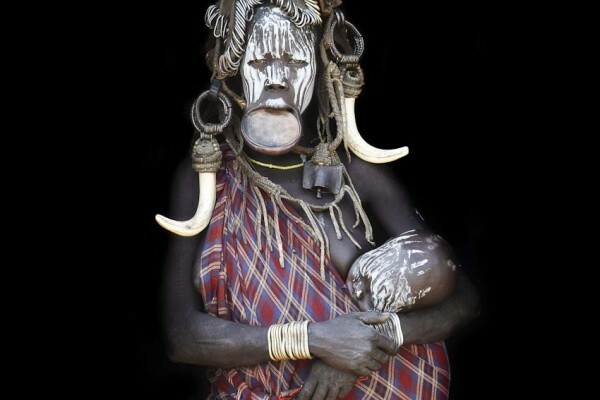 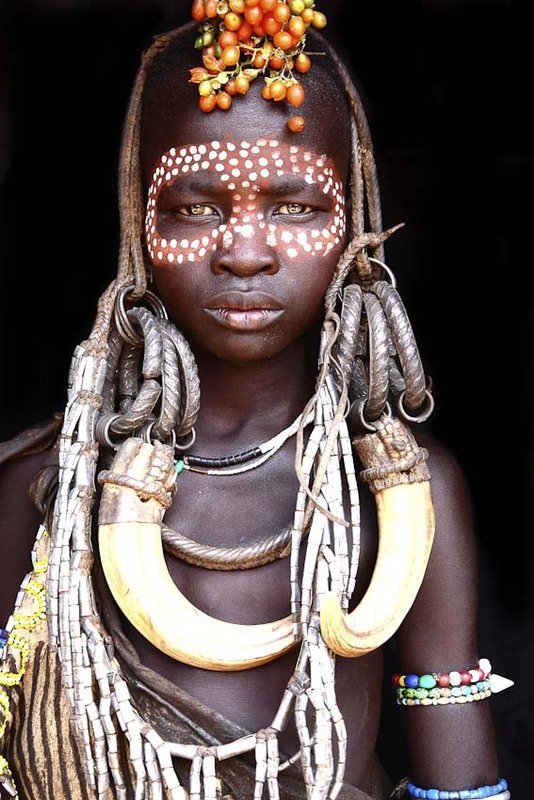 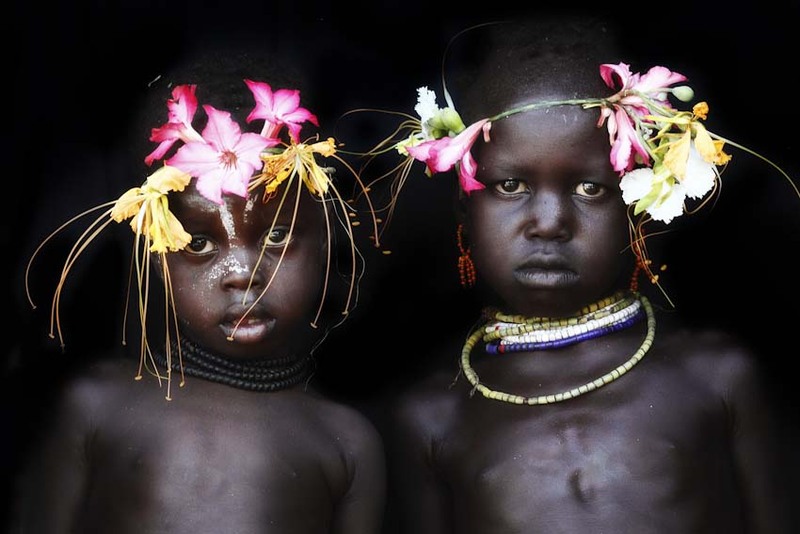 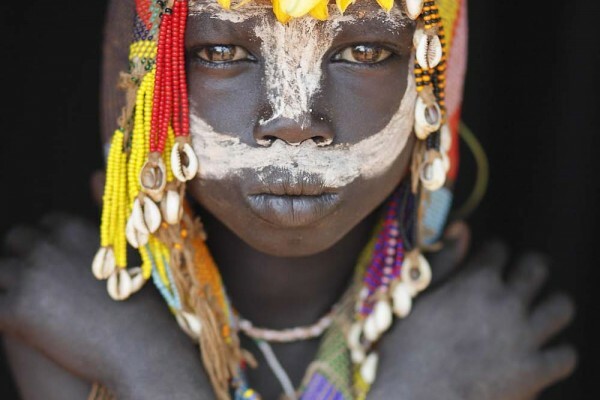 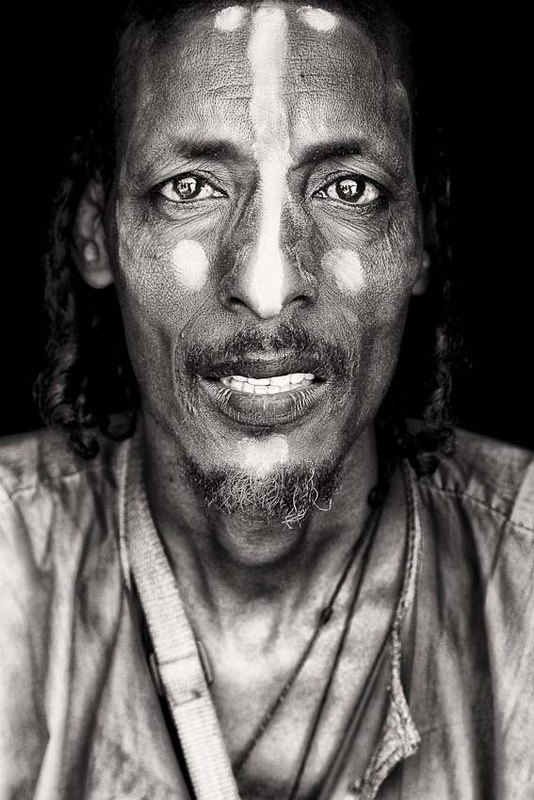 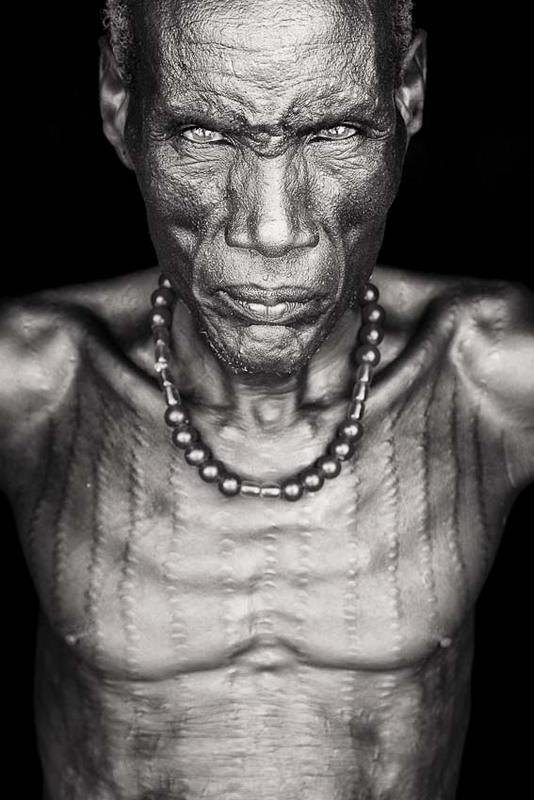 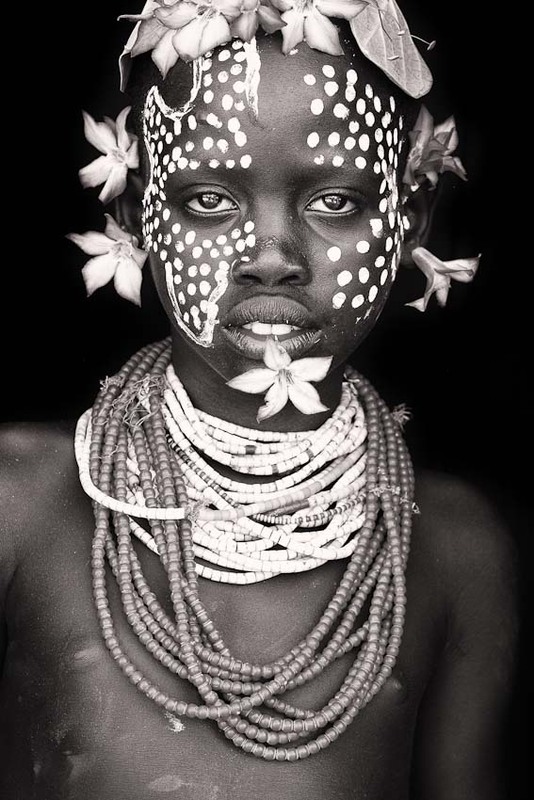 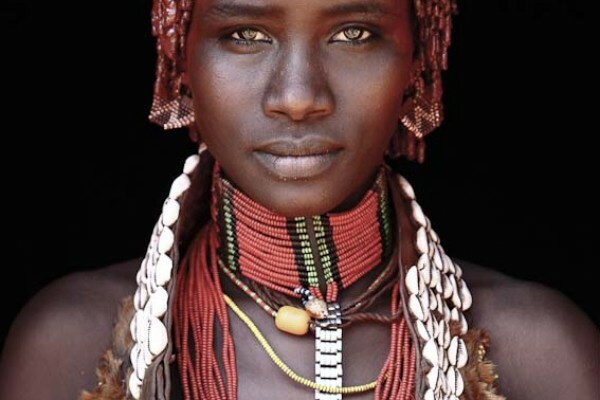 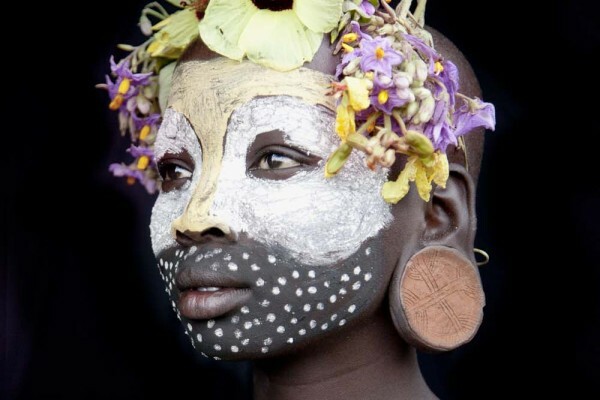 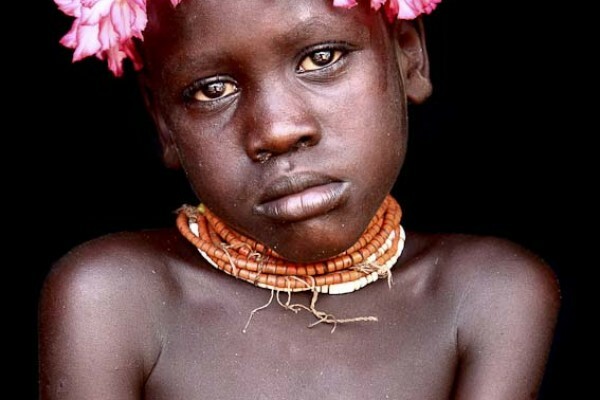 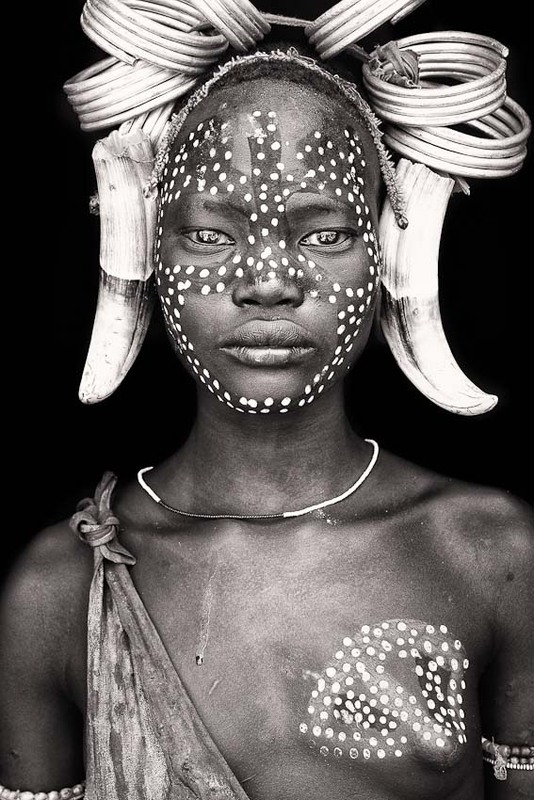 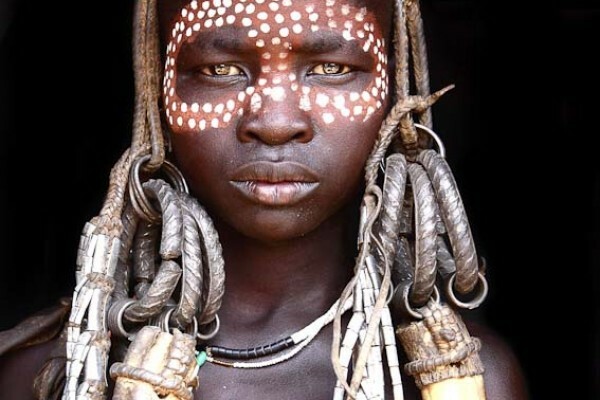 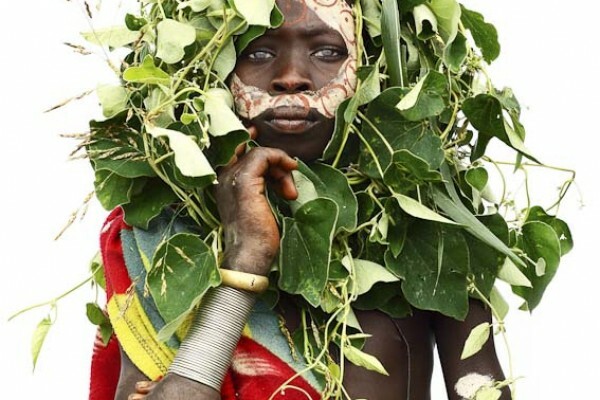 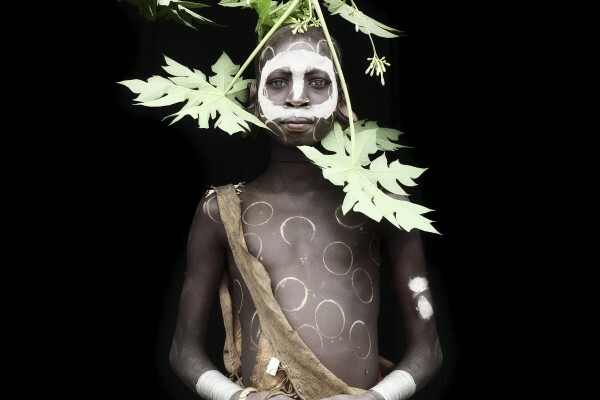 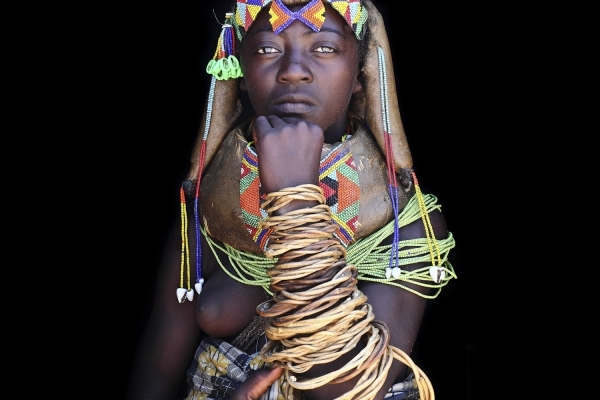 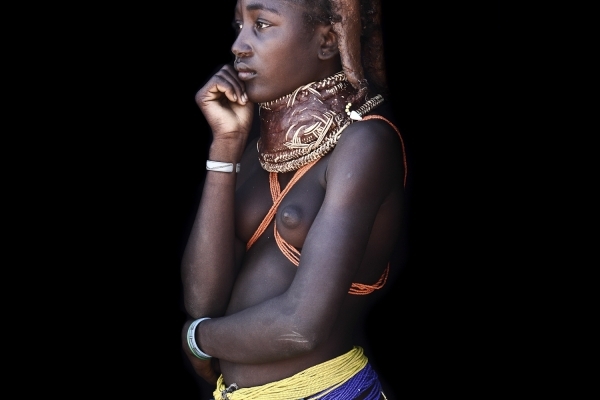 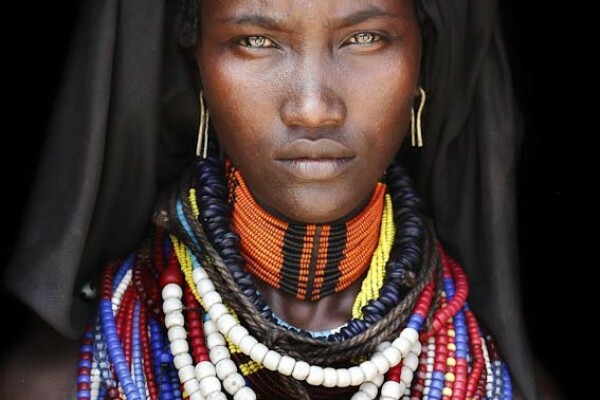 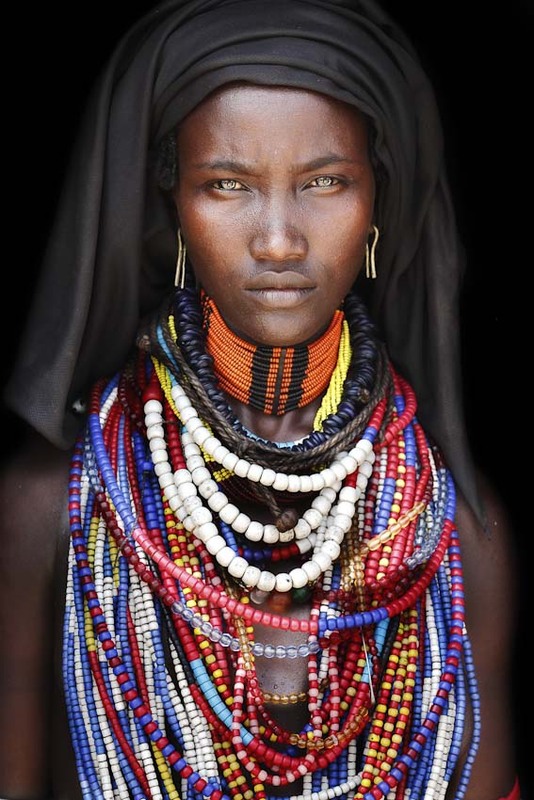 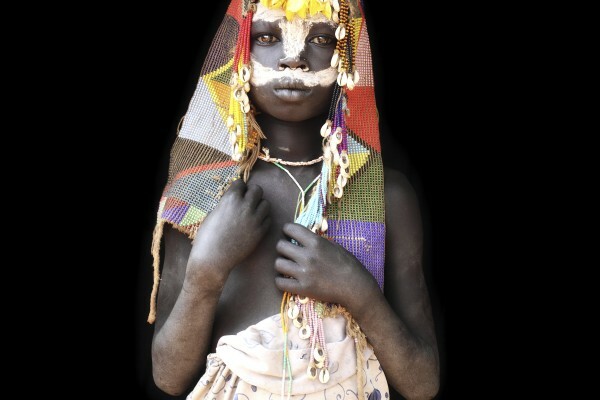 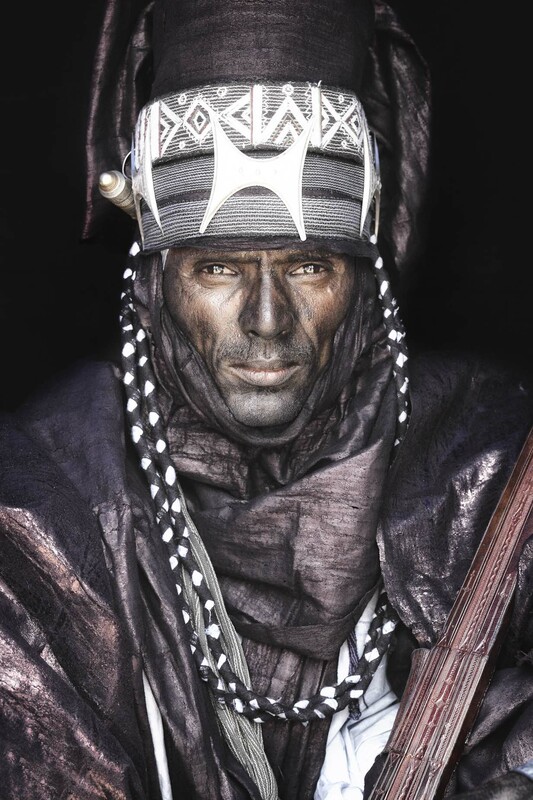 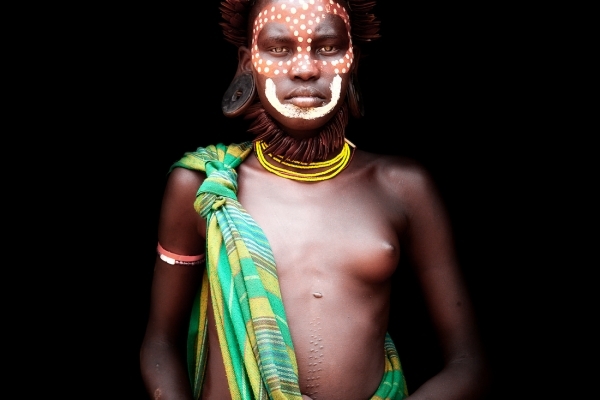 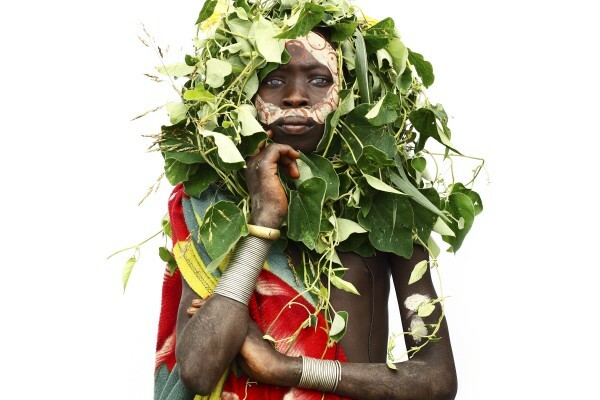 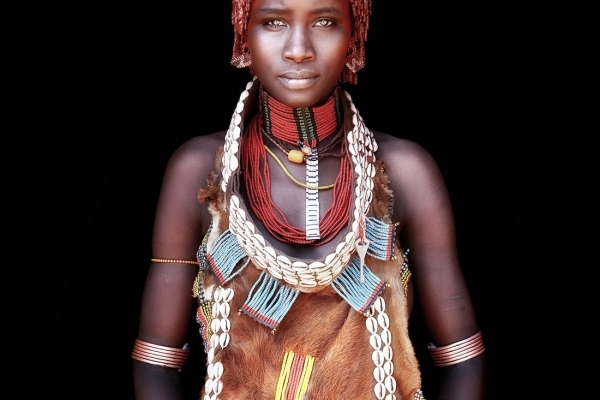 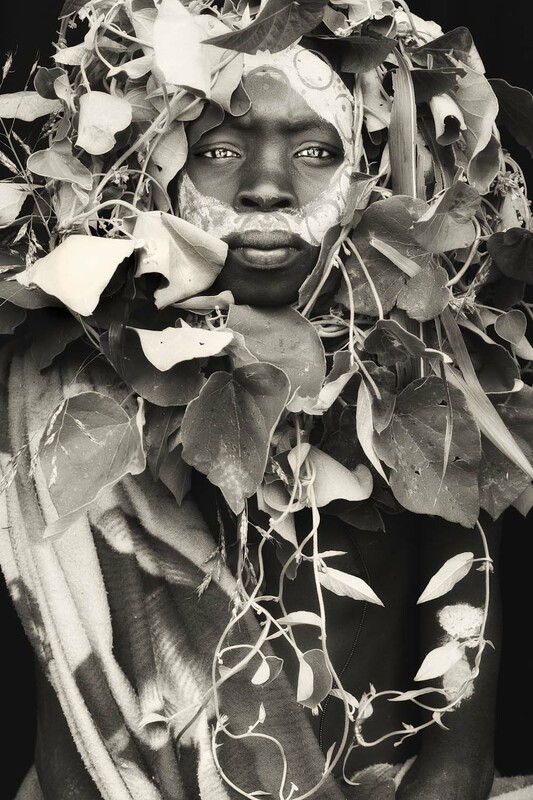 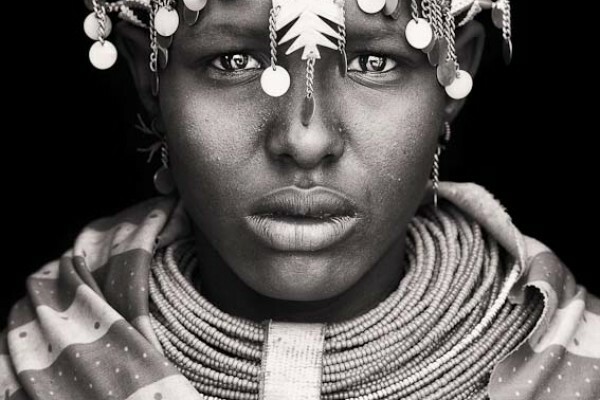 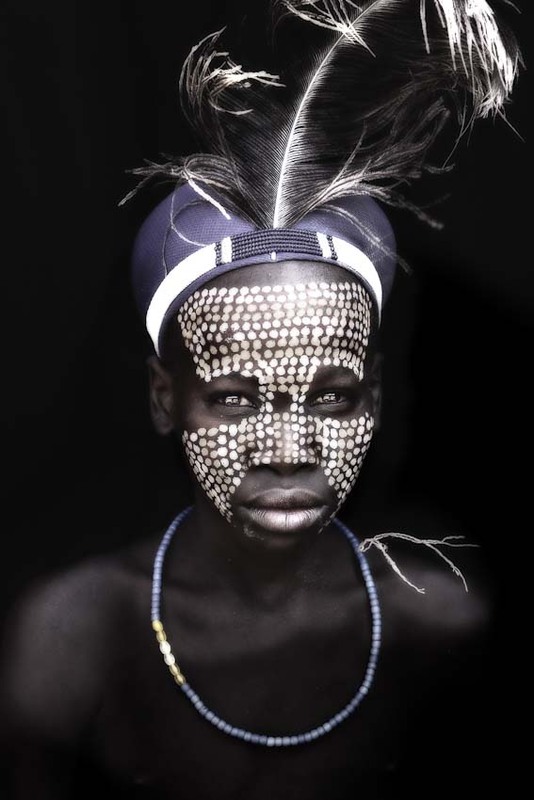 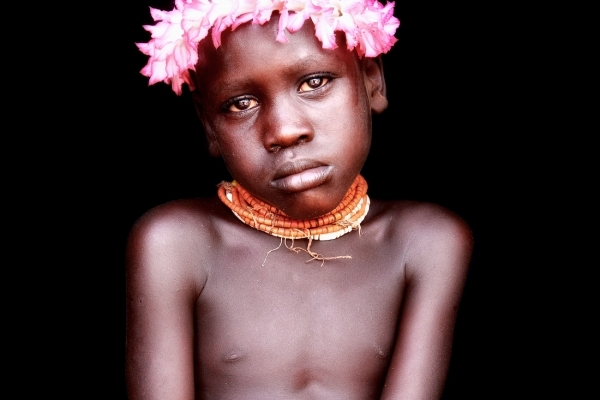 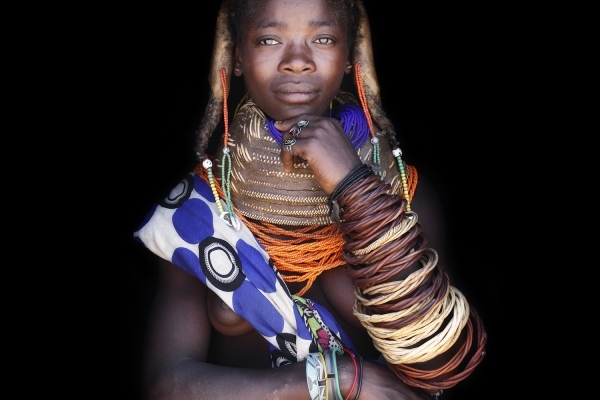 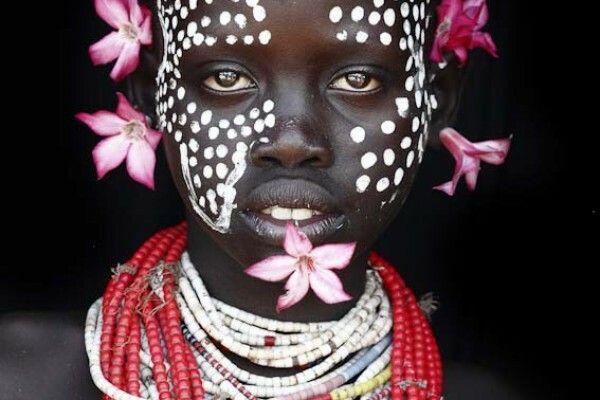 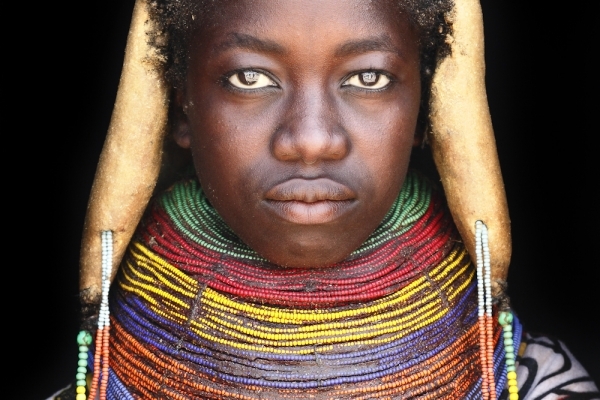 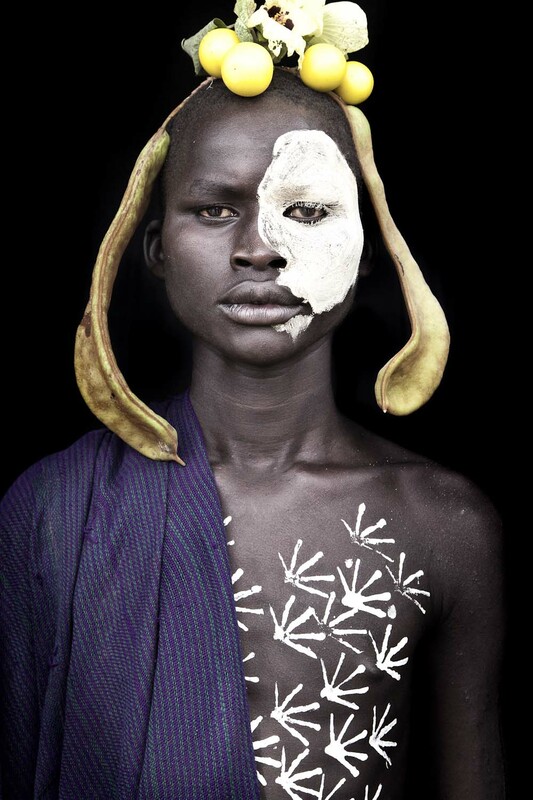 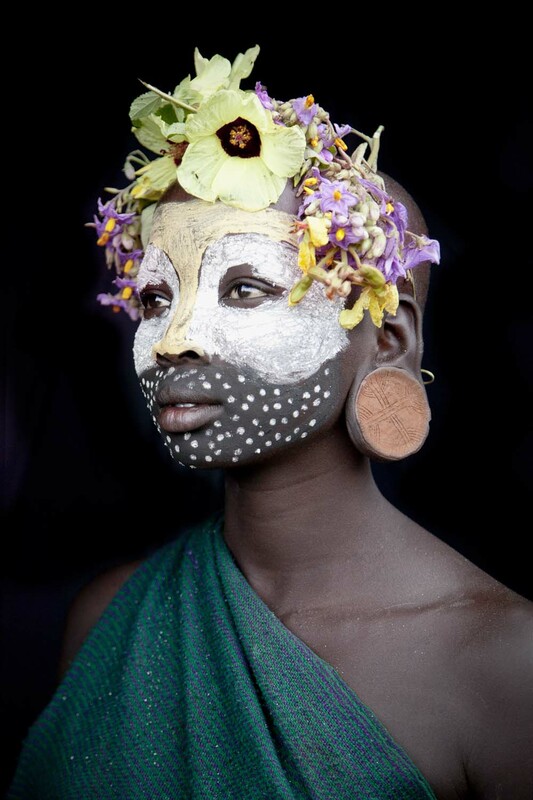 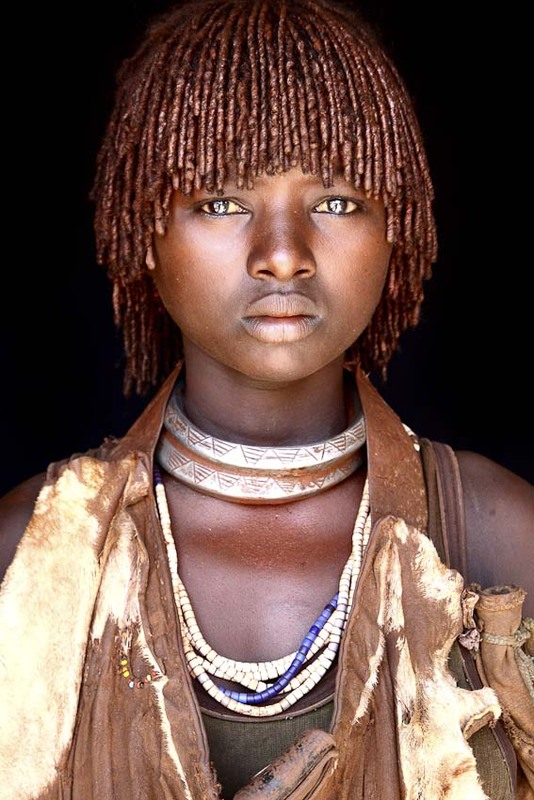 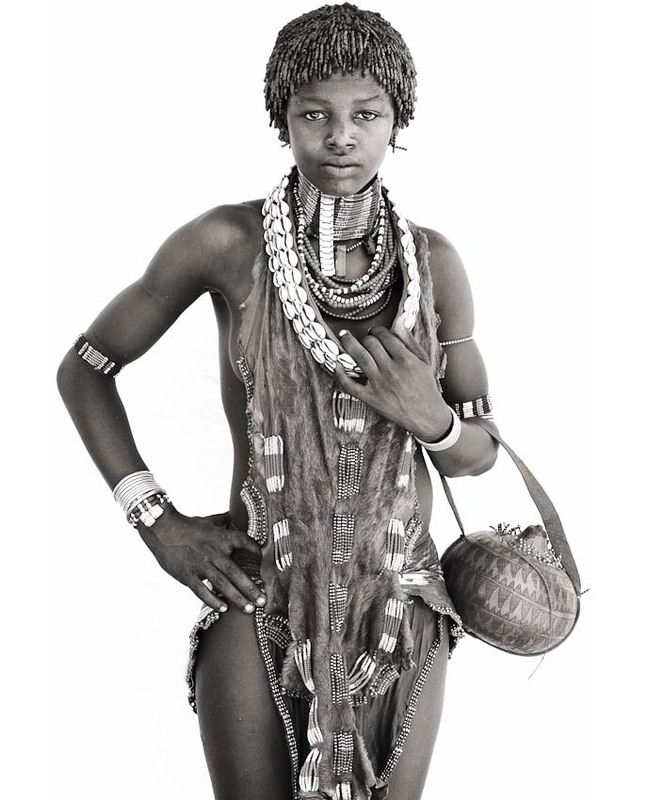 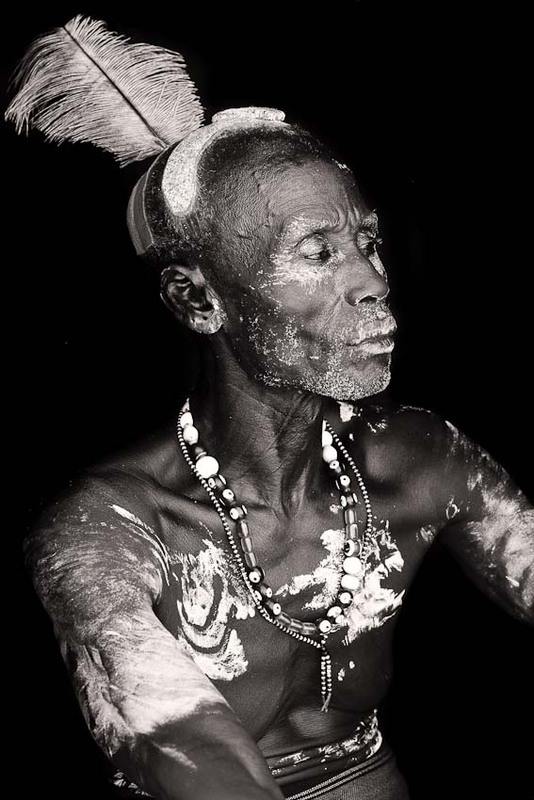 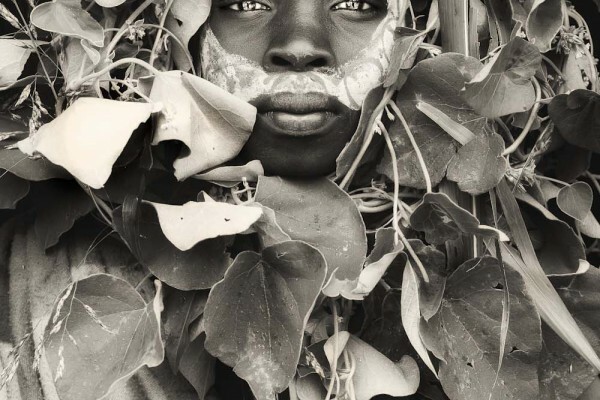 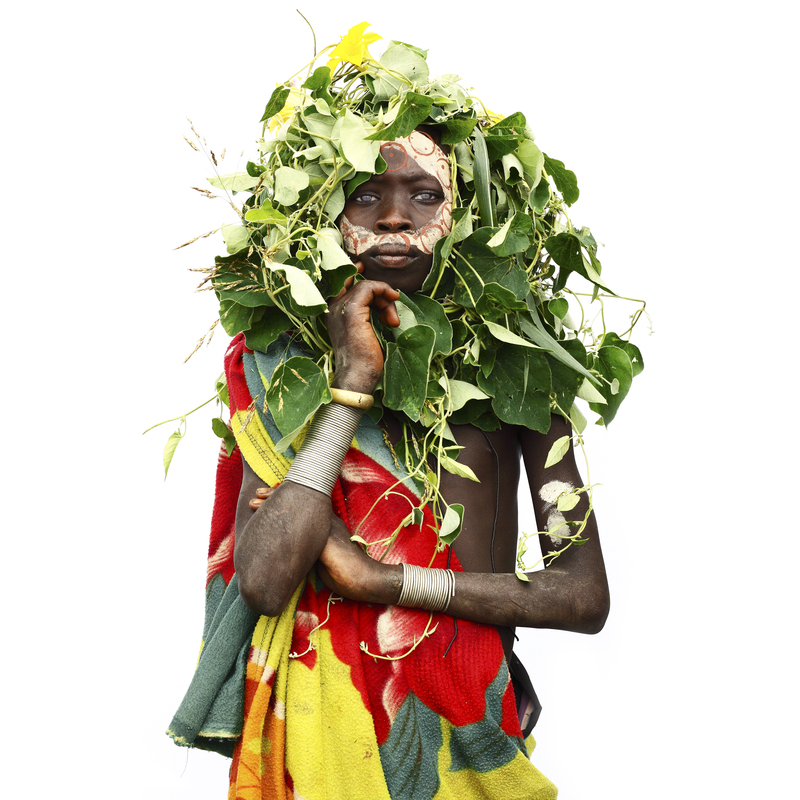 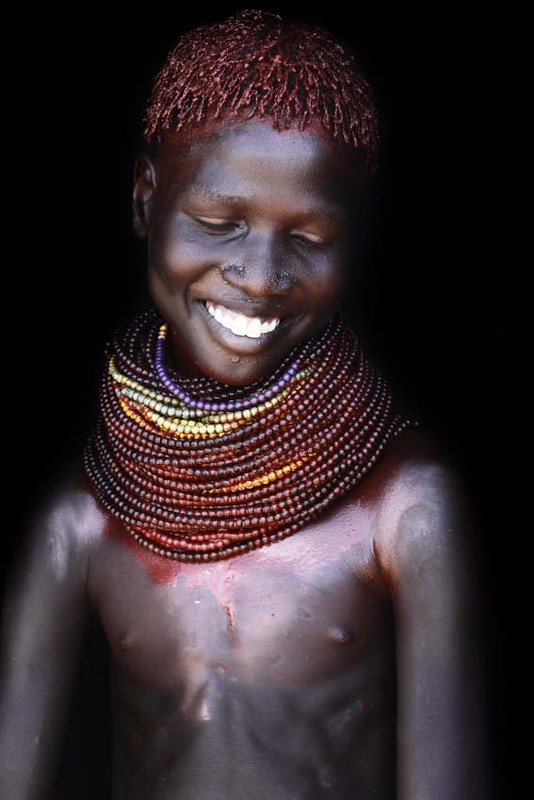 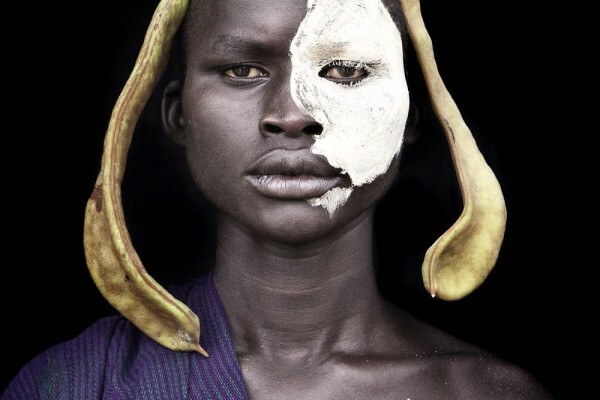 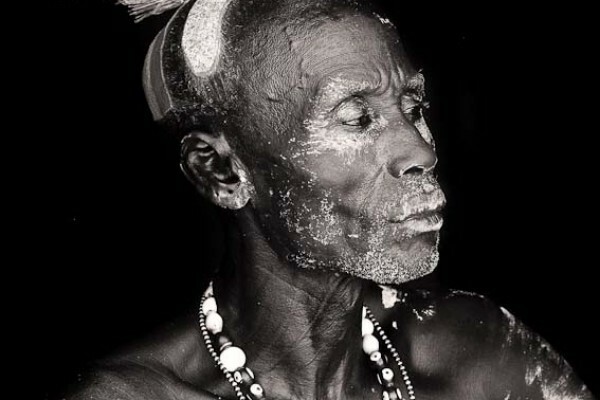 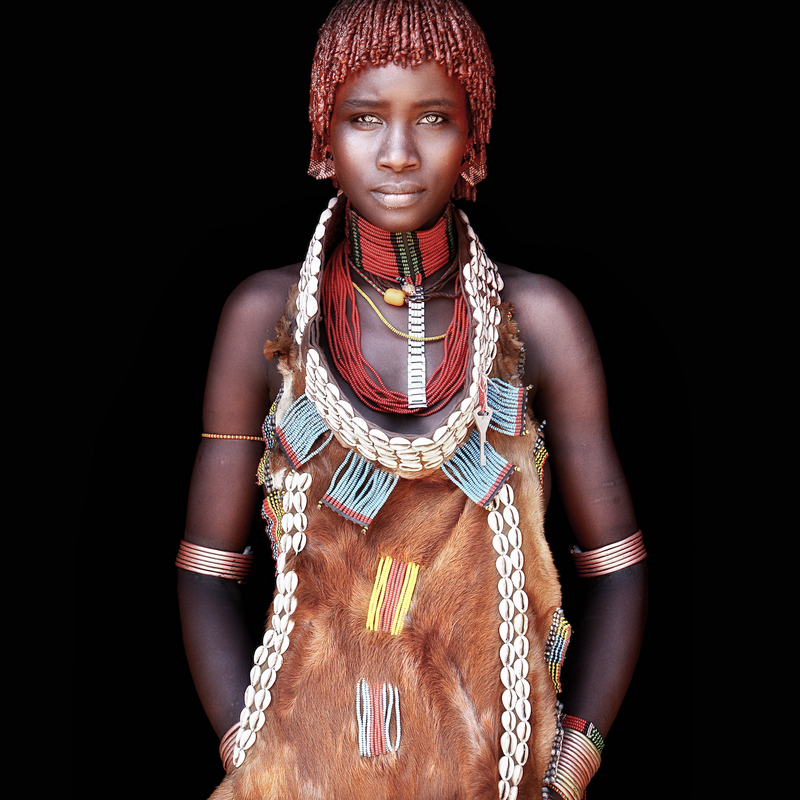 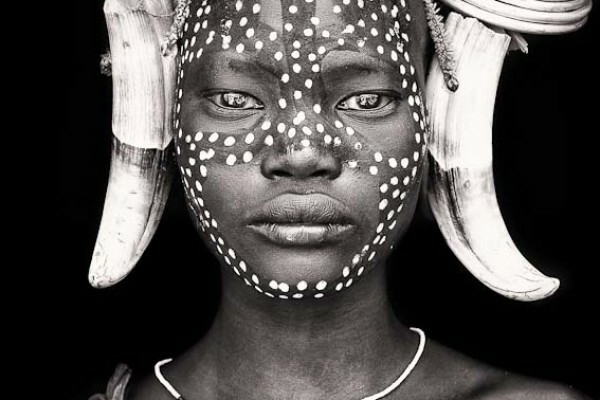 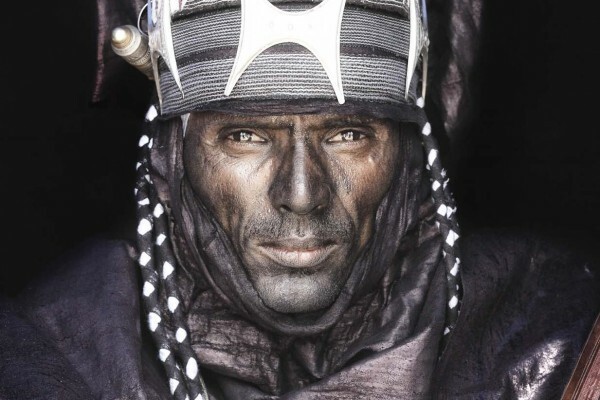 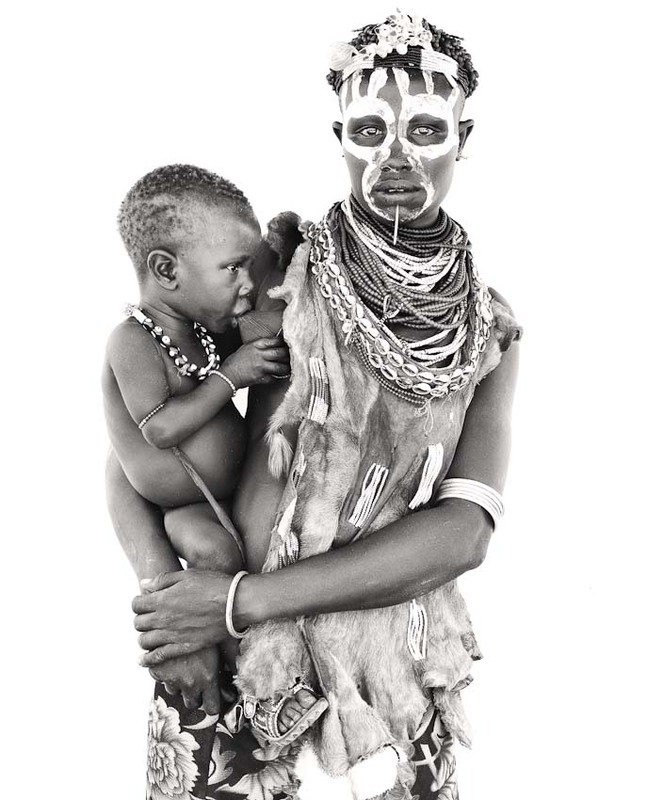 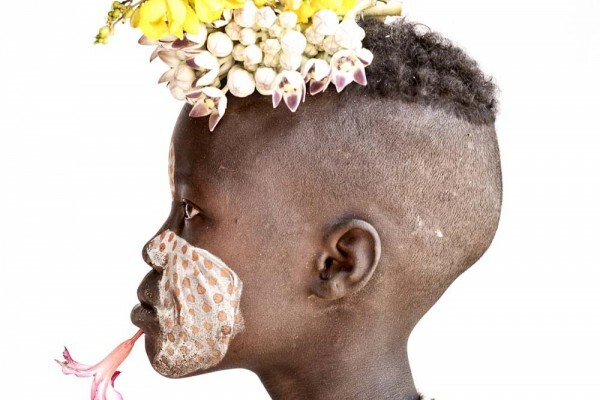 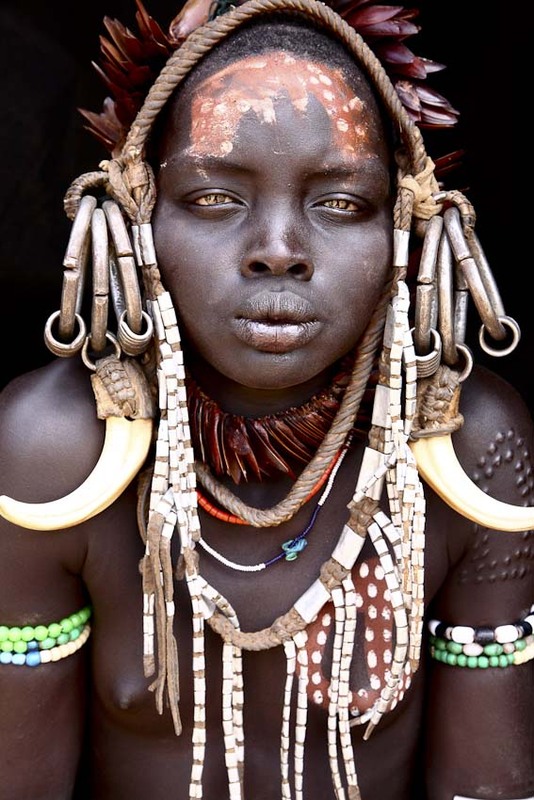 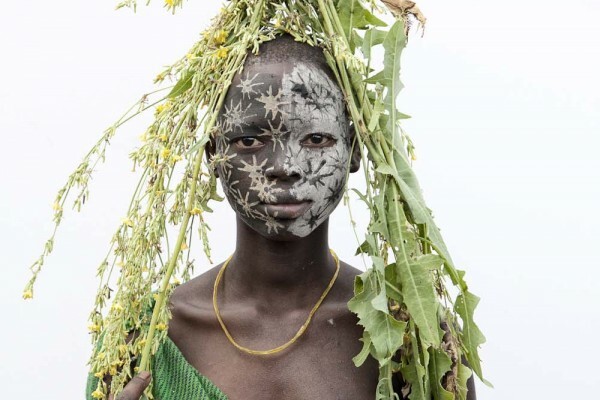 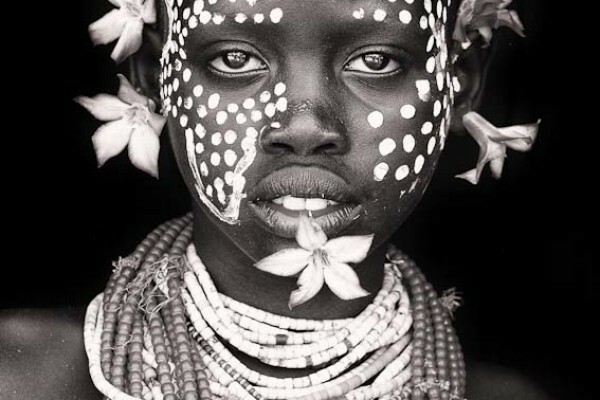 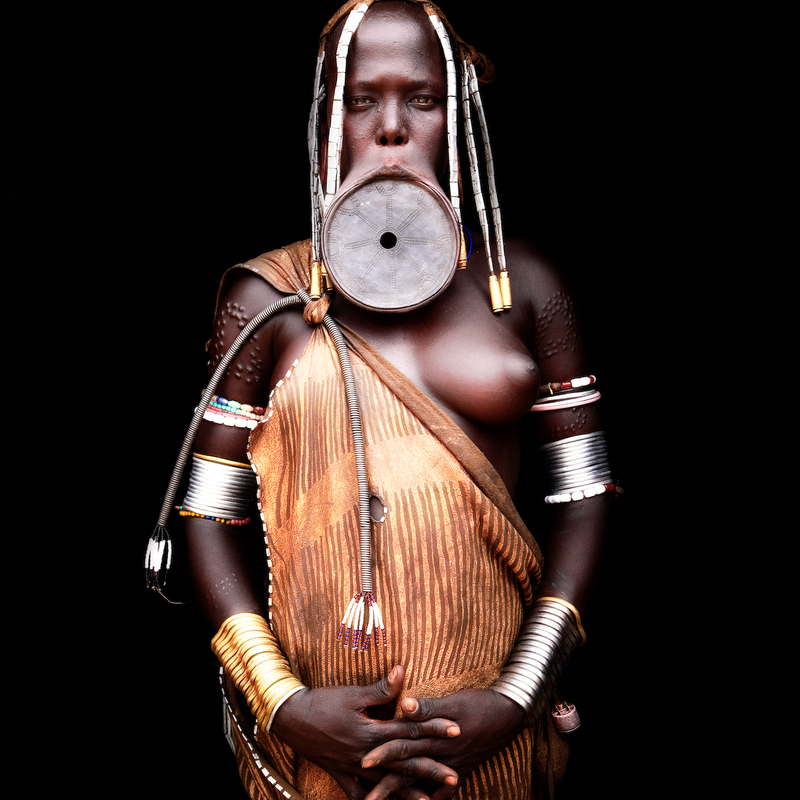 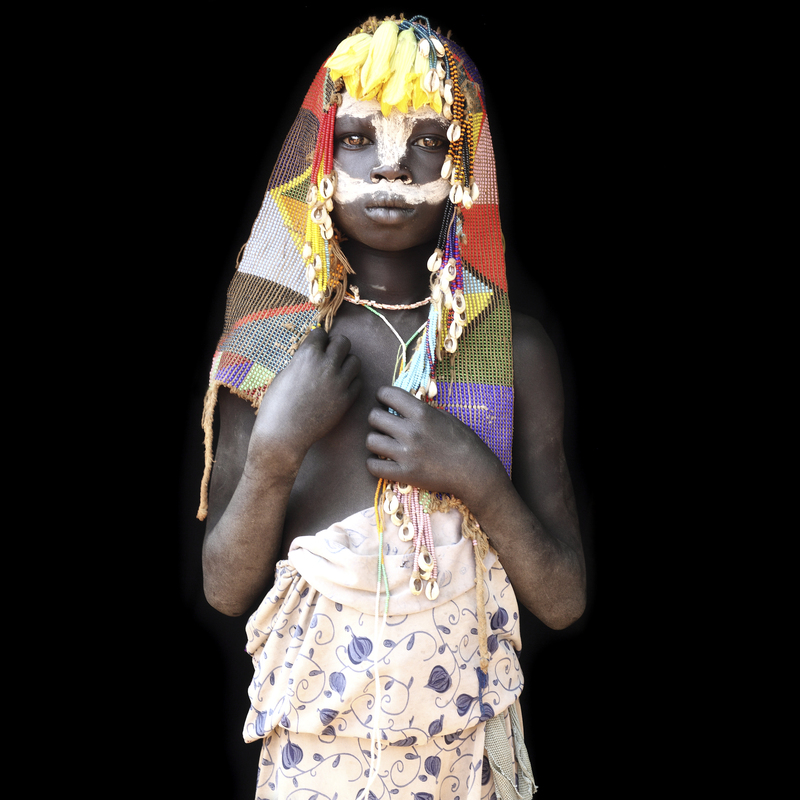 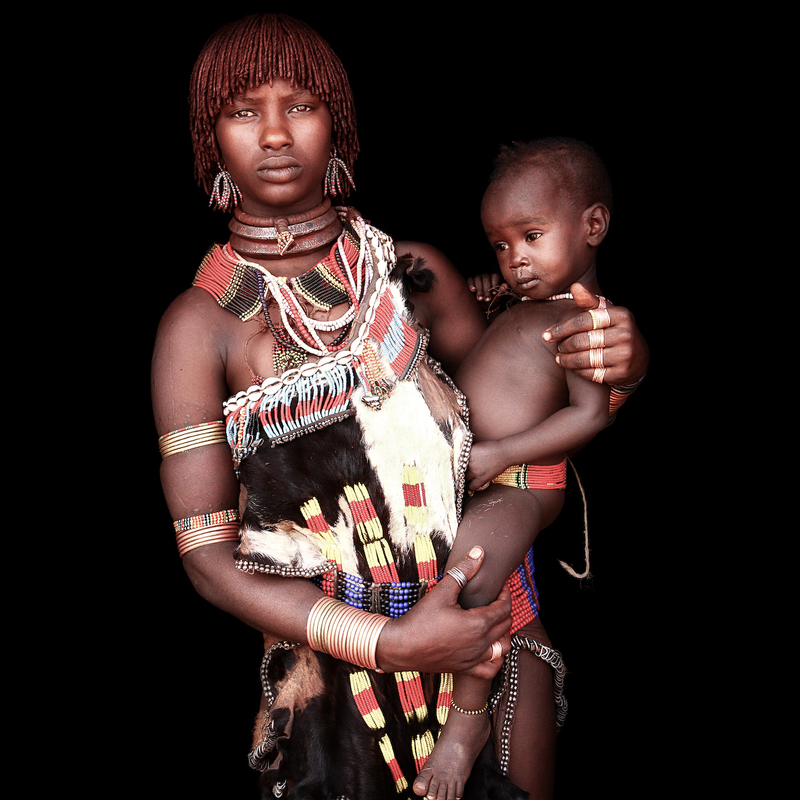 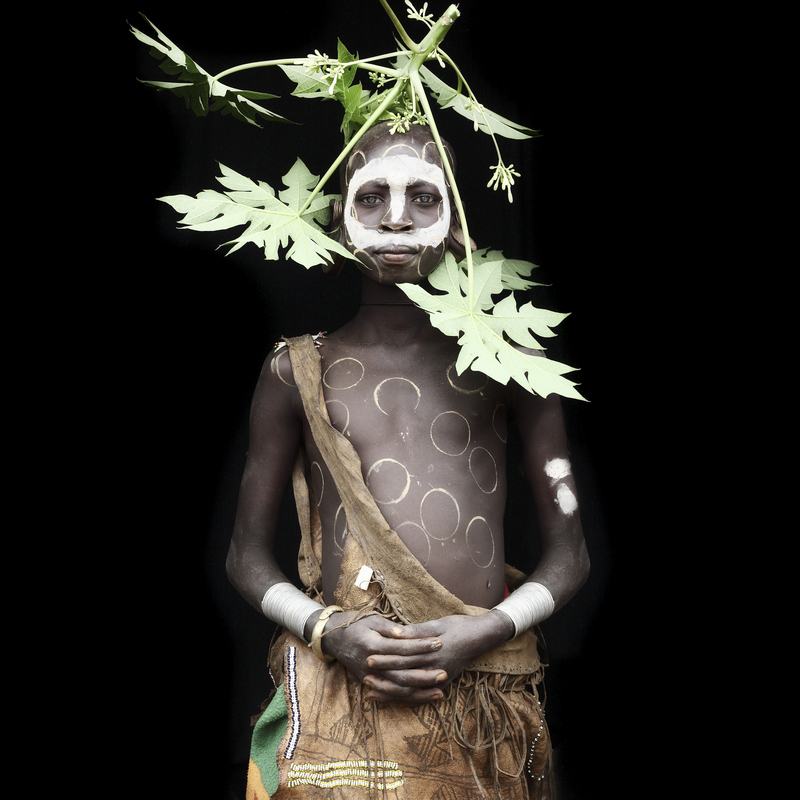 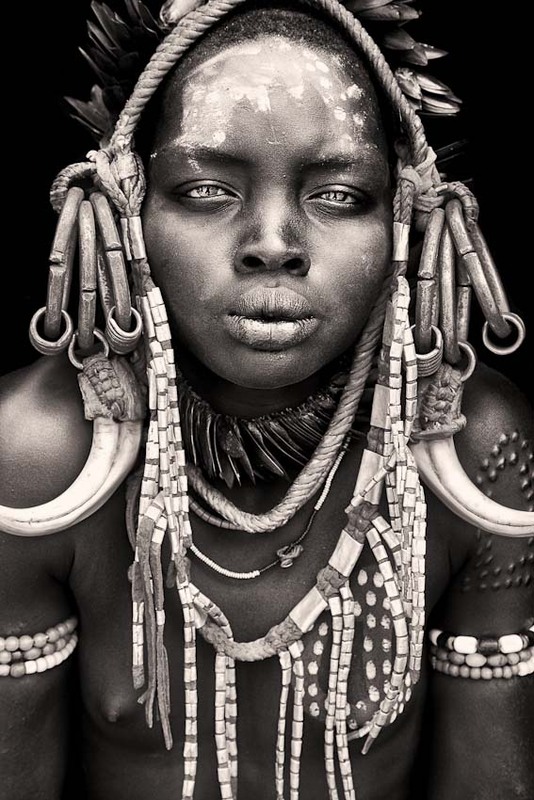 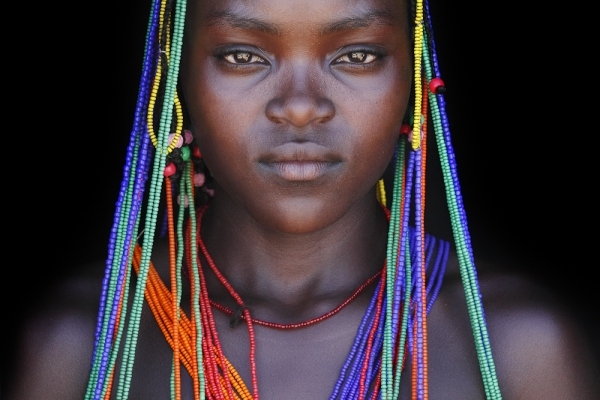 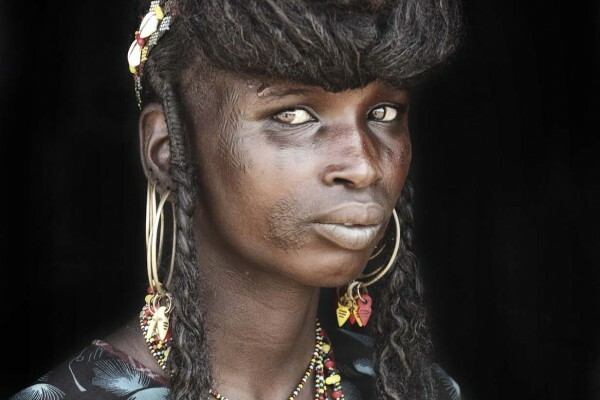 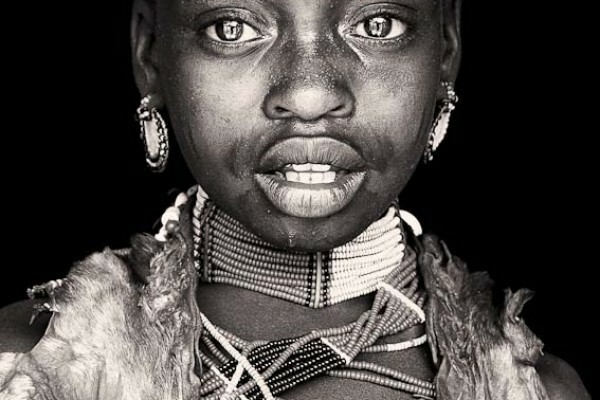 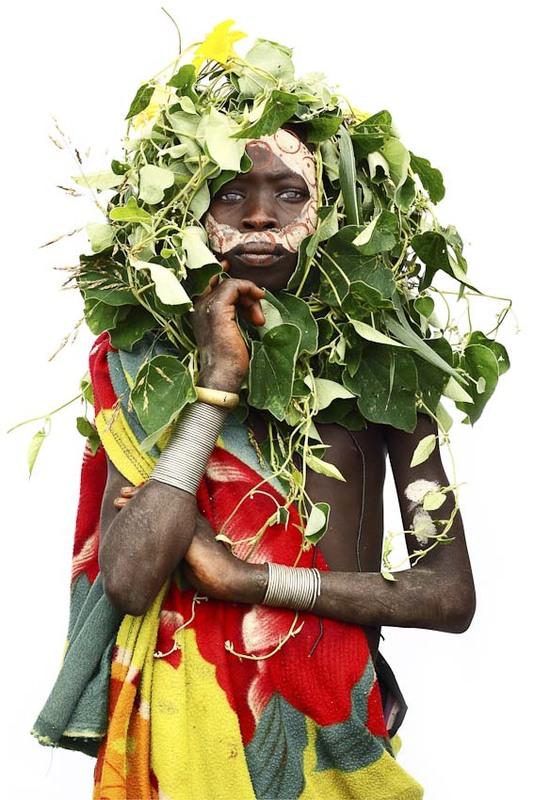 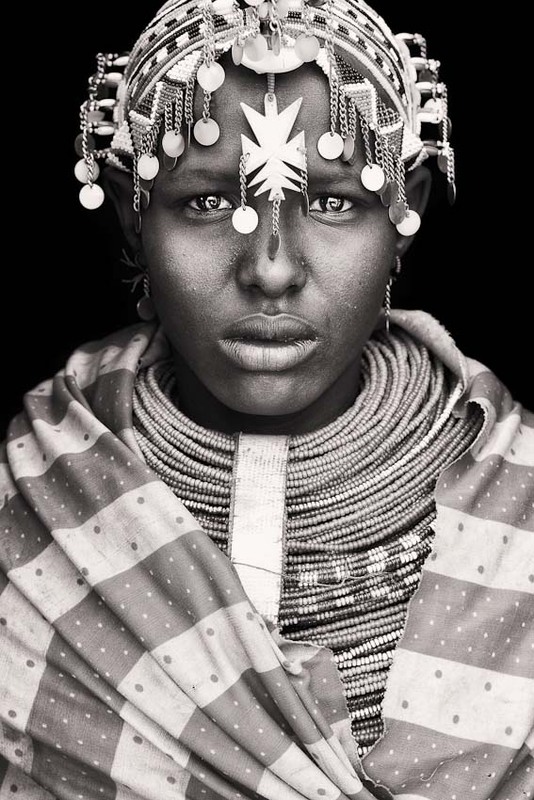 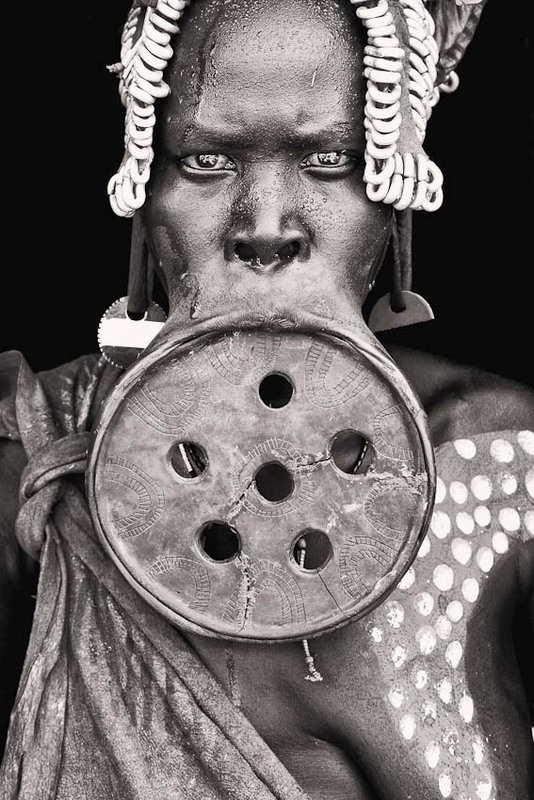 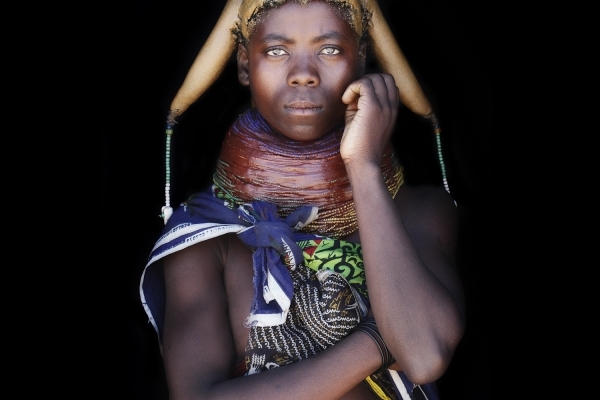 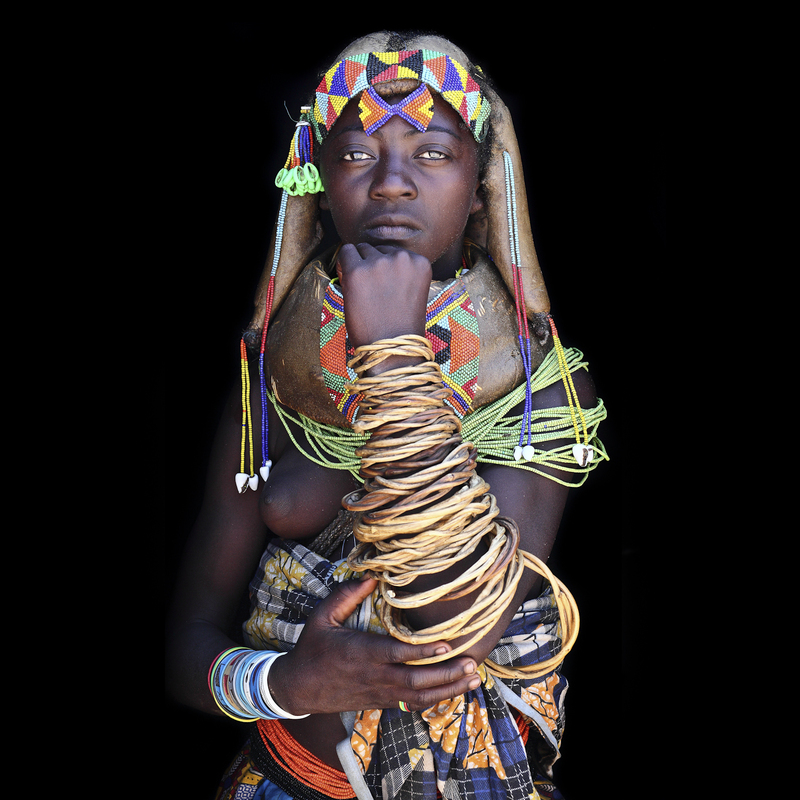 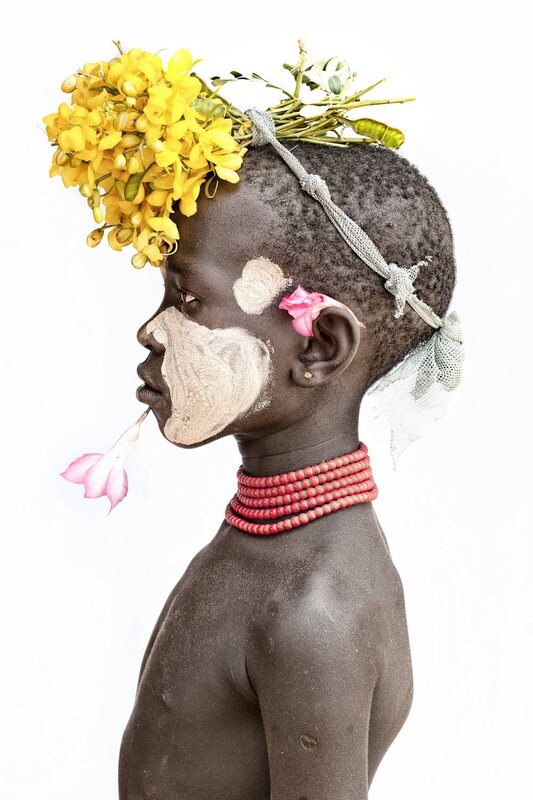 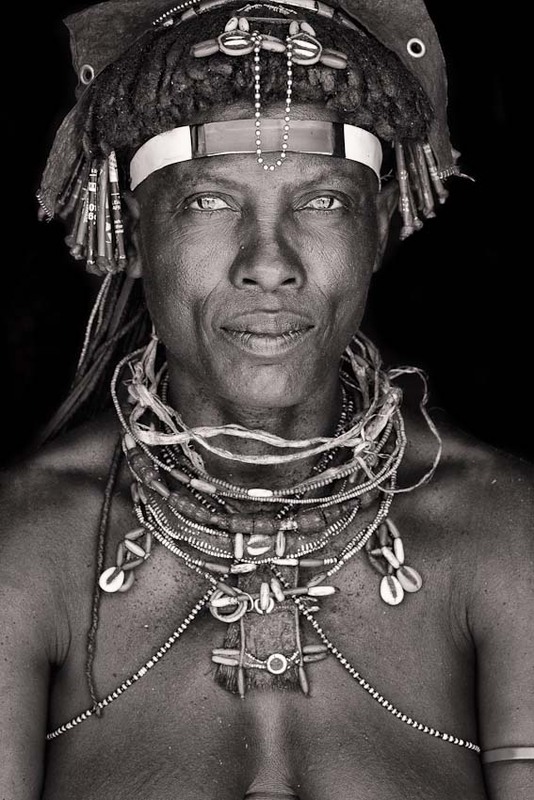 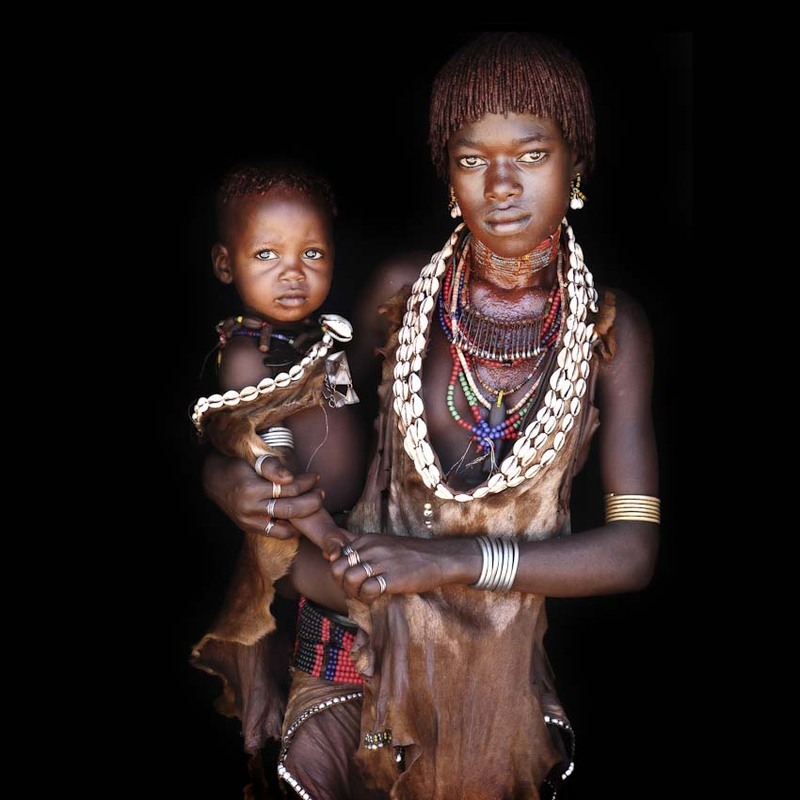 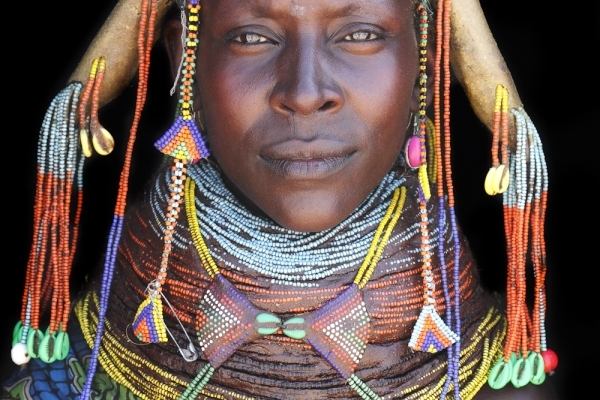 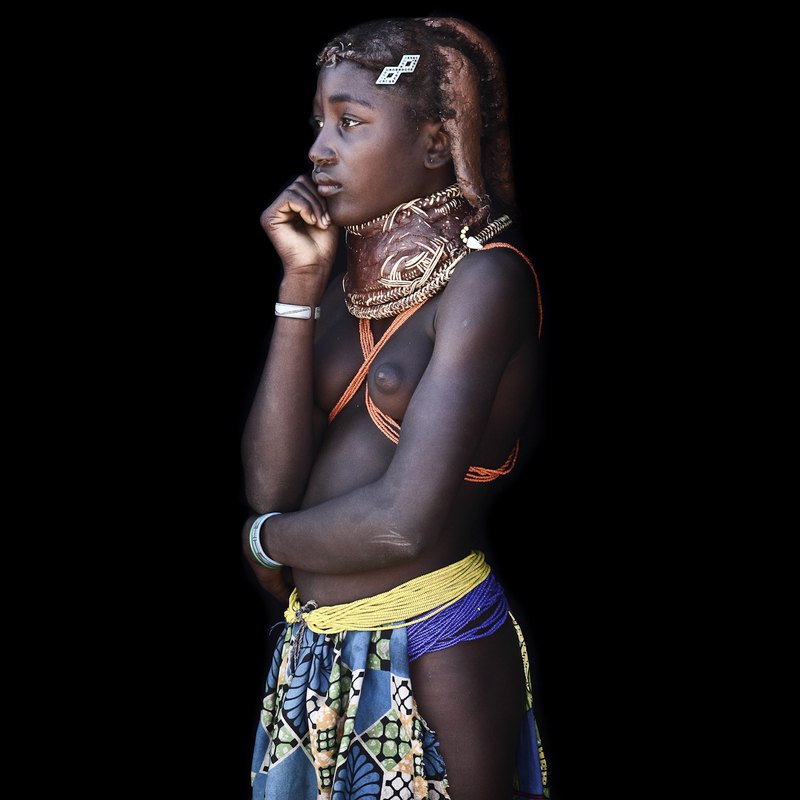 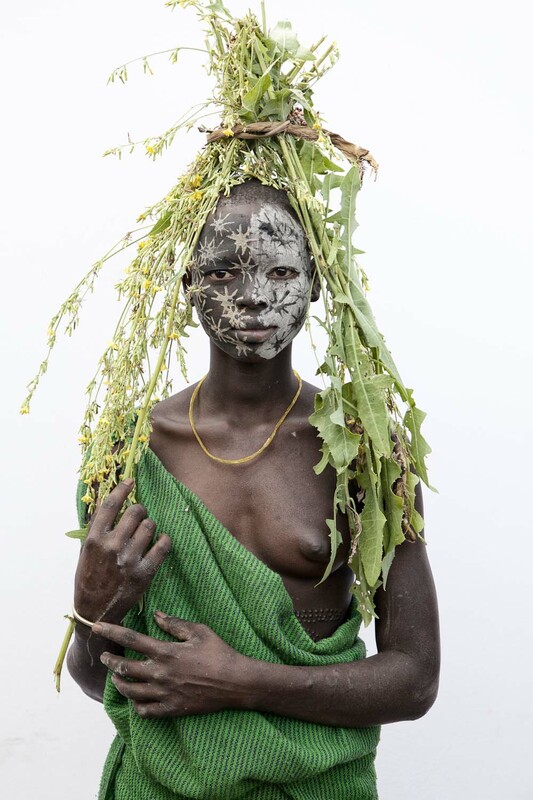 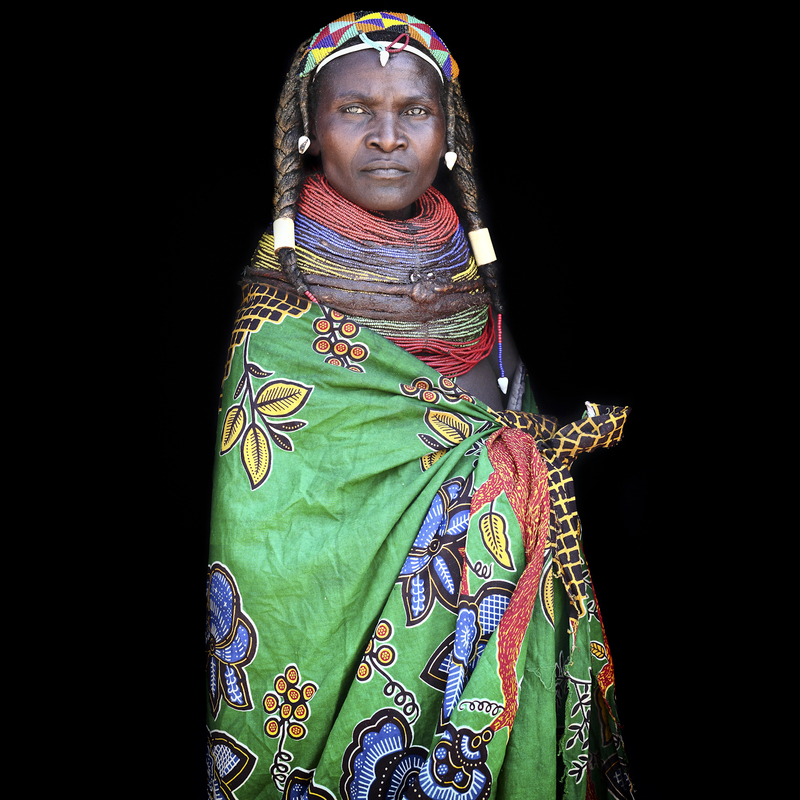 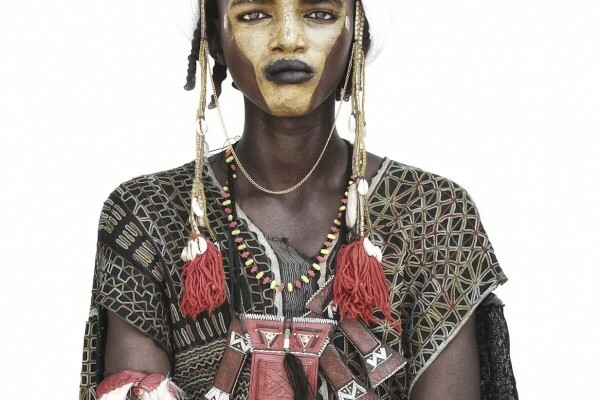 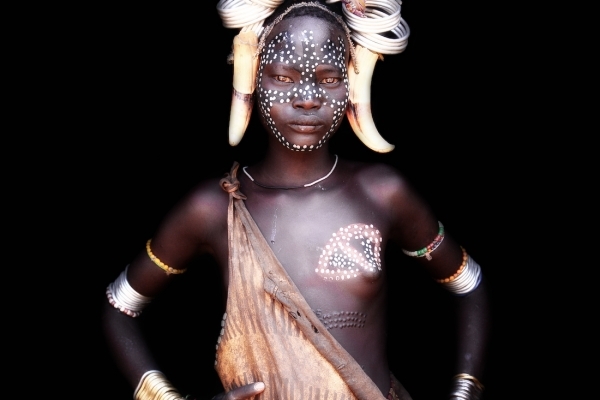 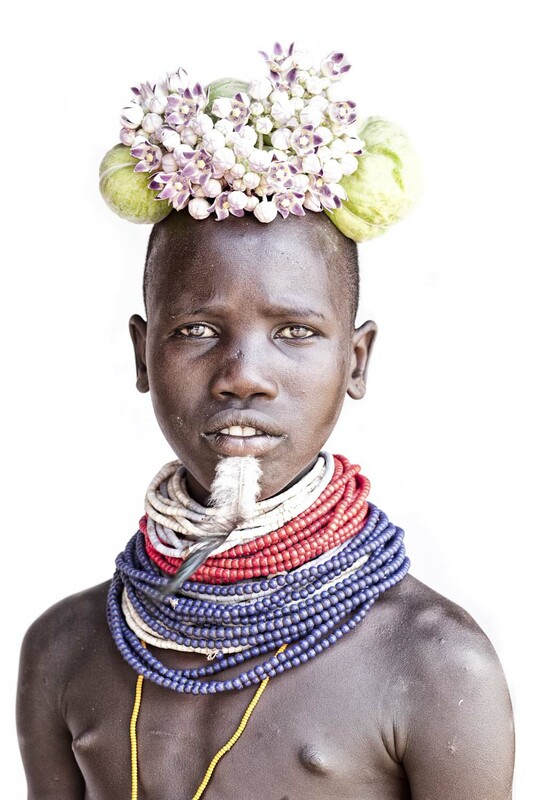 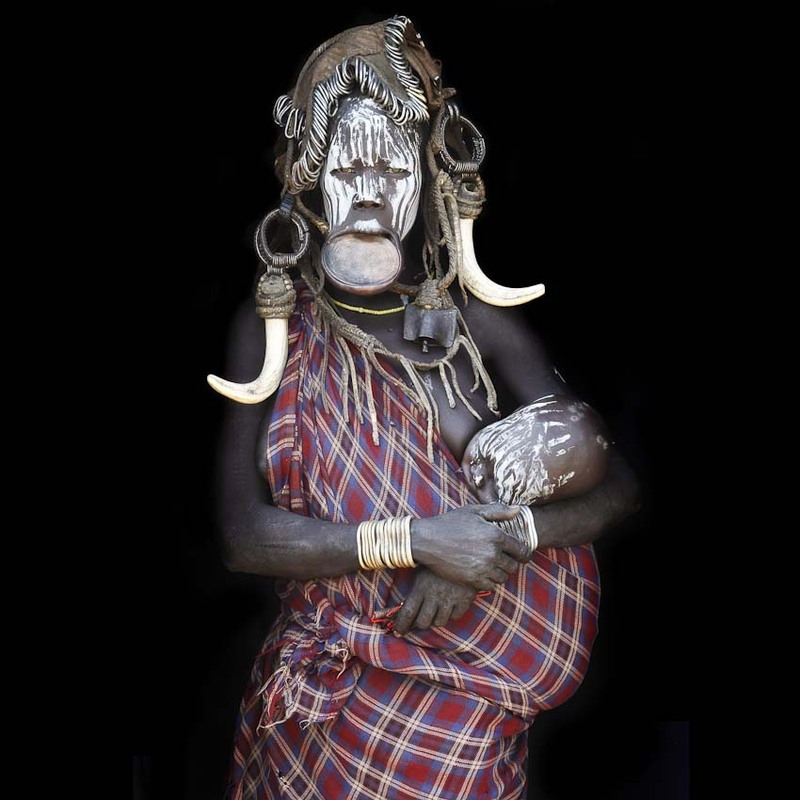 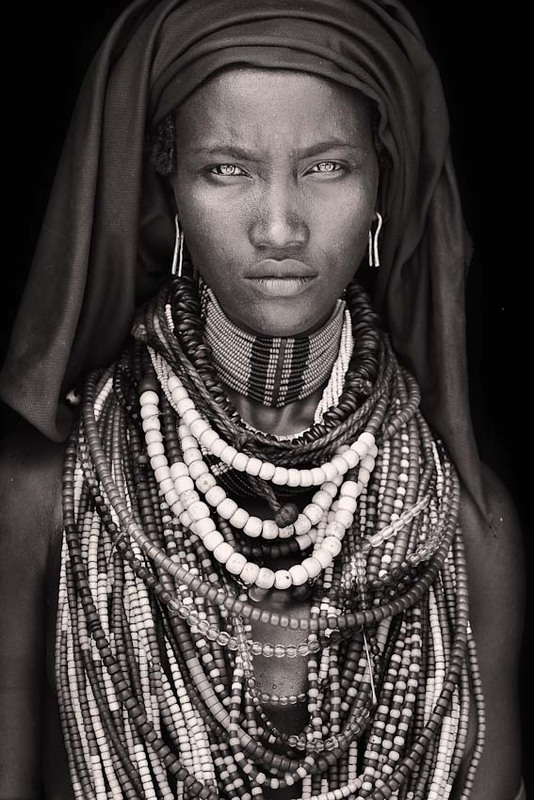 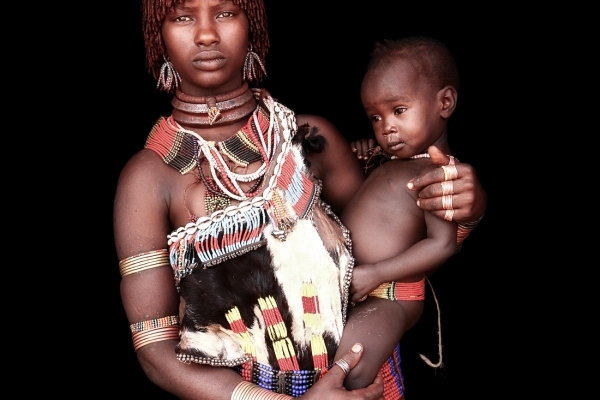 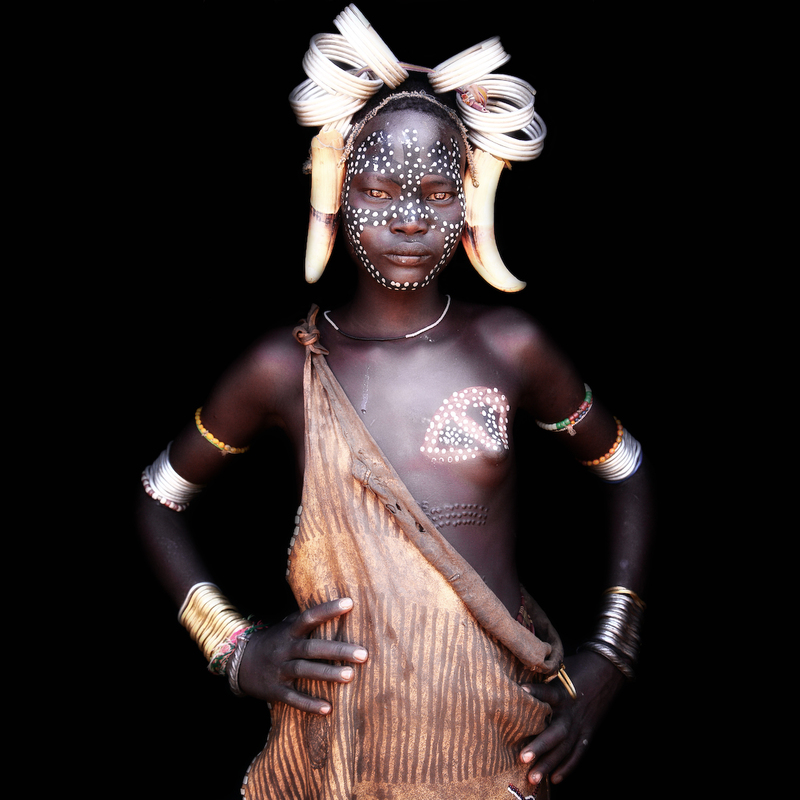 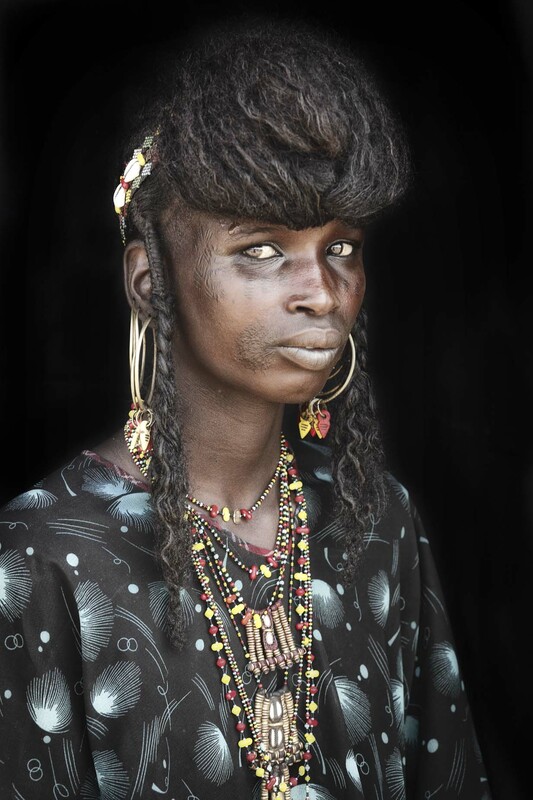 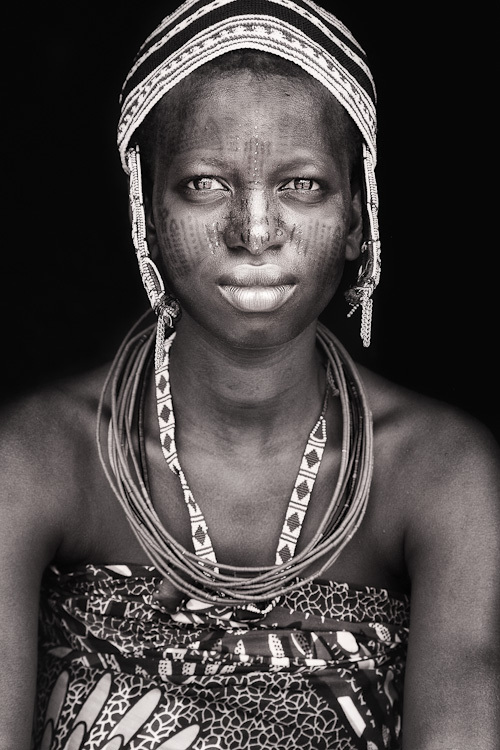 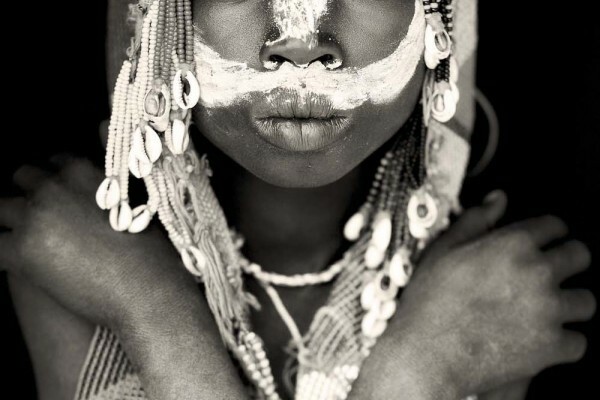 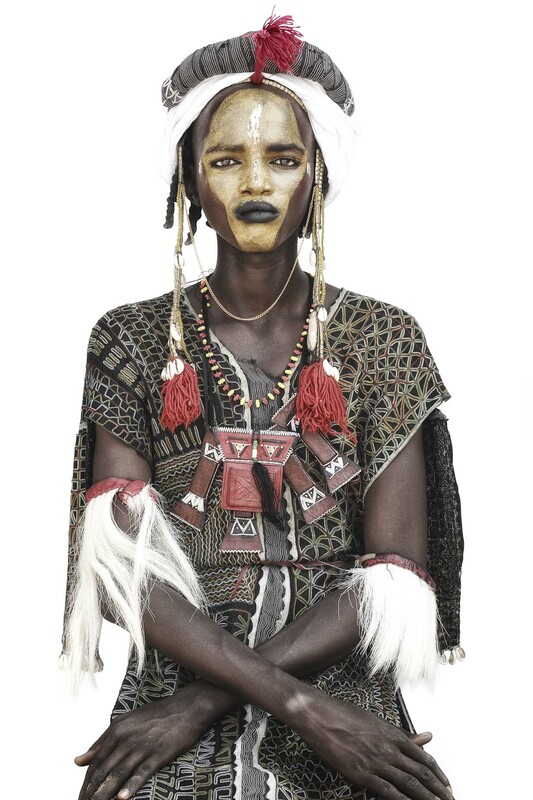 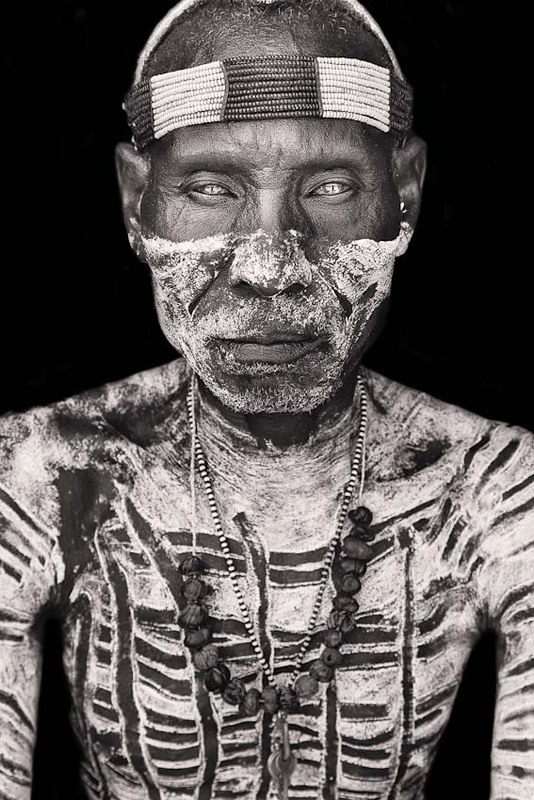 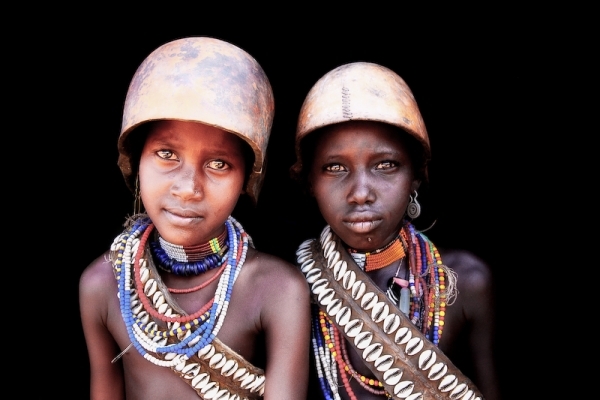 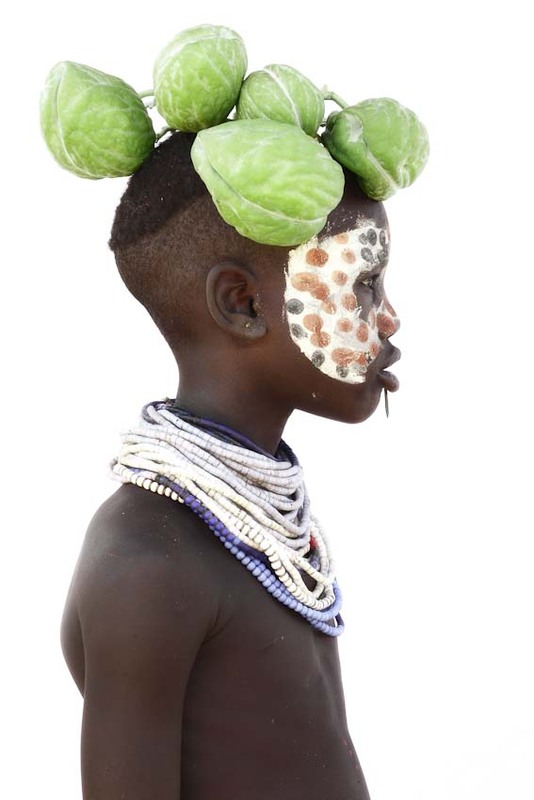 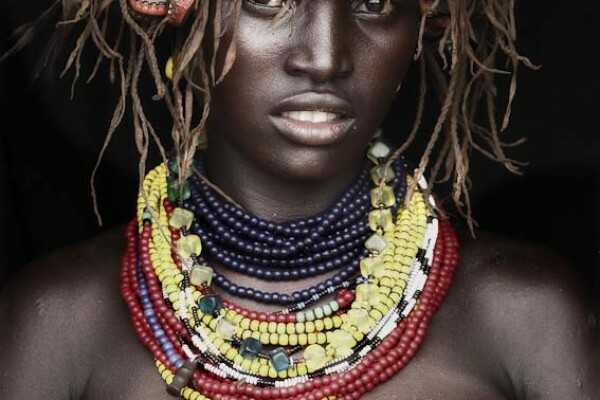 The colors of the tribes on the Omo river emphasize their connection with nature, but also the individuality of the Musi, Nyangatom, Karo and Hamar peoples. 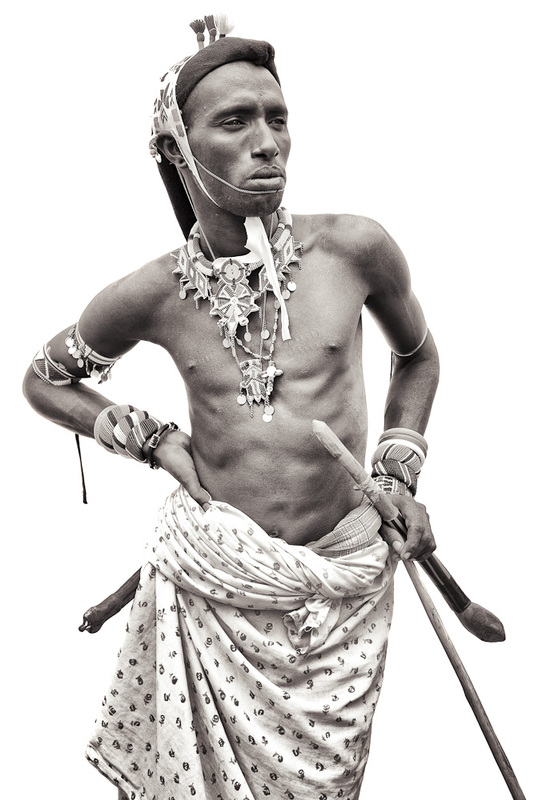 6 months, I travel along the Sahel from Ethiopia to Mali and take photos of the Afar in Ethiopia, the Samba in Benin and the Fulani in Burkina Faso. 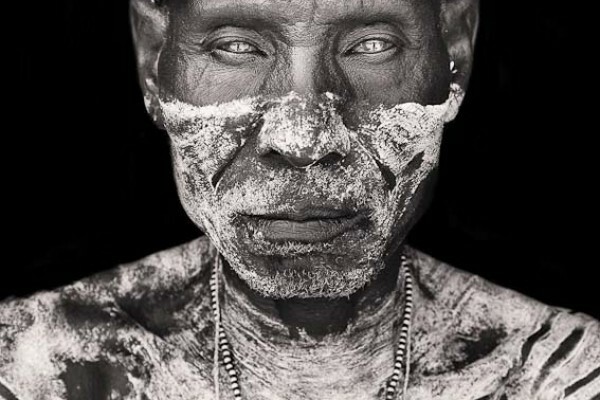 Surma are a part of nature. 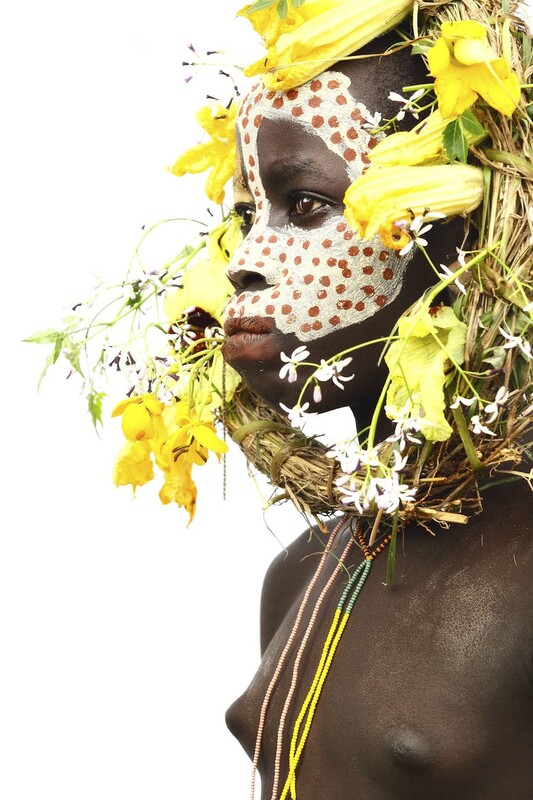 They value the creation in which they decorate their bodies with flowers, colors and grasses, thereby emphasizing their love for nature. 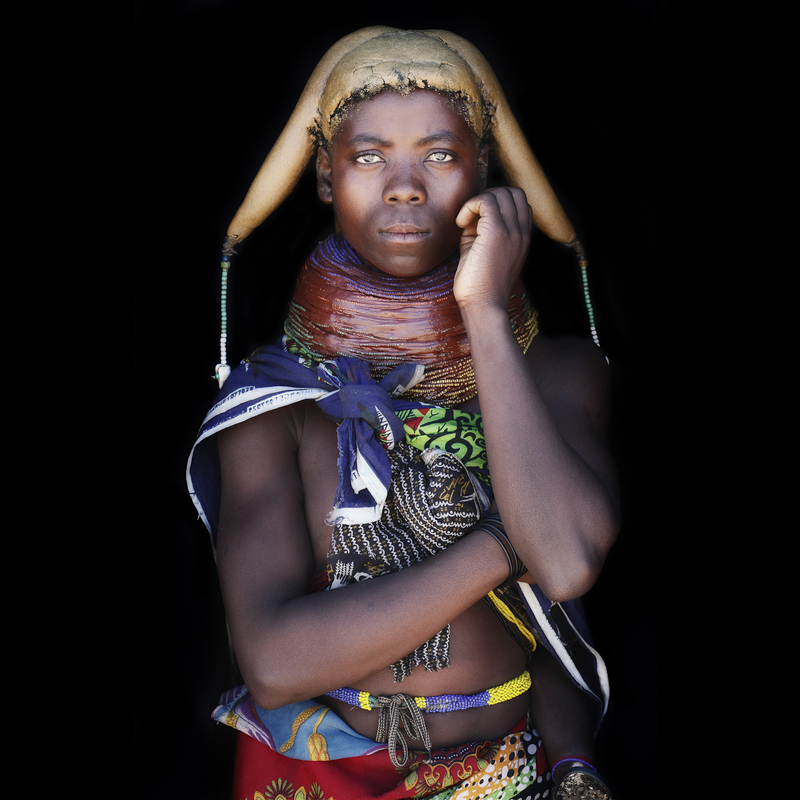 Angola is not a country that is easy to tour - yet I could find access to the fabulous peoples of the Mumuhilas and Owakaona in southern Angola and have portrayed and preserved the rich culture in color. 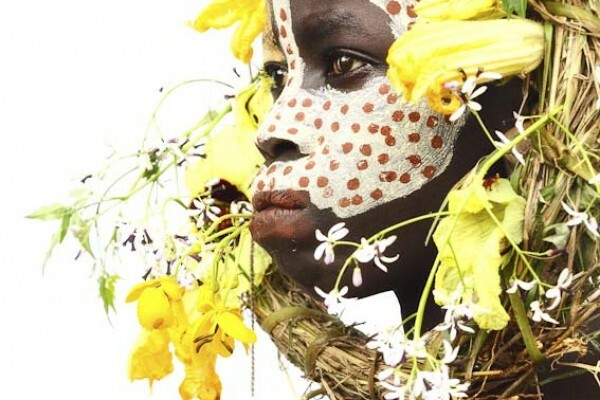 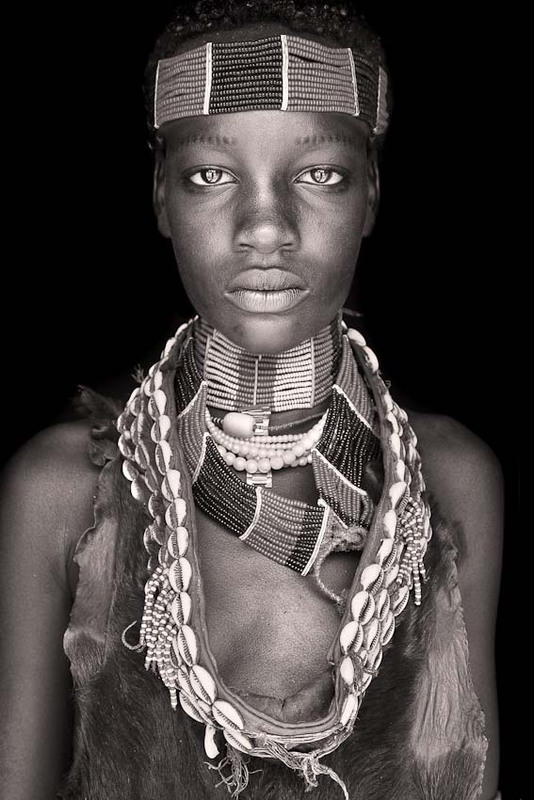 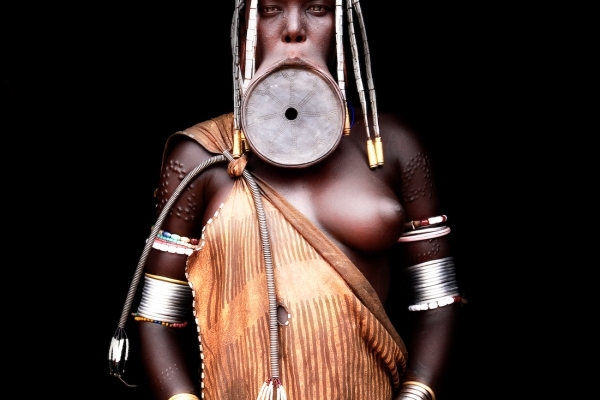 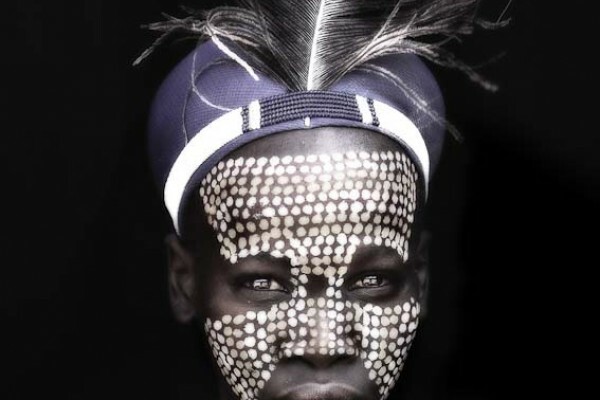 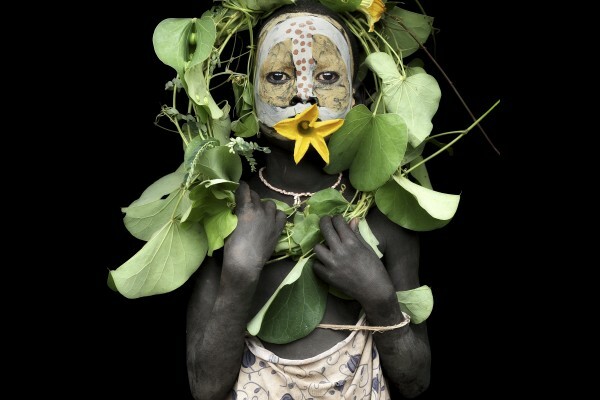 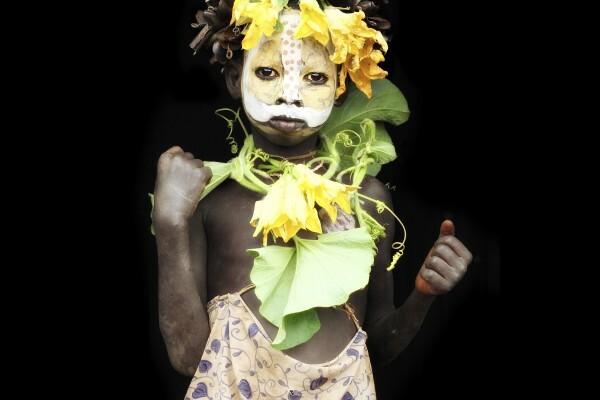 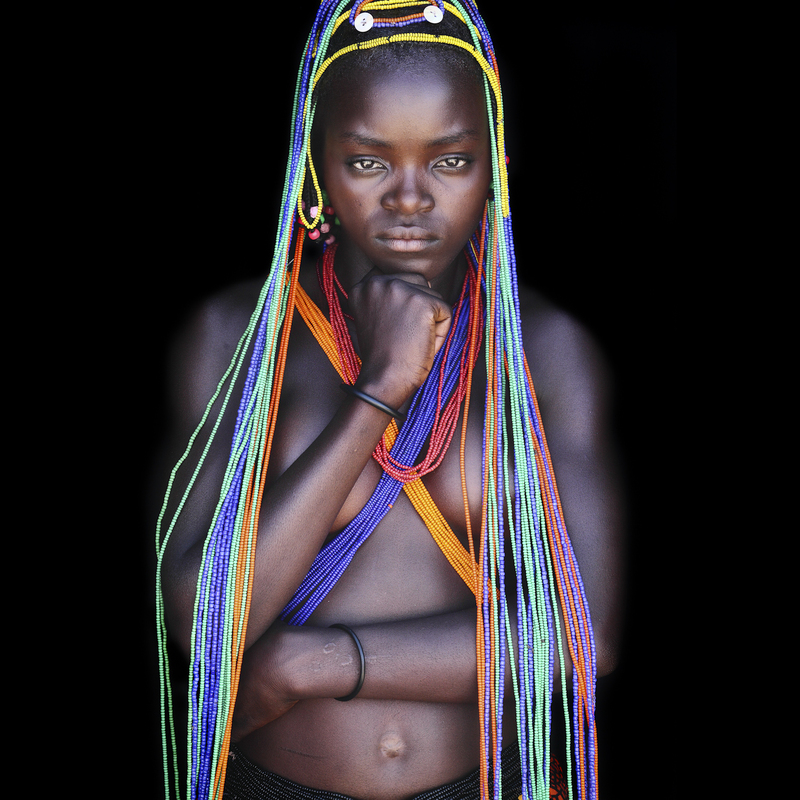 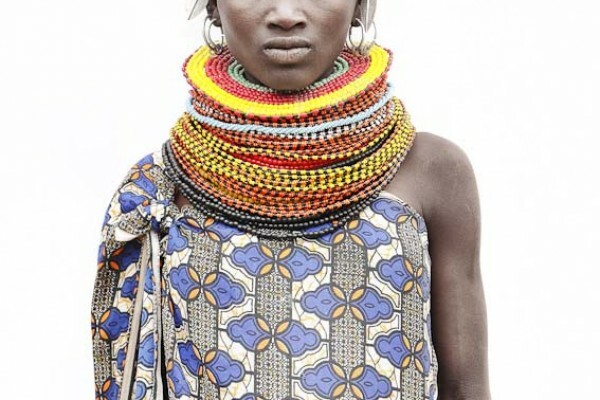 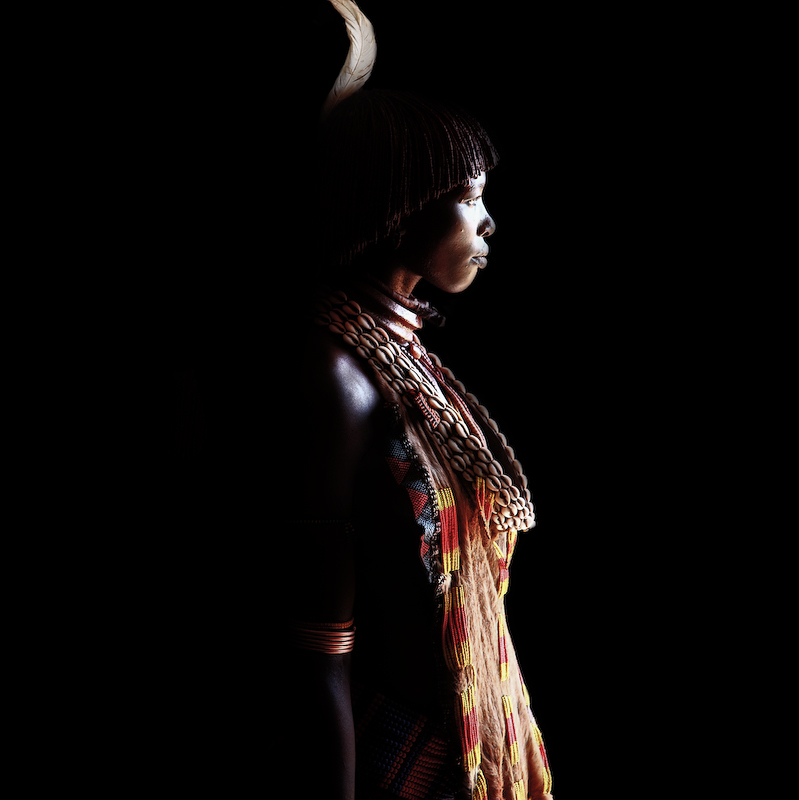 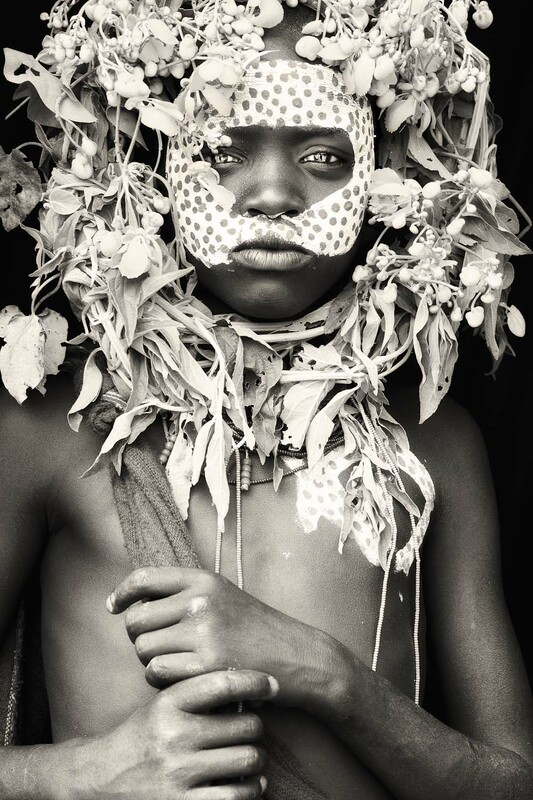 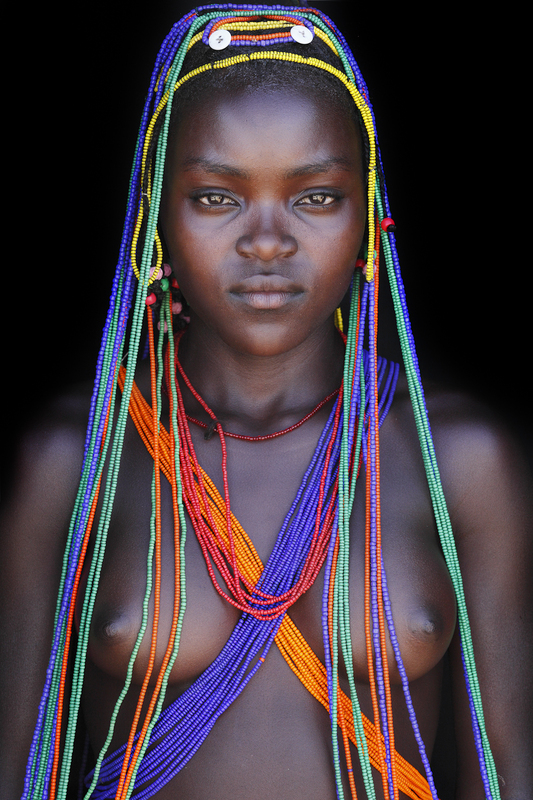 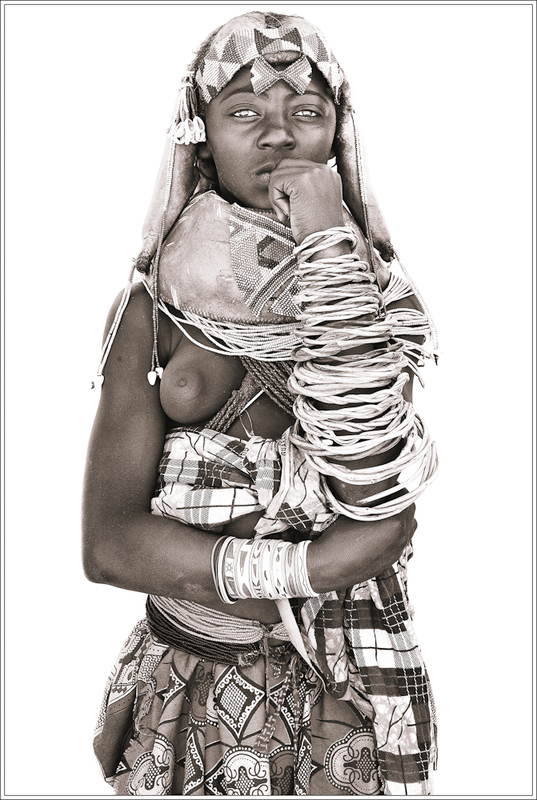 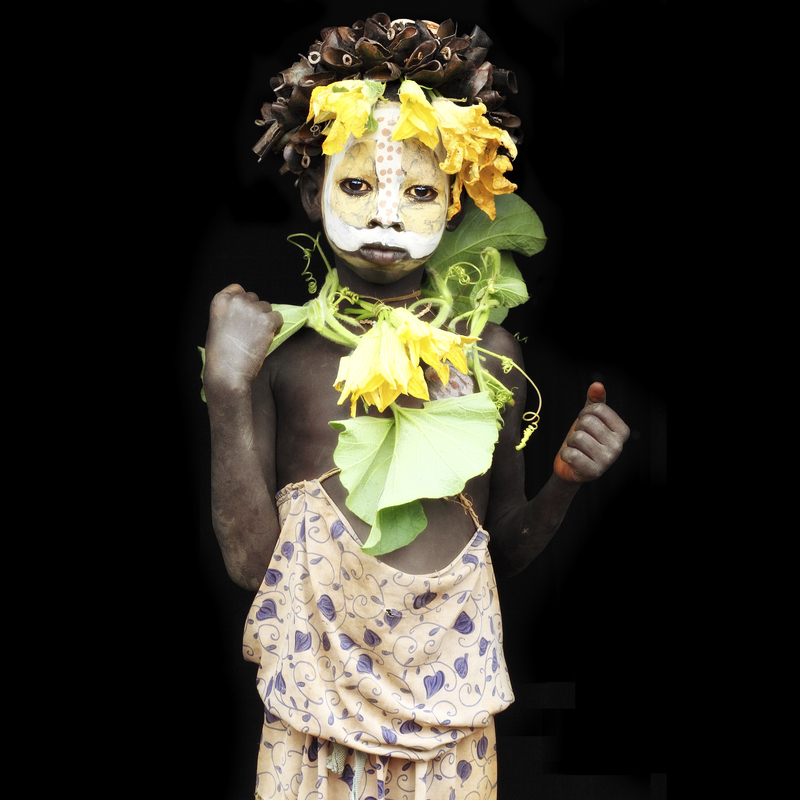 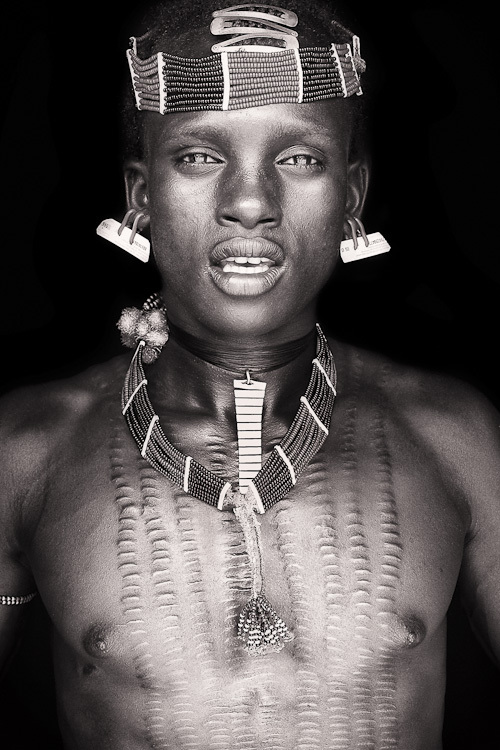 This collection was created 2009 during a trip to the Omo valley. 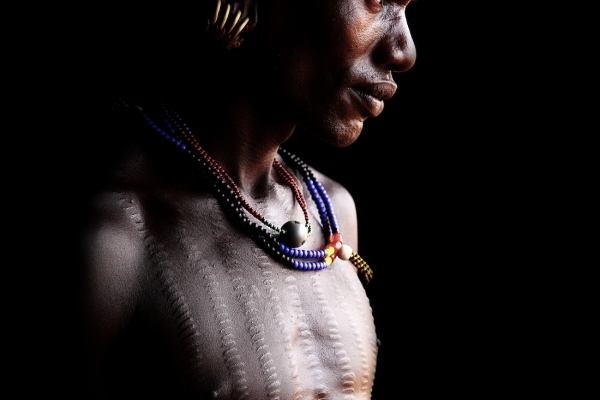 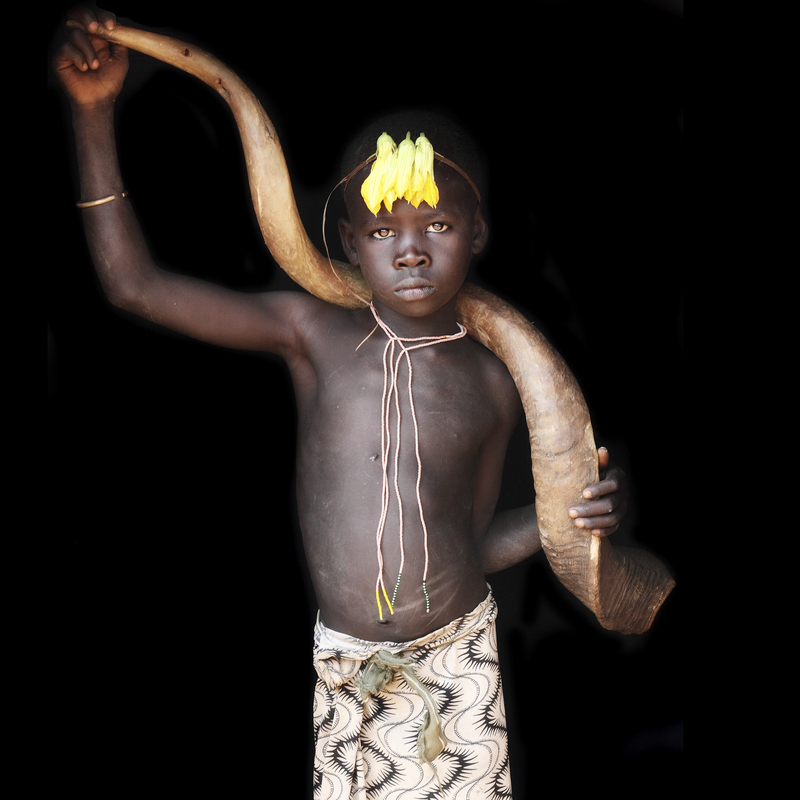 The incredible variety of this area, the life of the Omo River, its people and the enchanting cultures are shown. 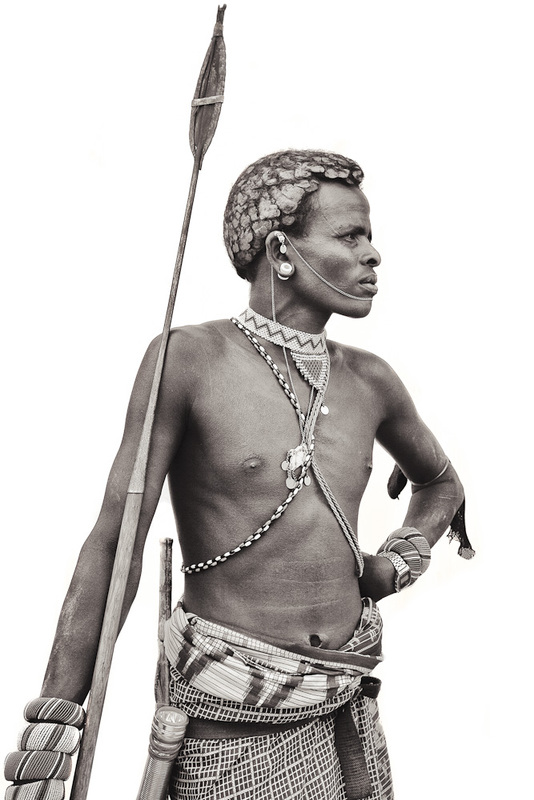 In July, the search for the last nomads of Africa leads me deep into the south to visit the fabled tribes of Mumuhilas and Owakaona. 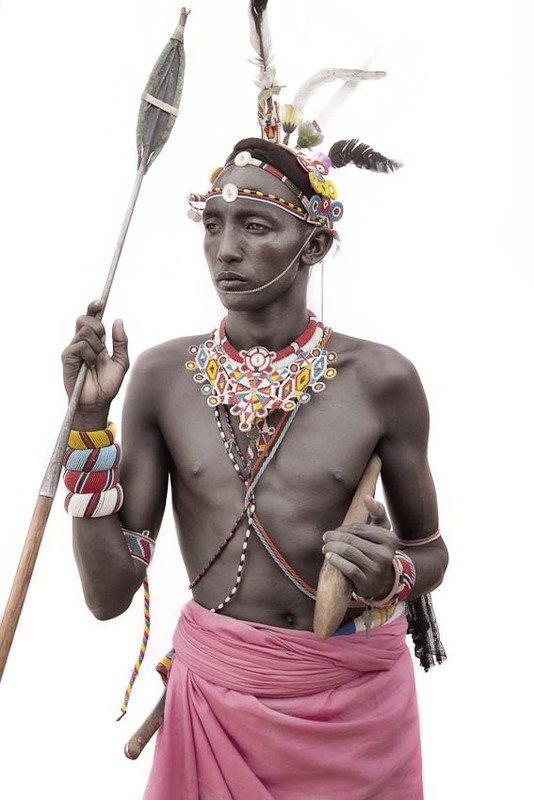 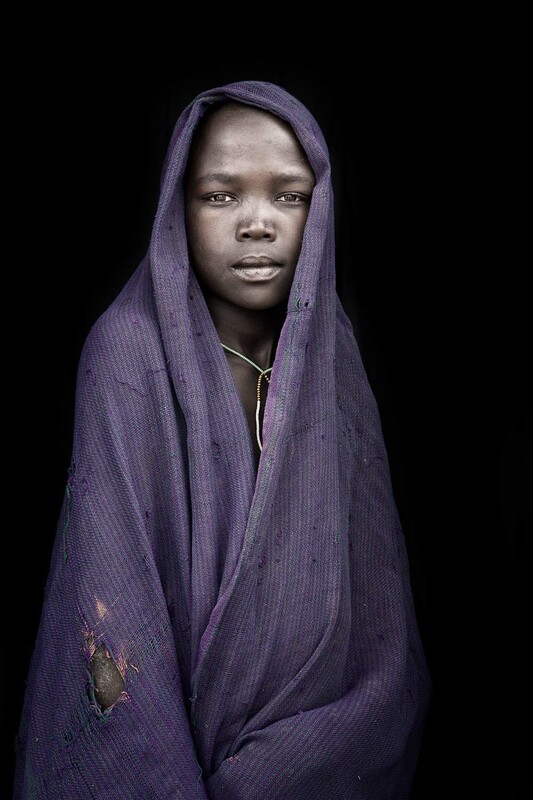 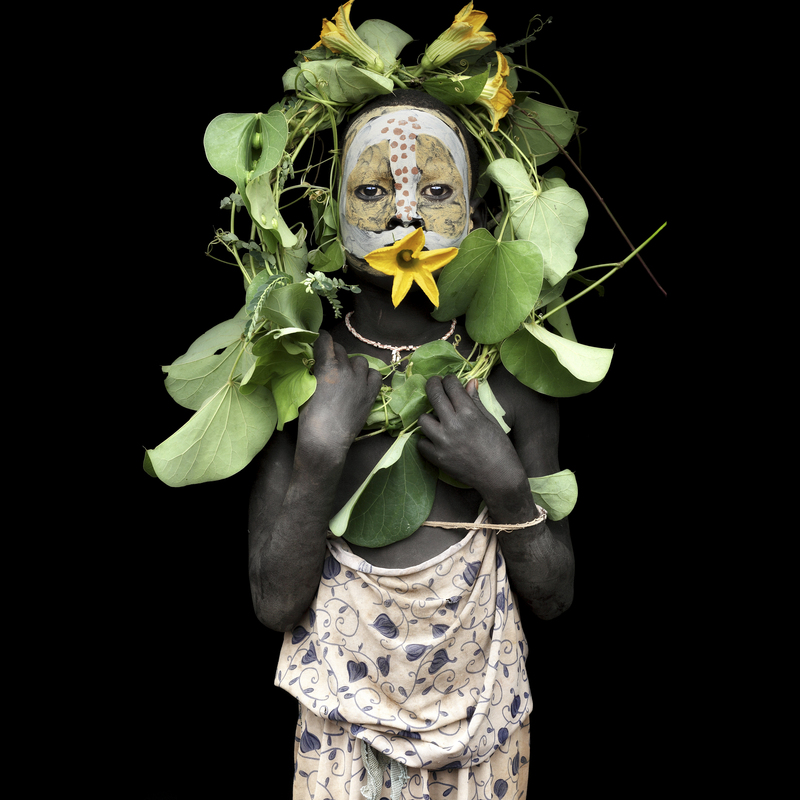 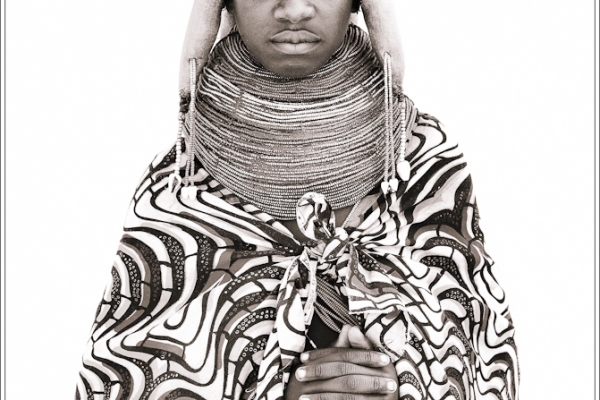 The series of peoples in the north of Kenya was created in the summer of 2010. 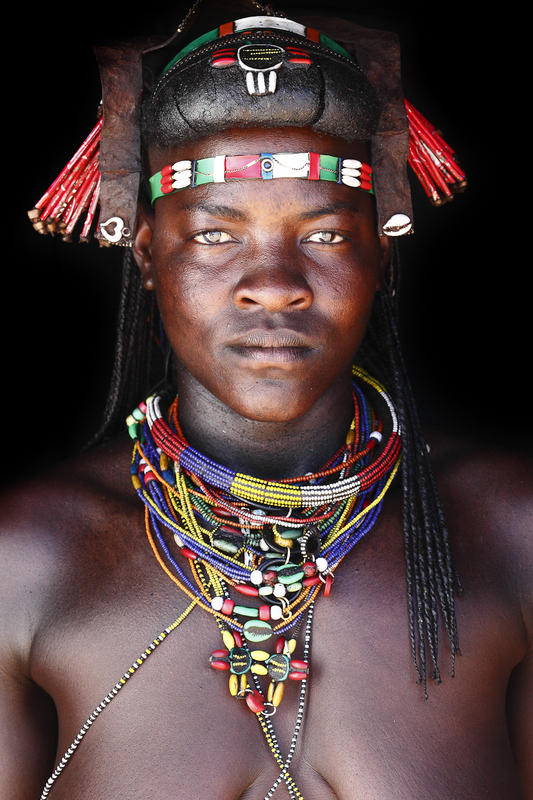 For generations the tribes of the Samburu, Rendile, Pokott and Turkana migrate the Savannahs and semi-deserts of their ancestors. 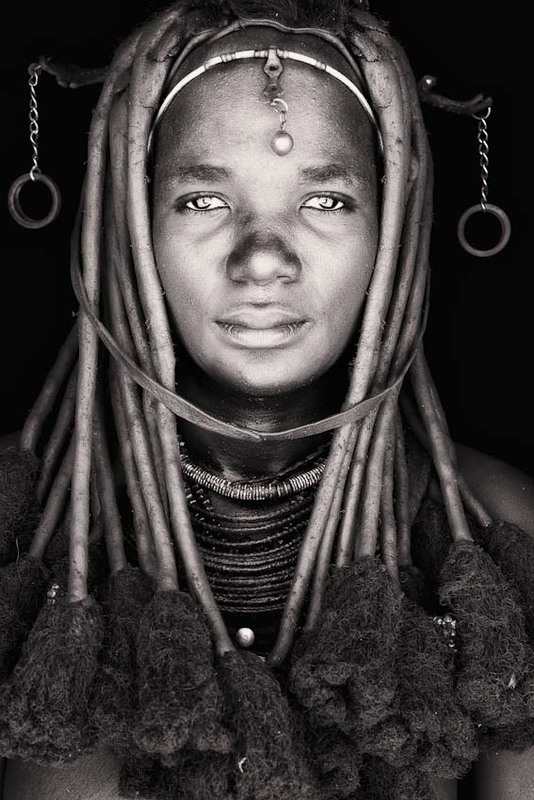 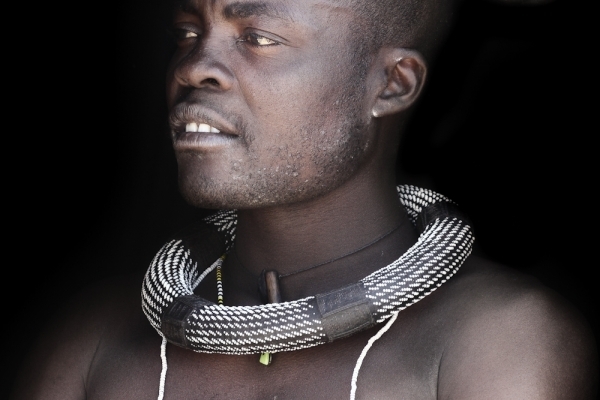 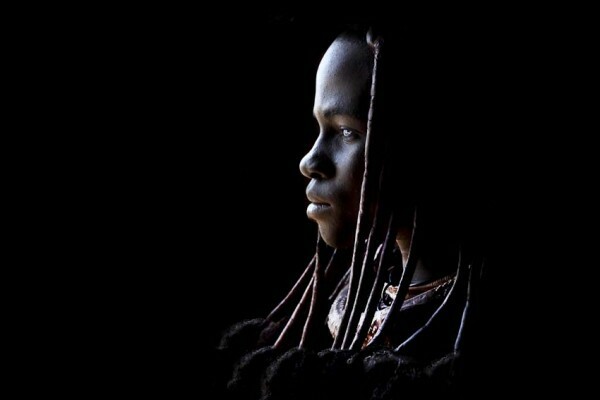 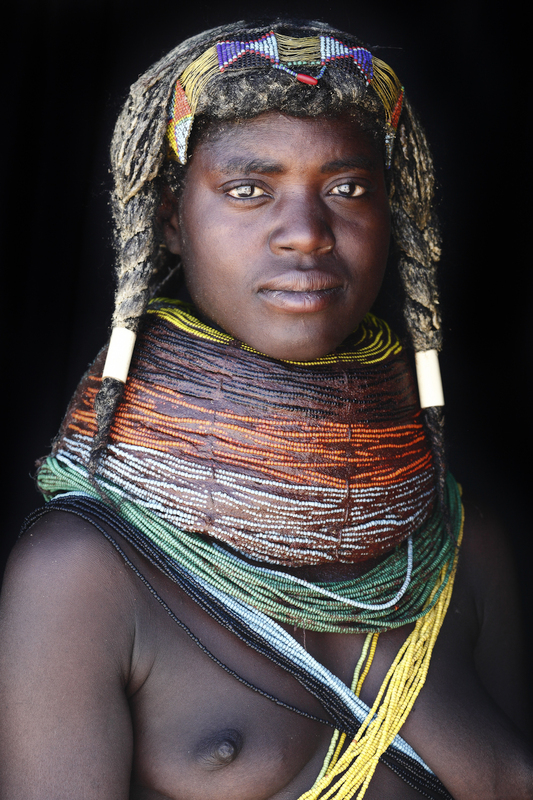 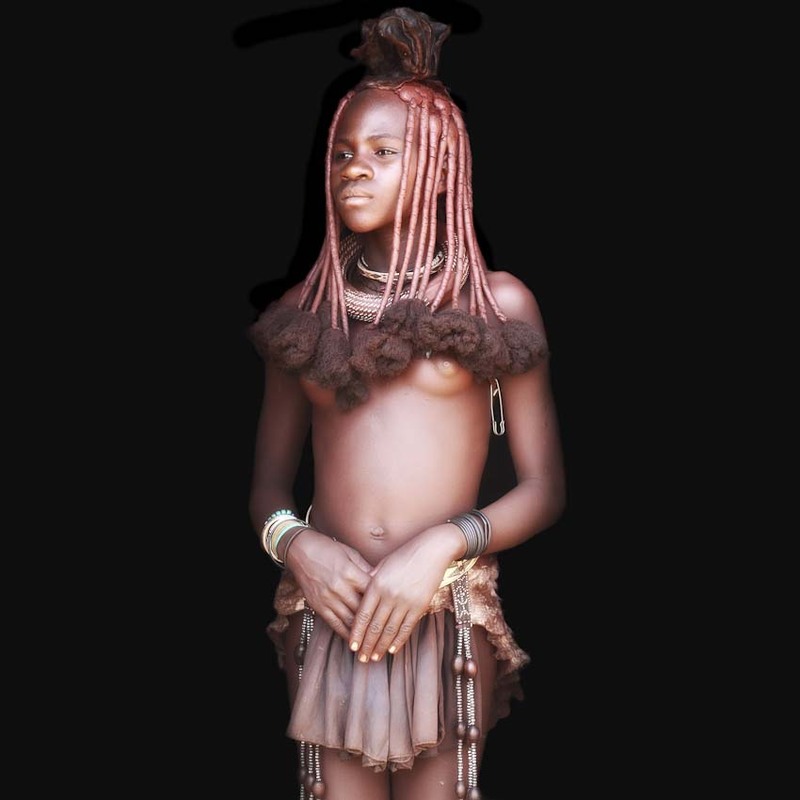 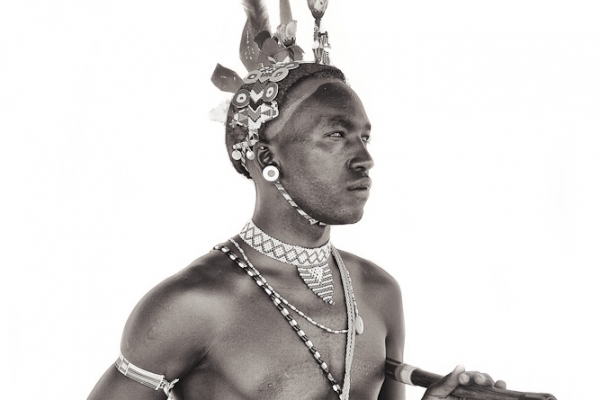 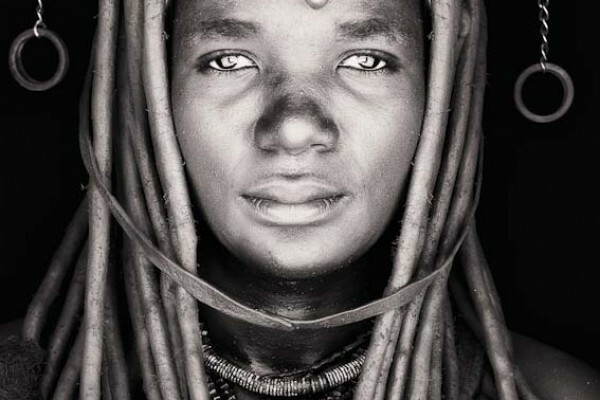 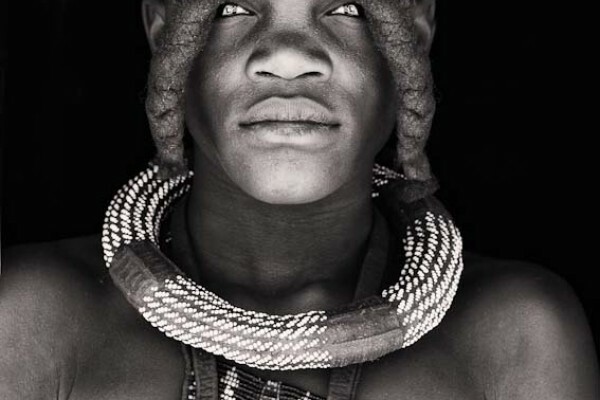 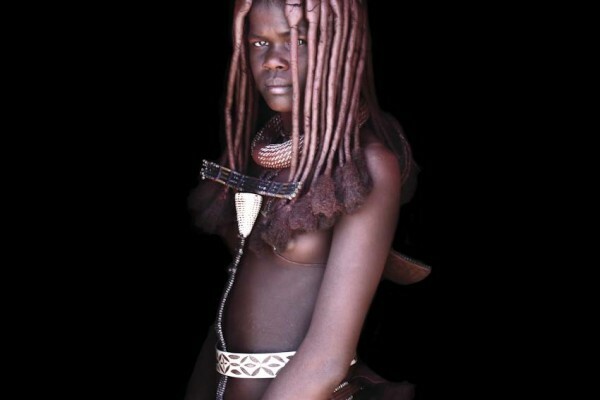 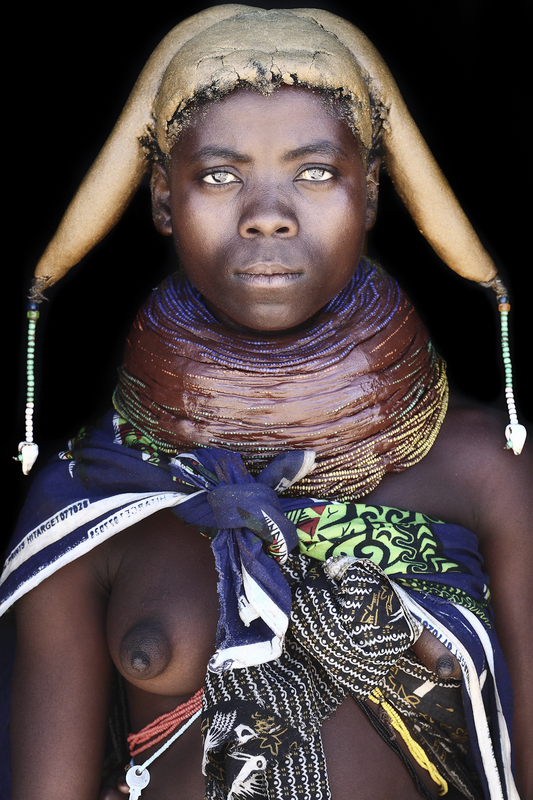 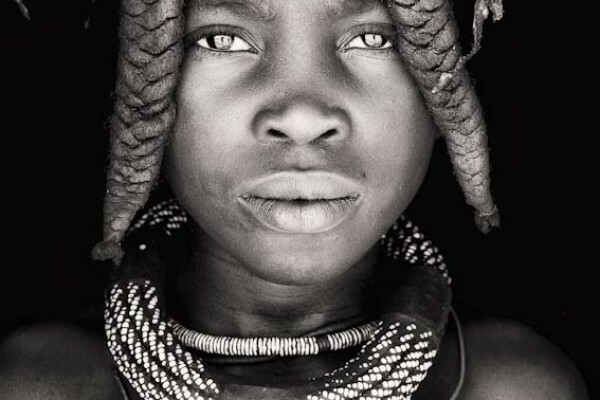 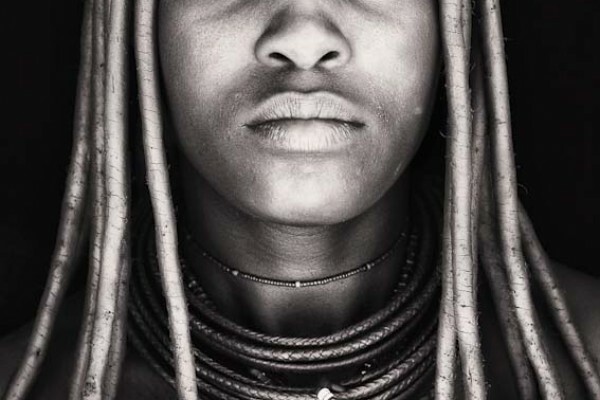 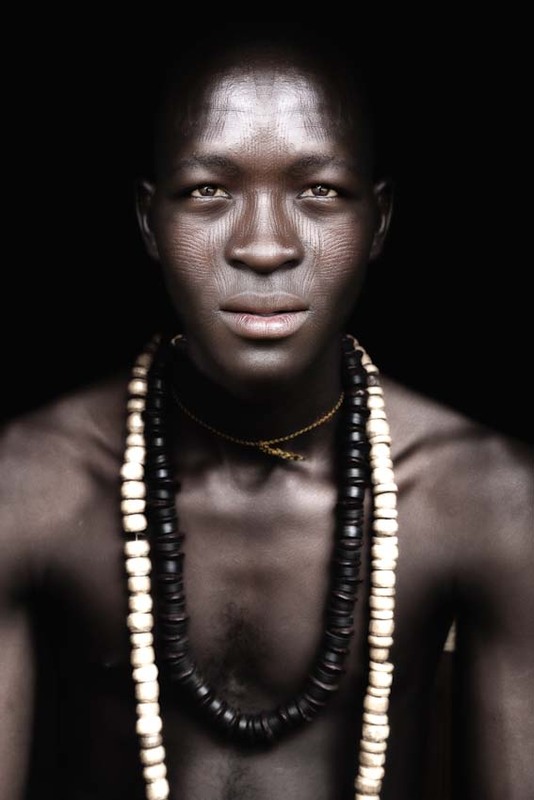 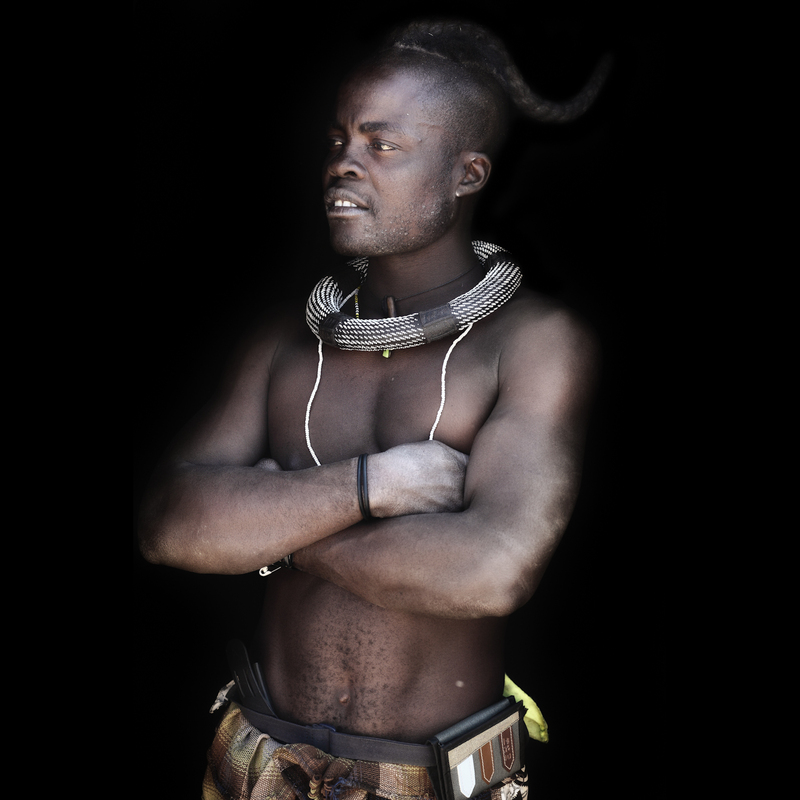 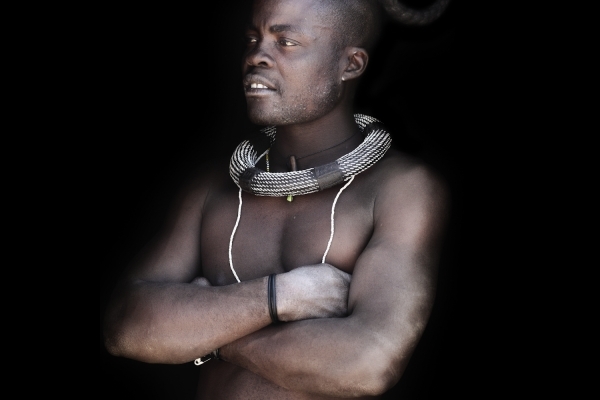 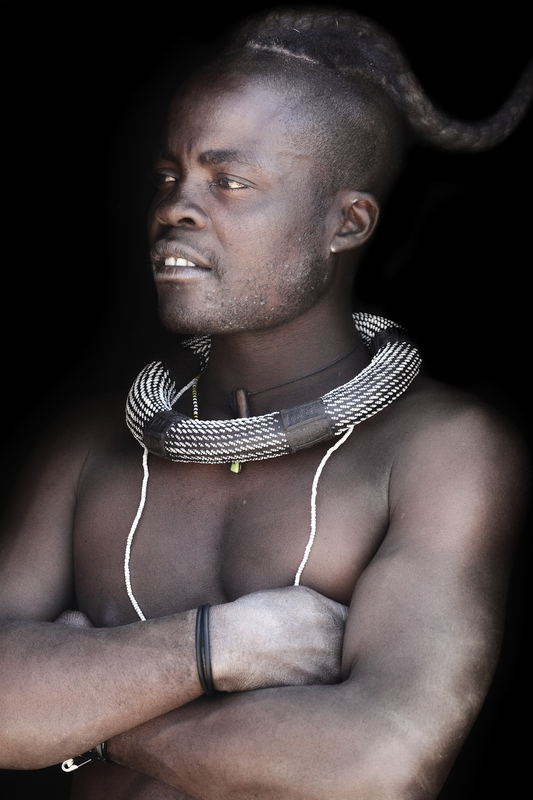 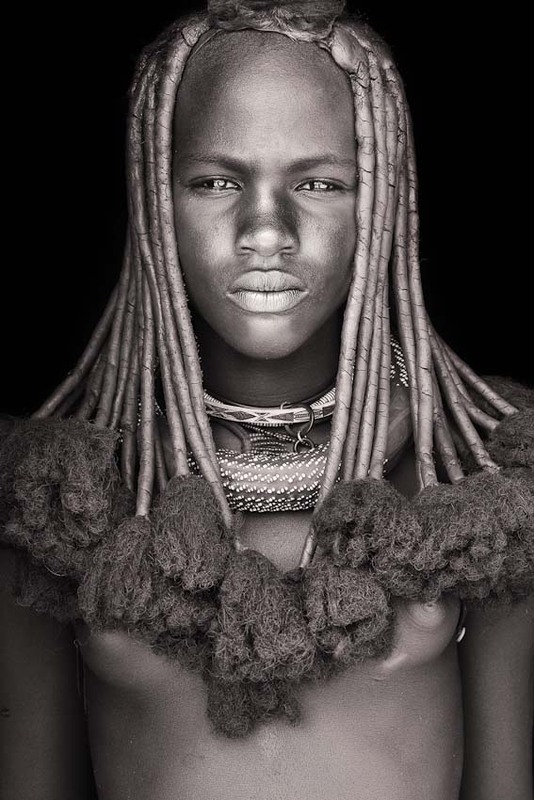 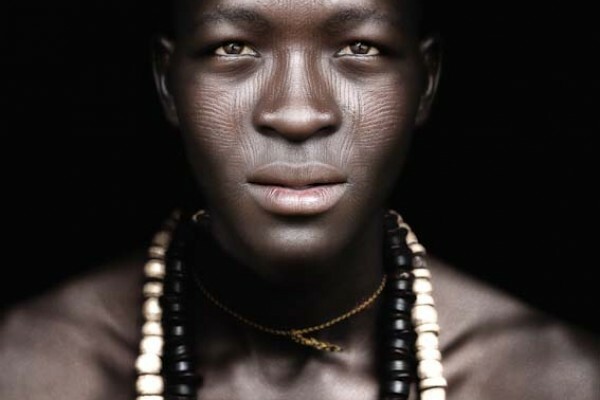 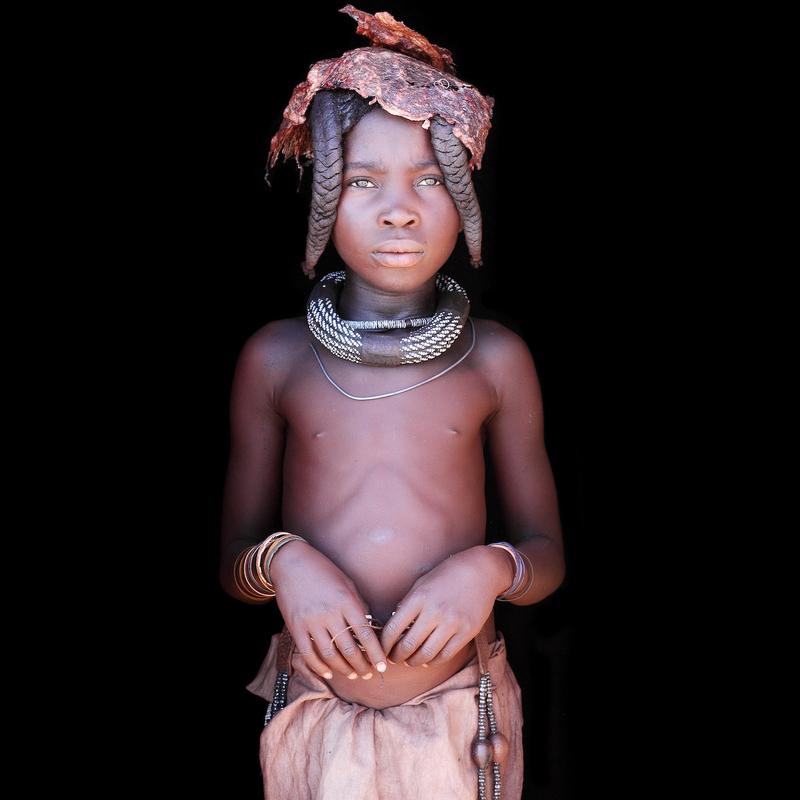 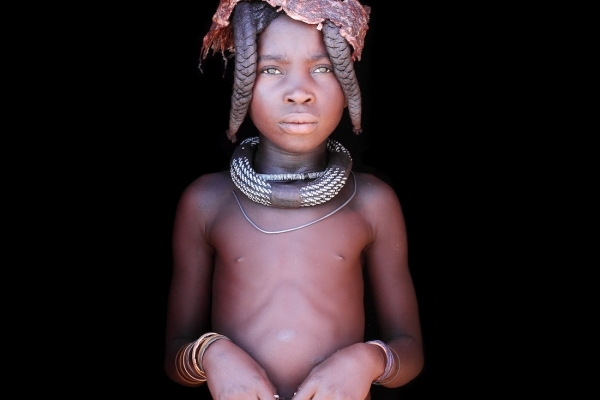 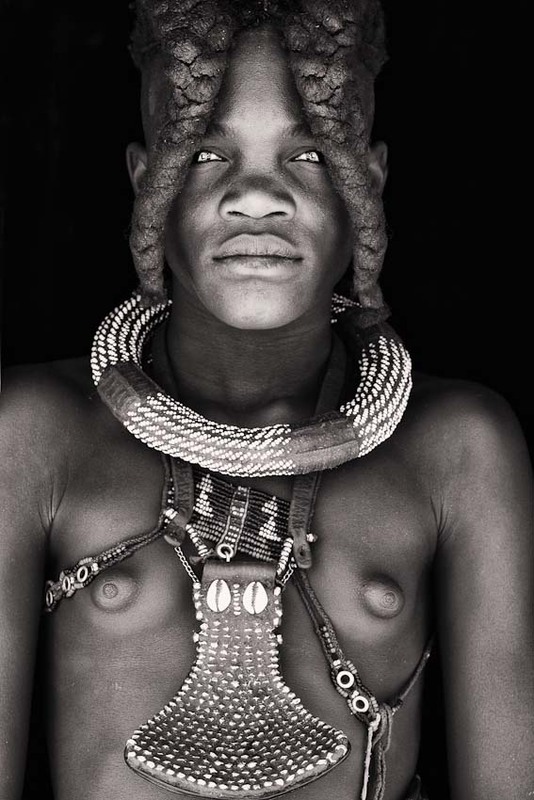 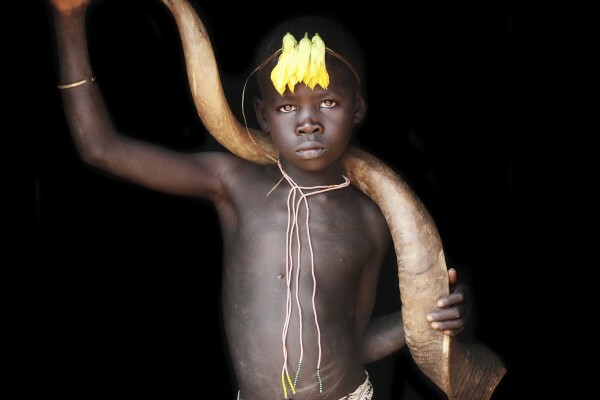 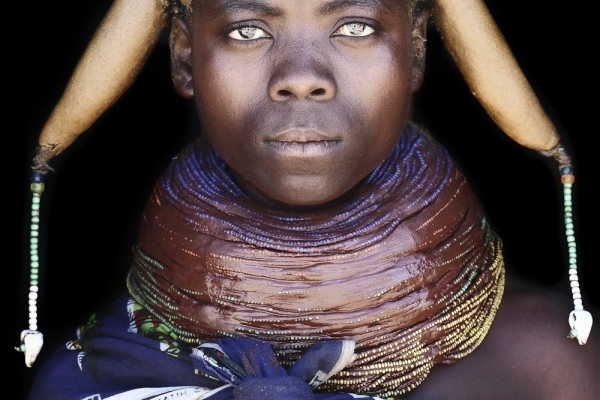 The tribe in northern Namibia is unique in southern Africa. 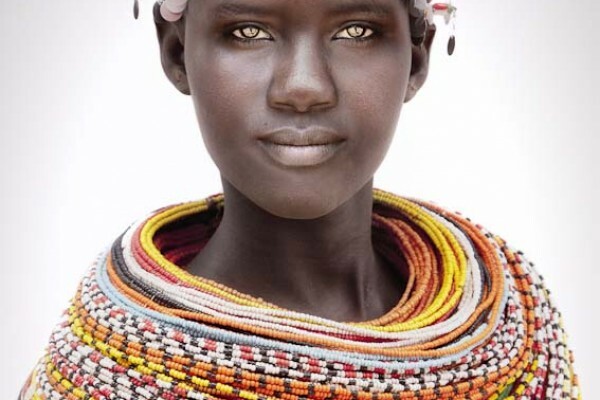 The women wear a dark ochre yellow tone on their skin that gives them elegance and grace. 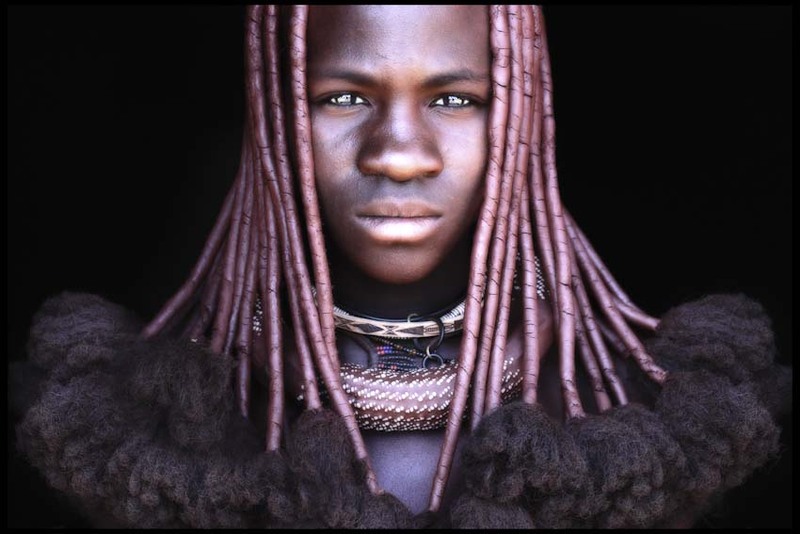 My first journey in December 2008 is the start of the "Sons of the Wind" collection. 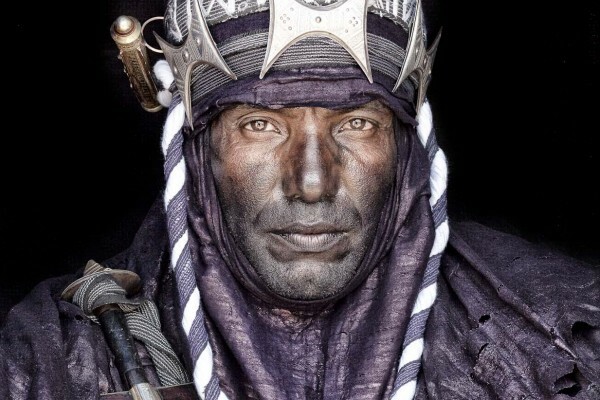 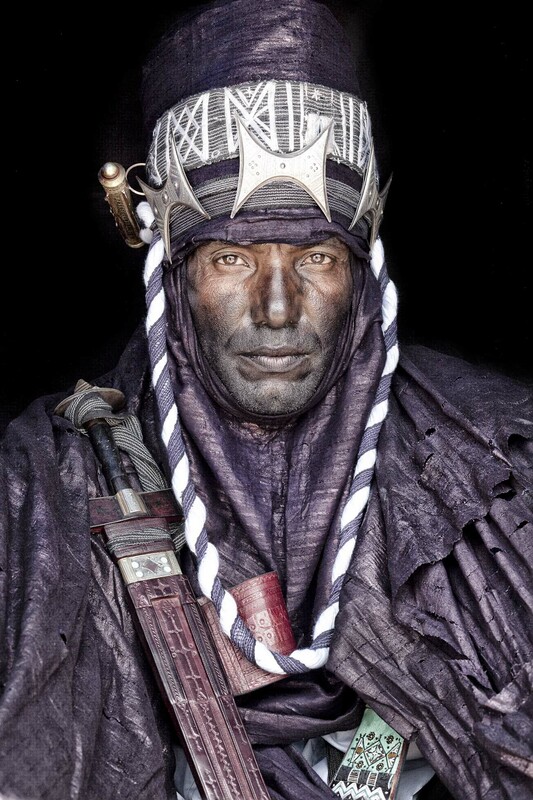 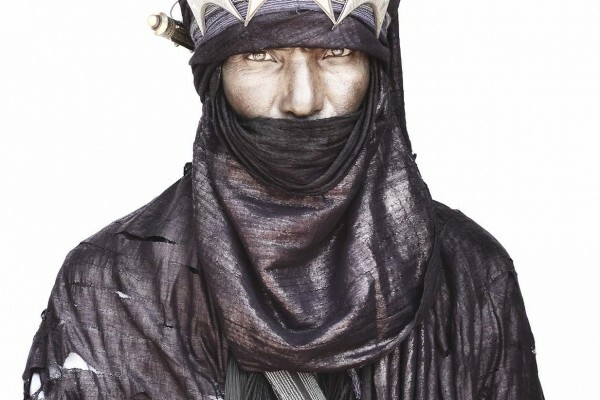 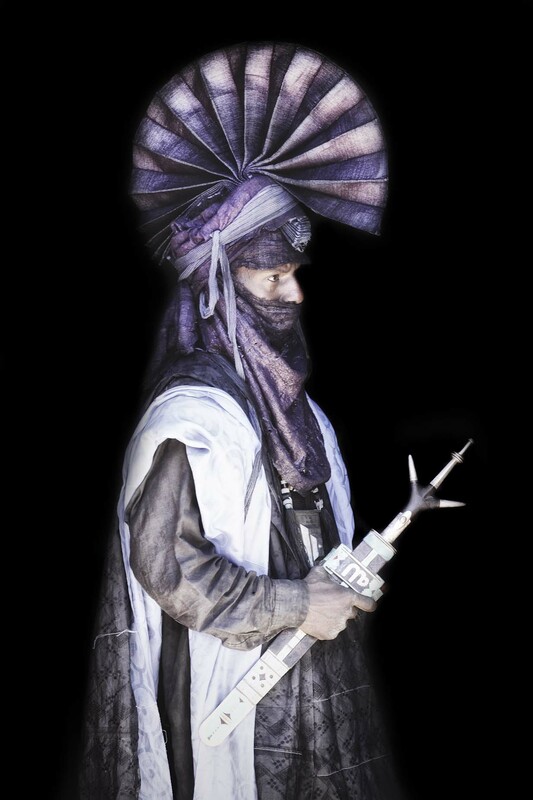 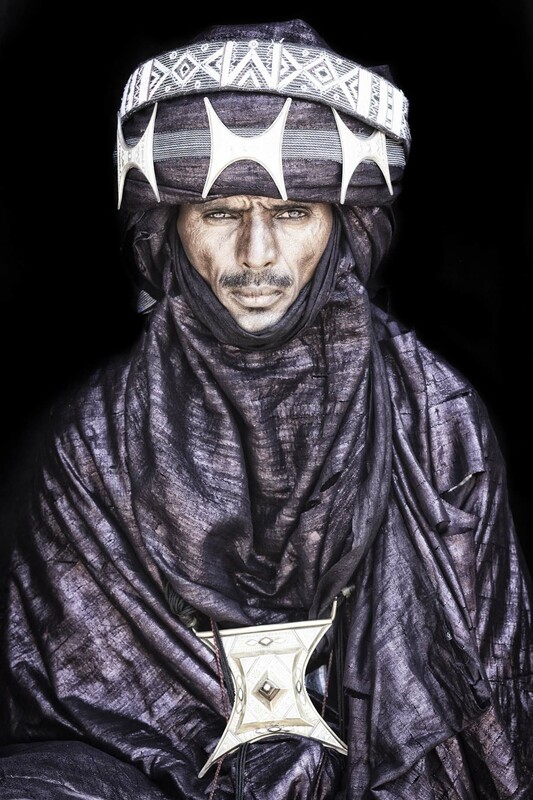 It leads me to Mali and Burkina Faso to the Wotan and the Tuareg. 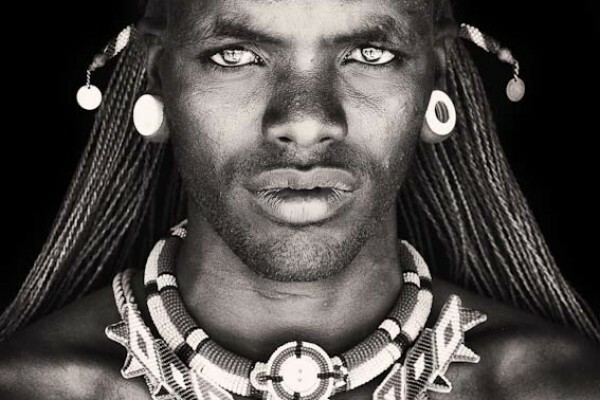 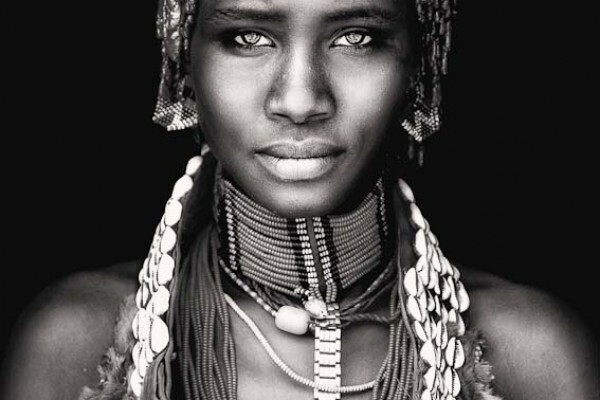 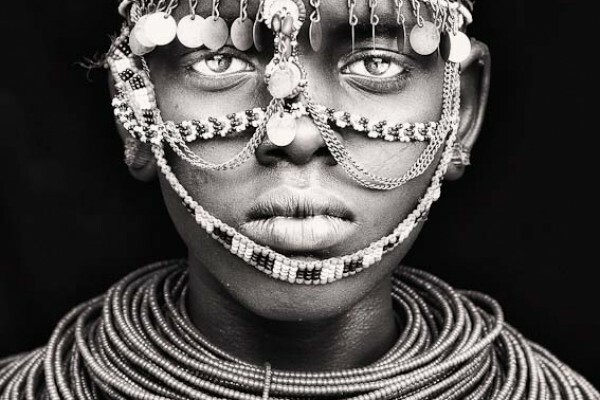 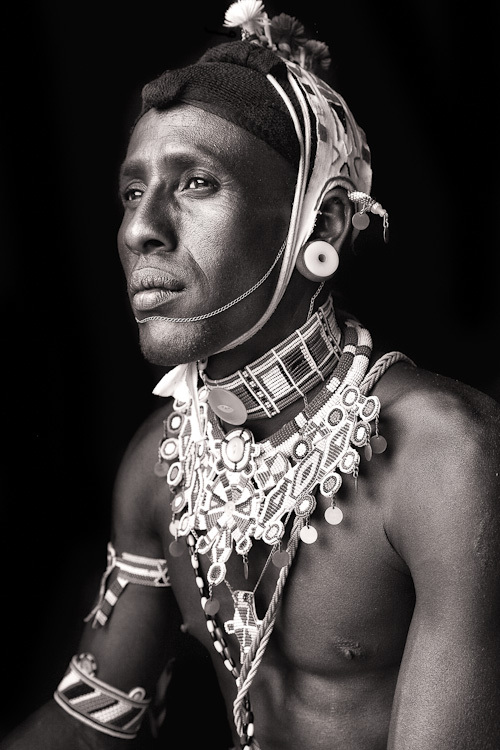 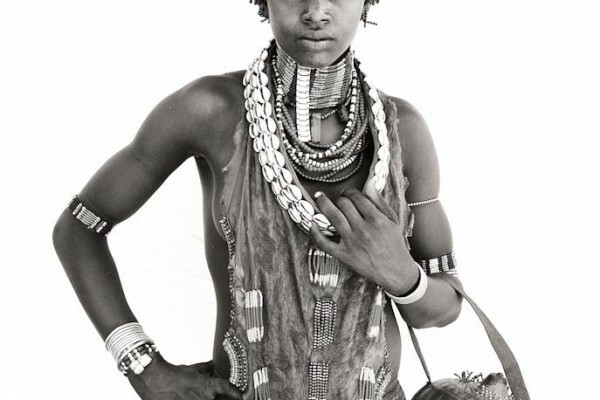 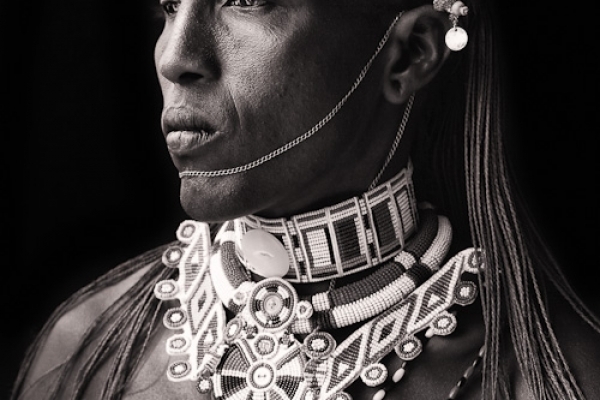 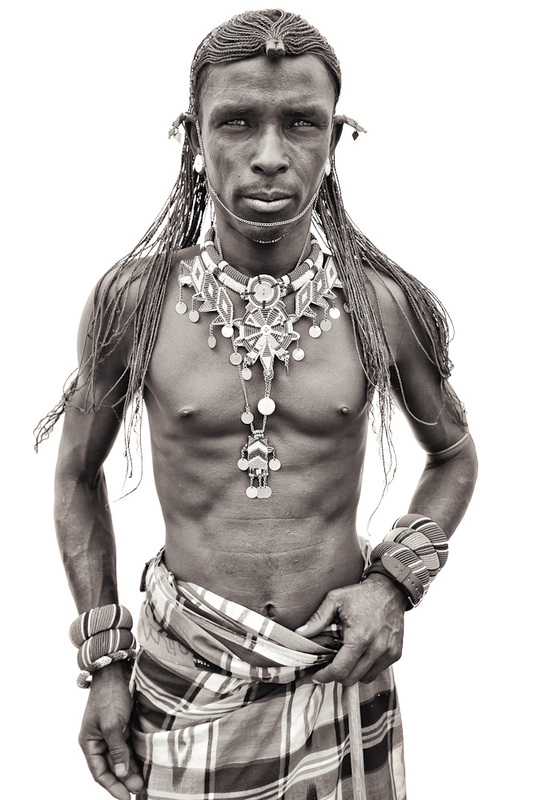 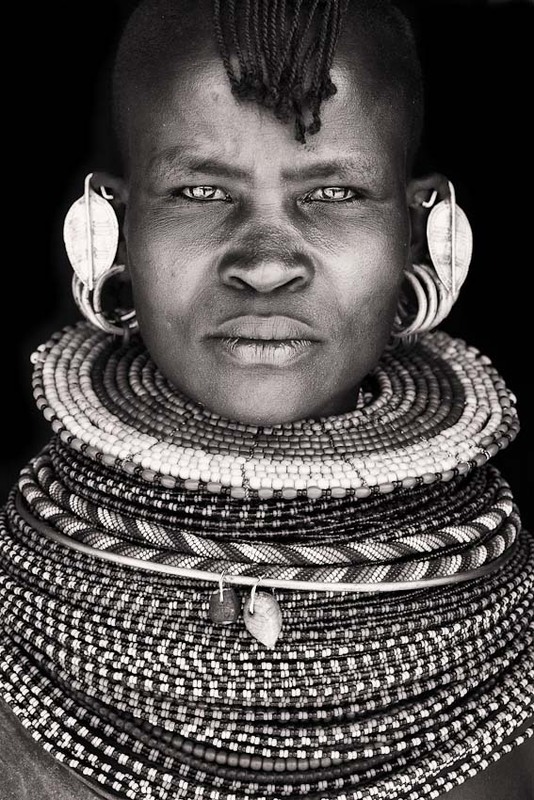 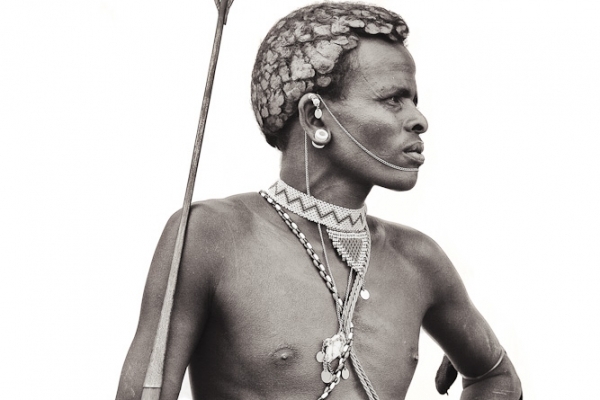 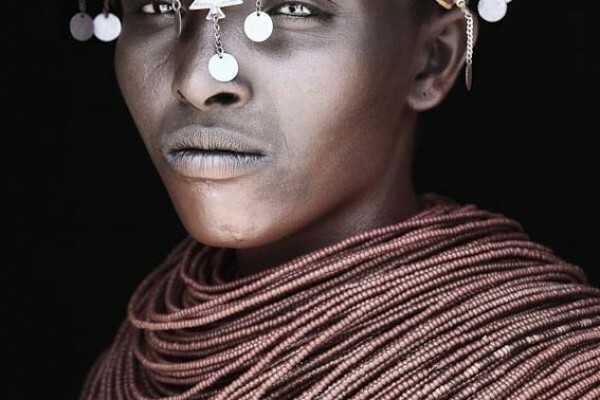 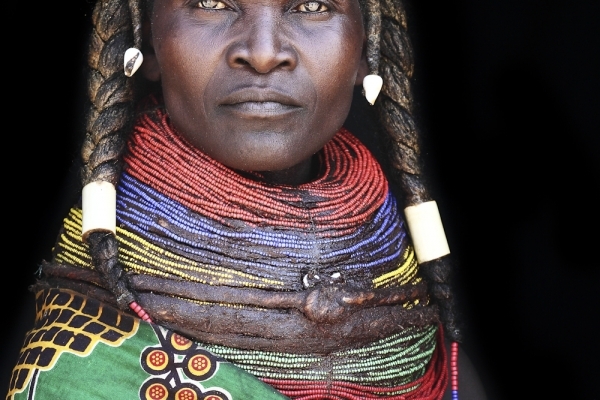 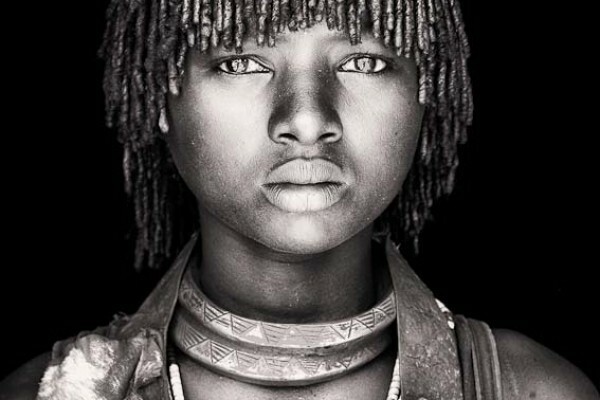 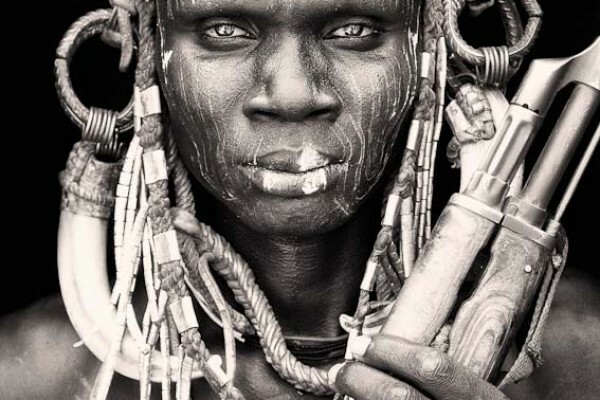 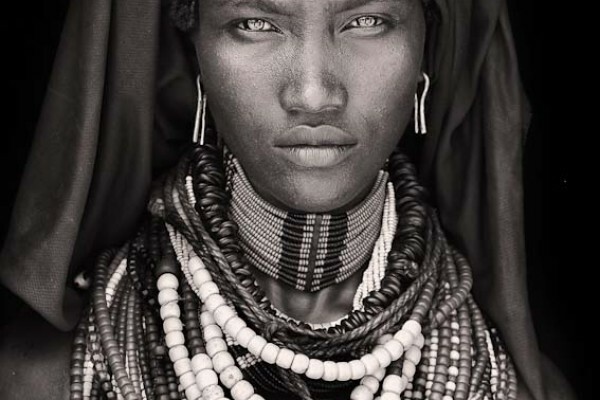 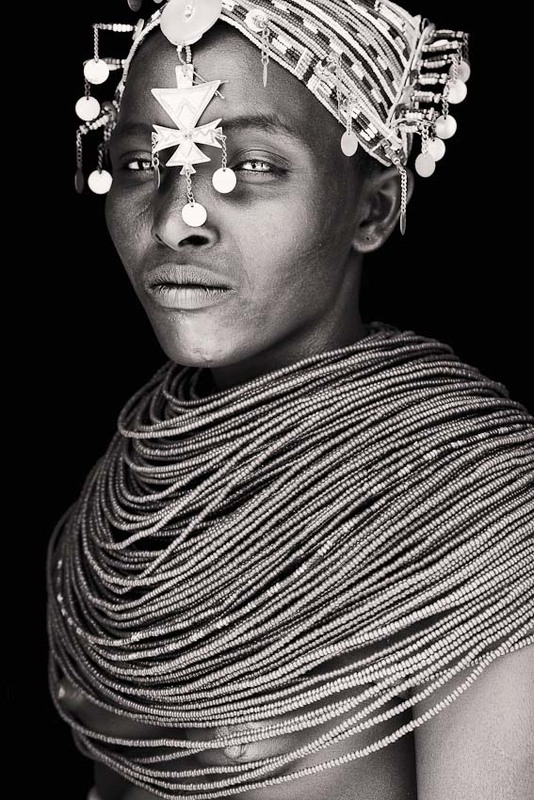 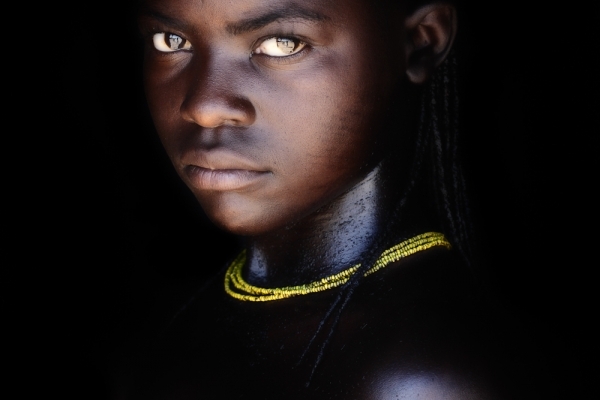 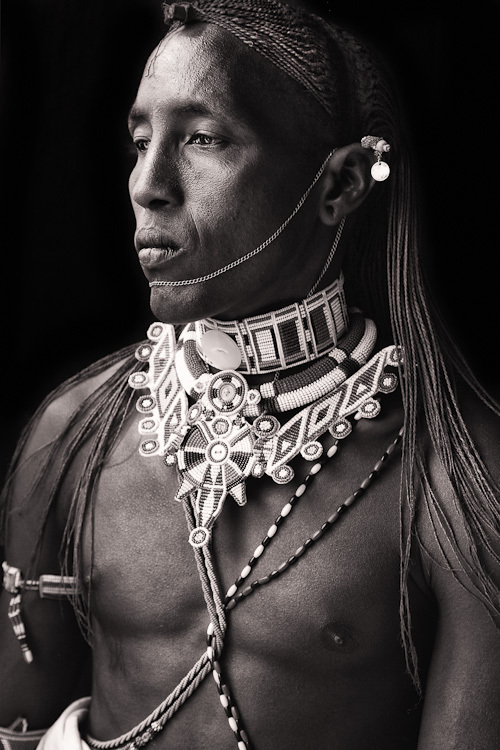 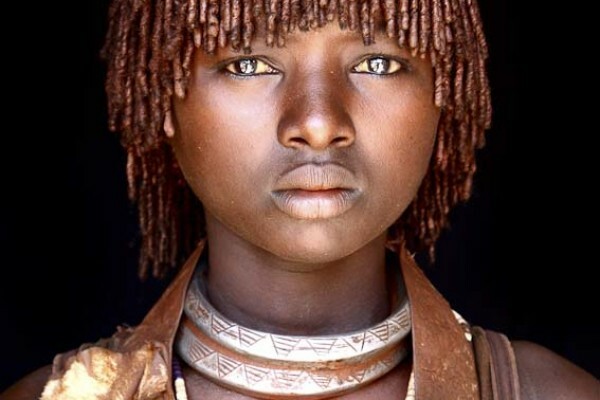 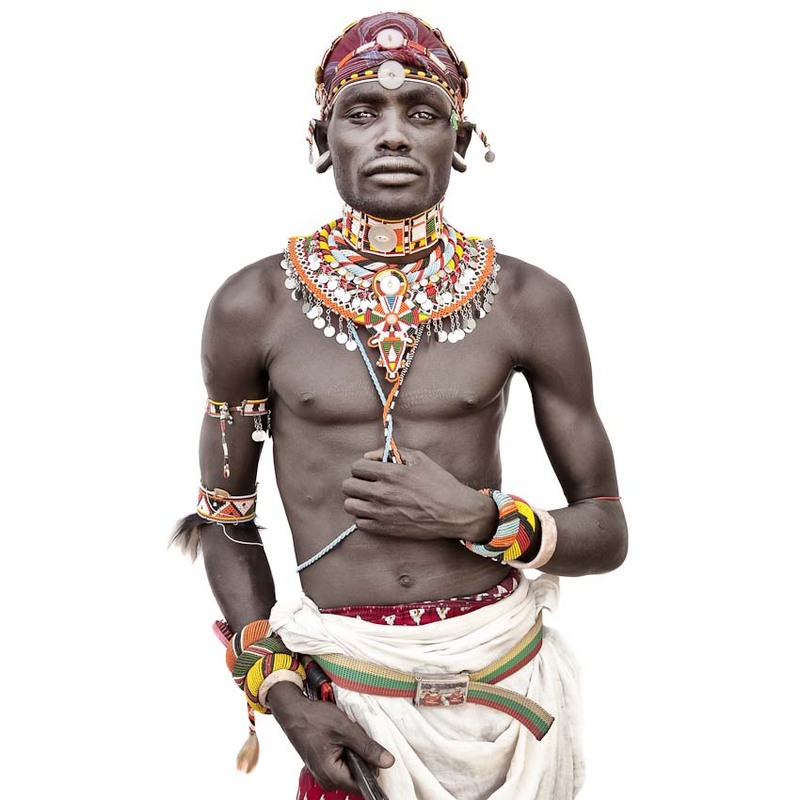 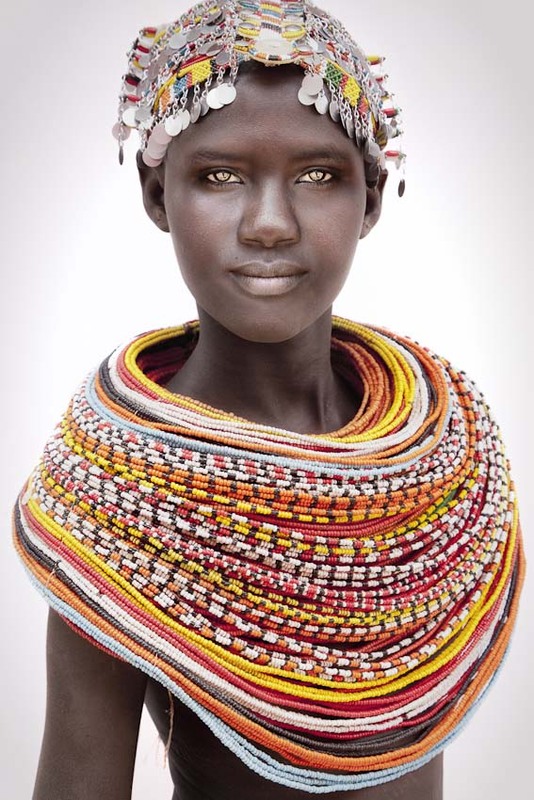 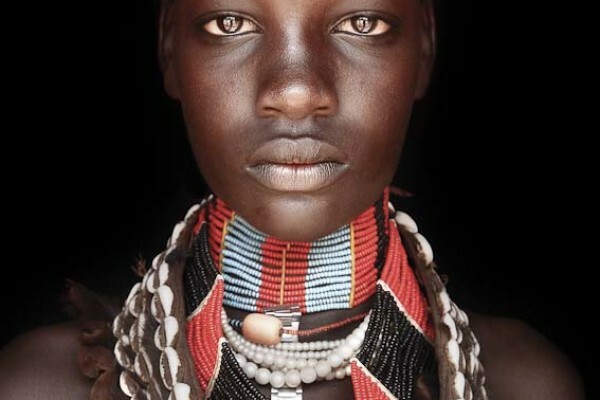 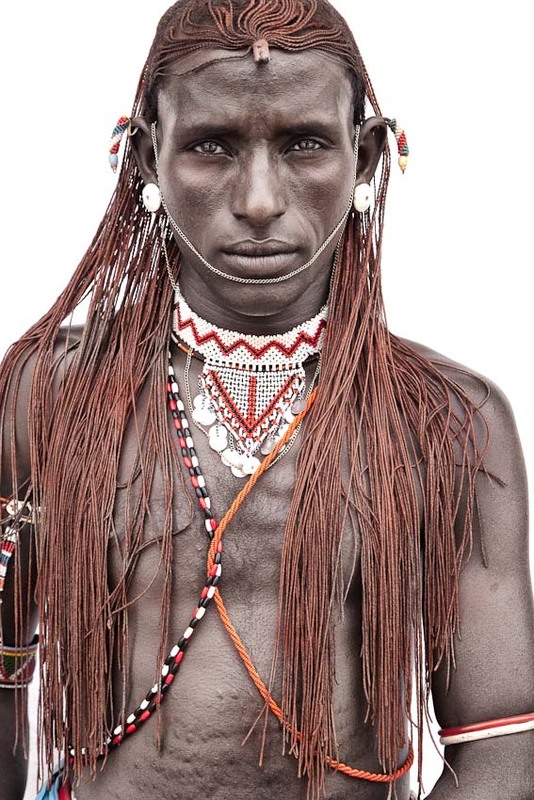 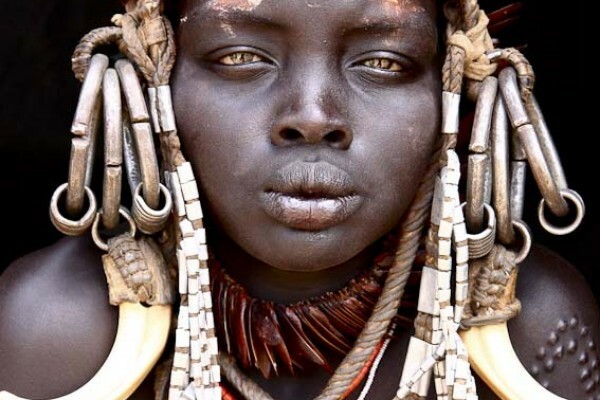 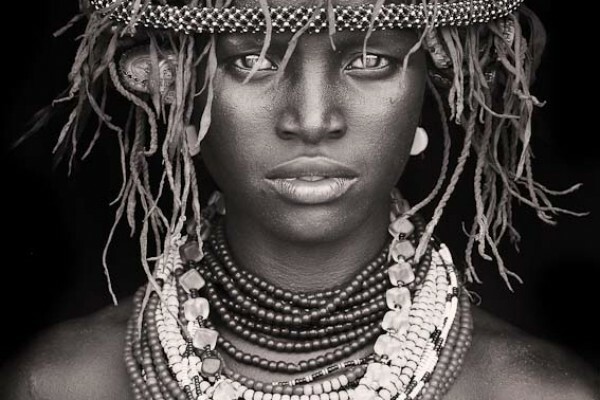 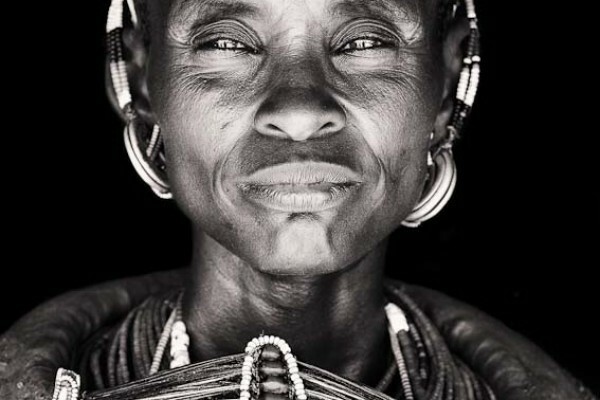 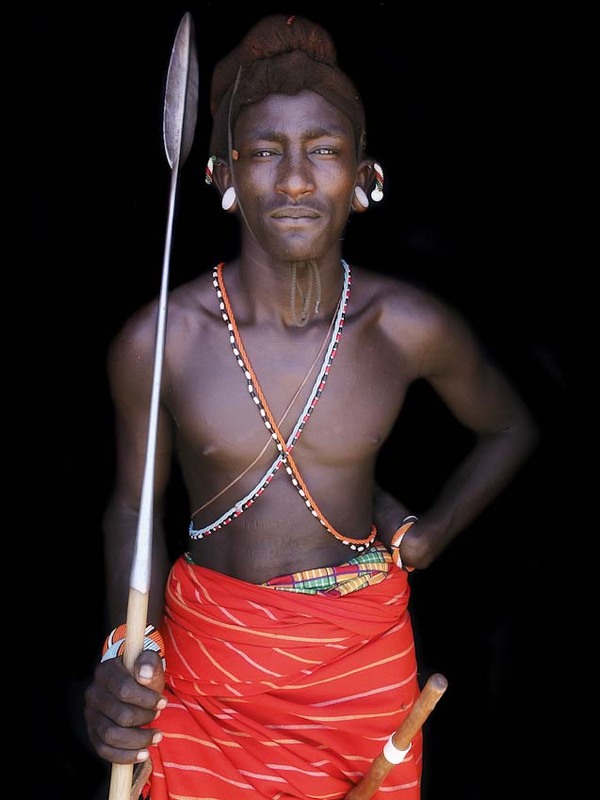 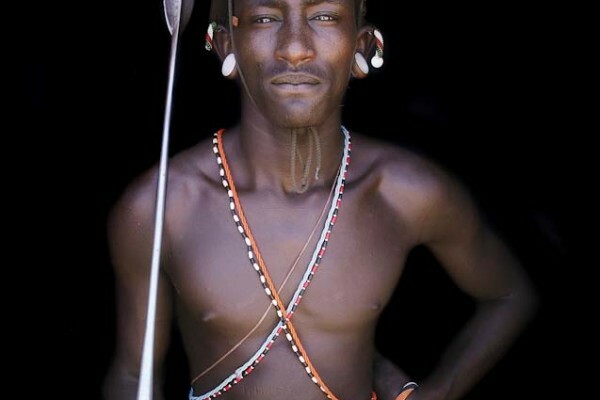 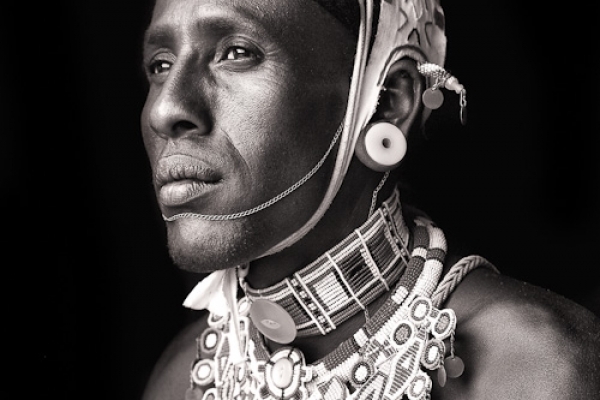 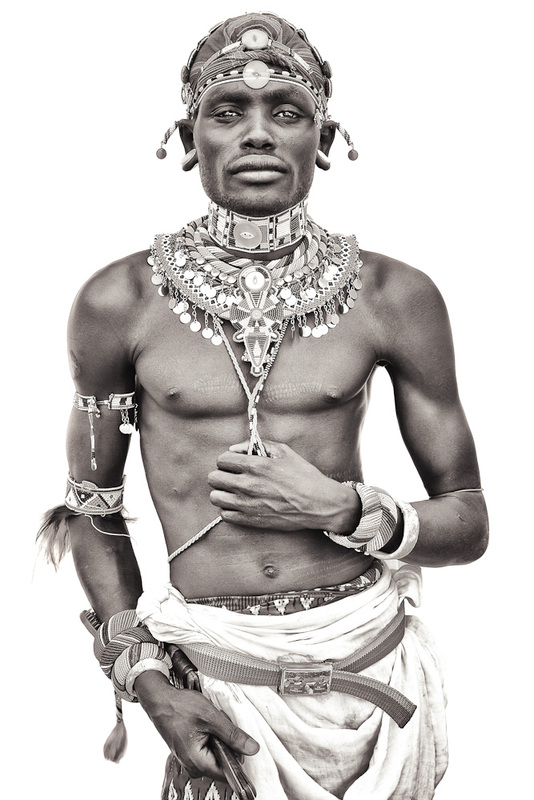 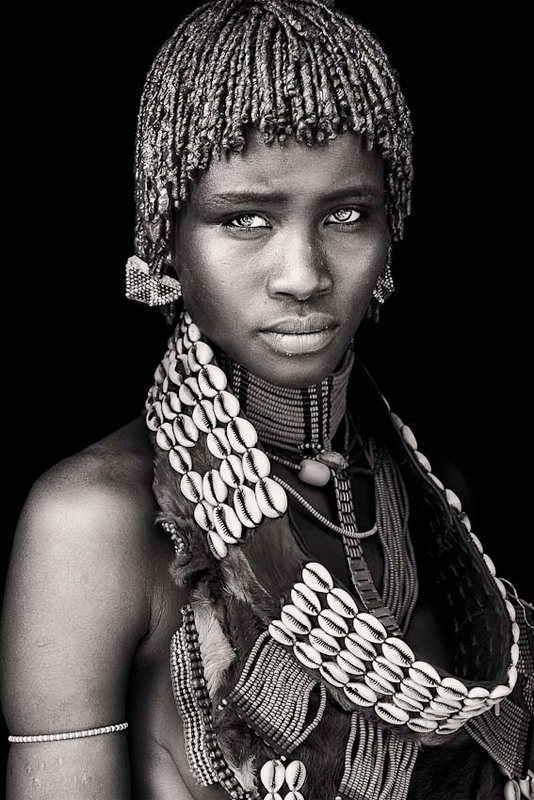 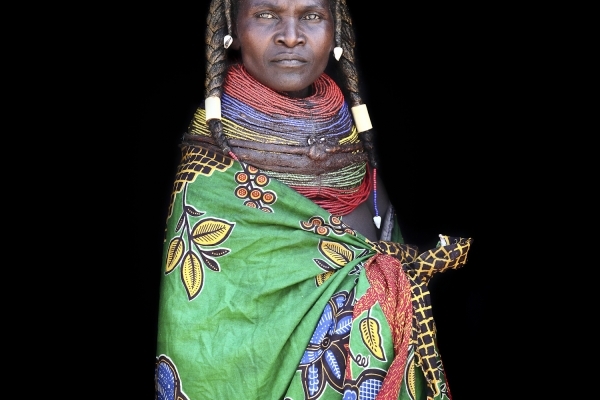 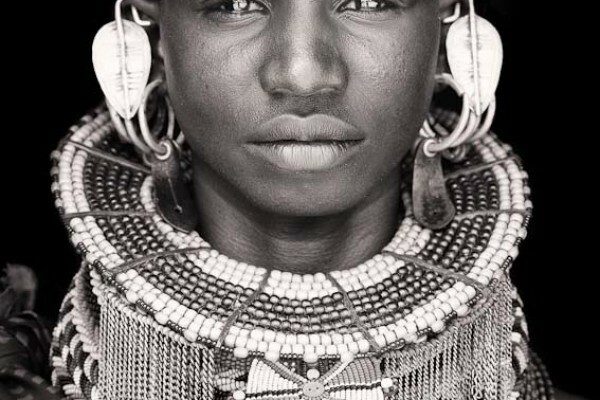 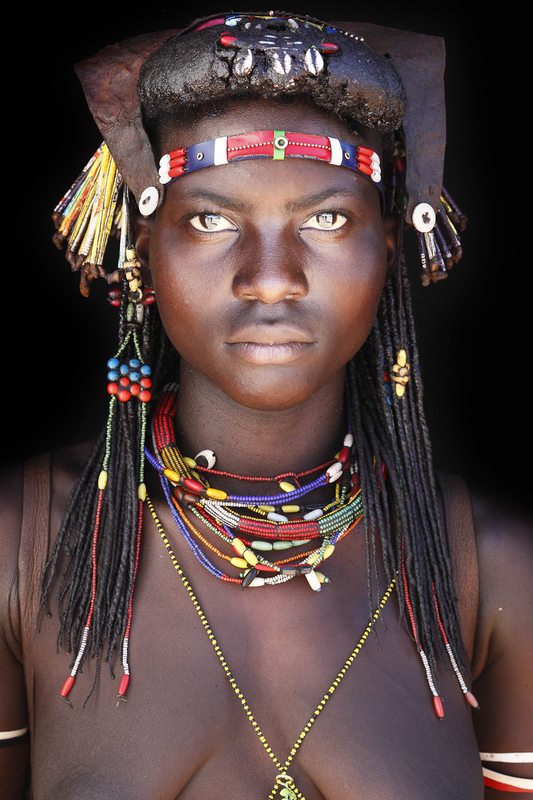 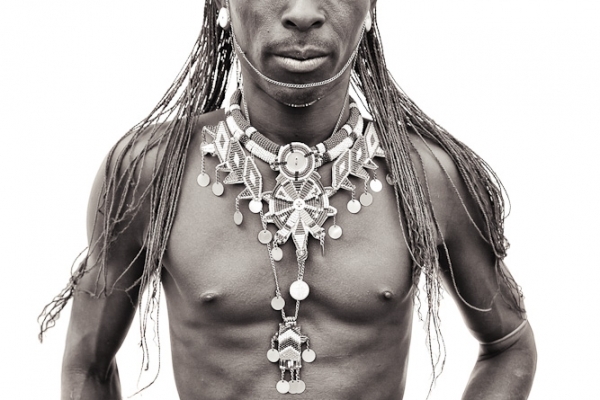 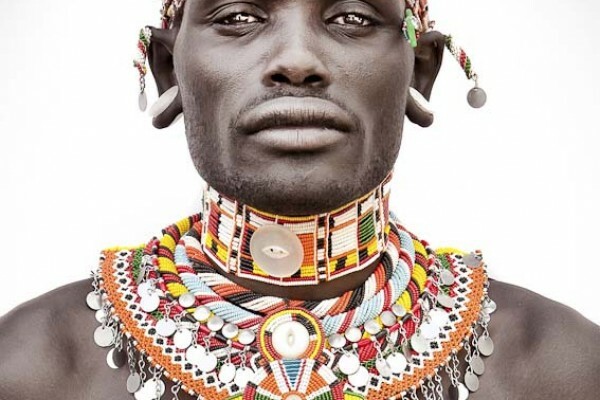 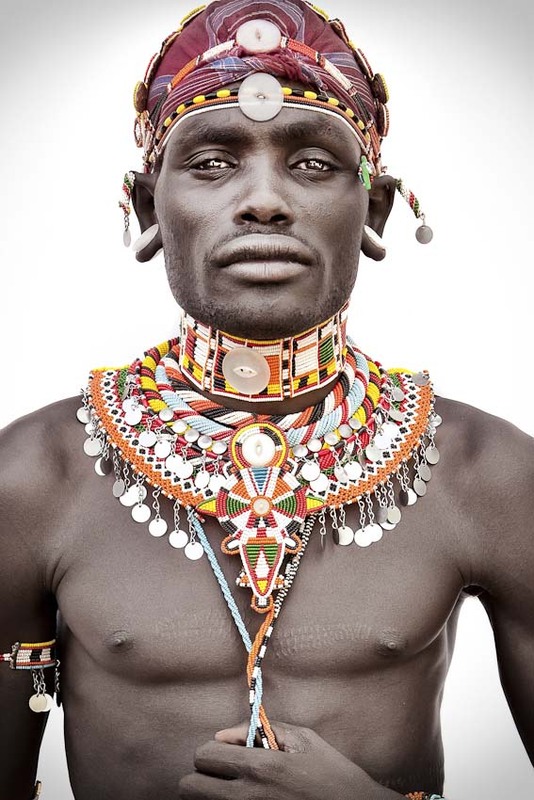 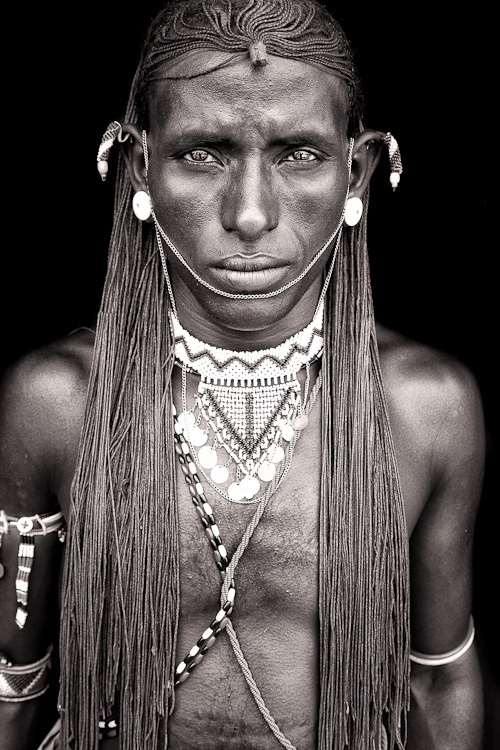 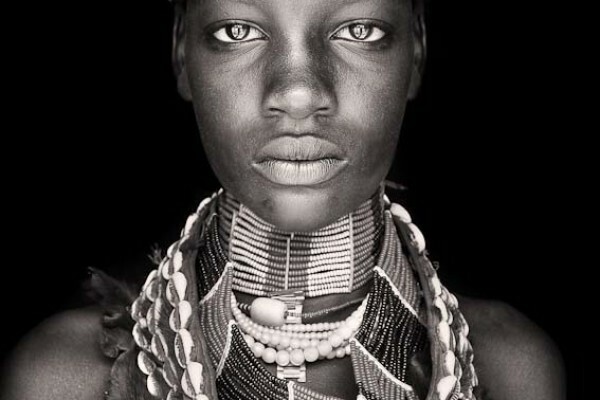 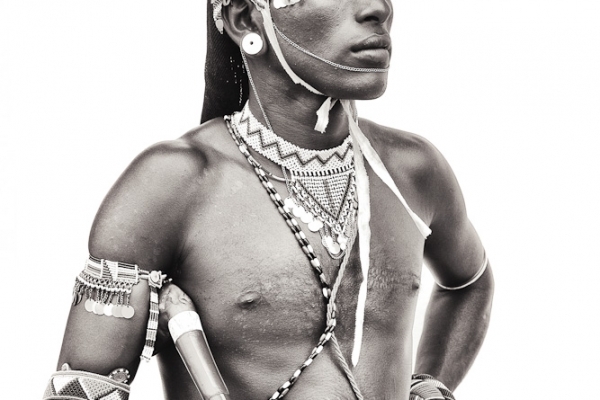 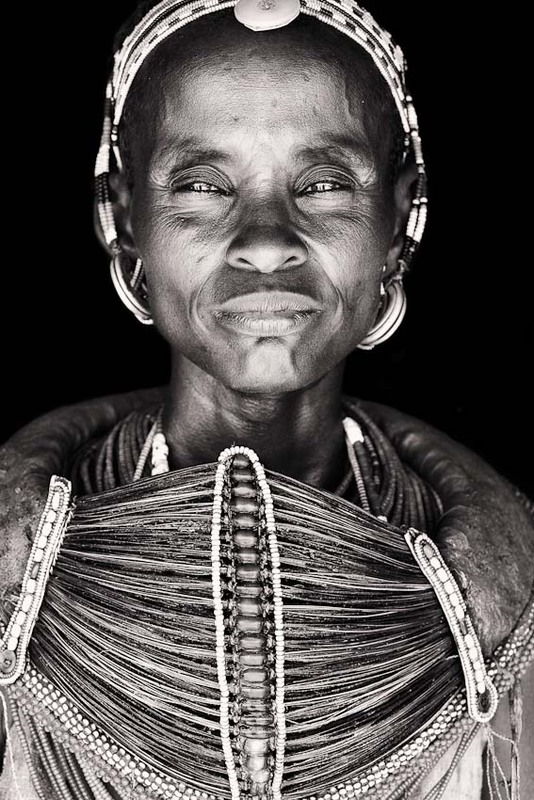 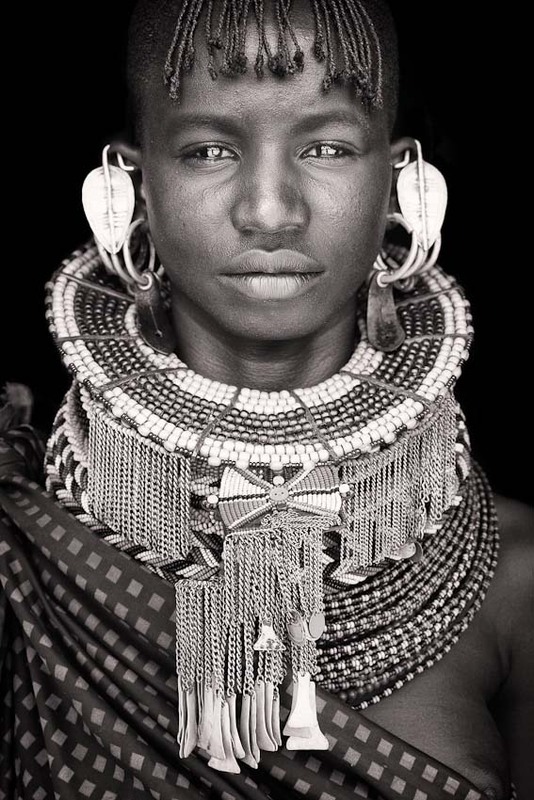 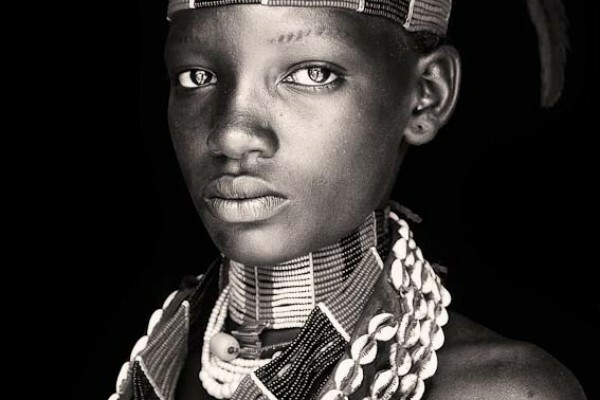 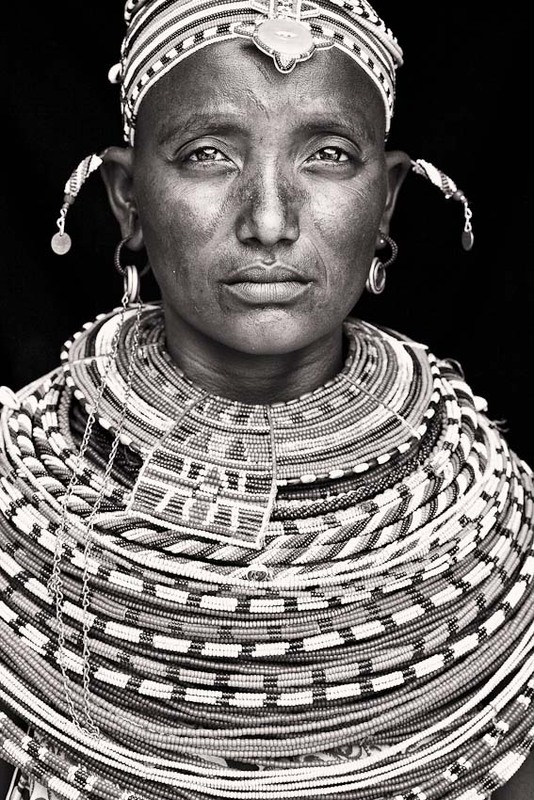 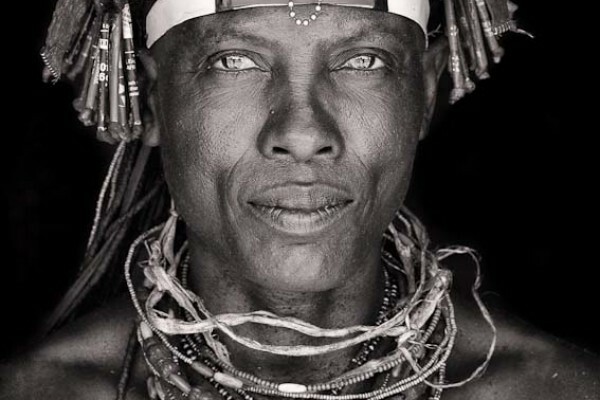 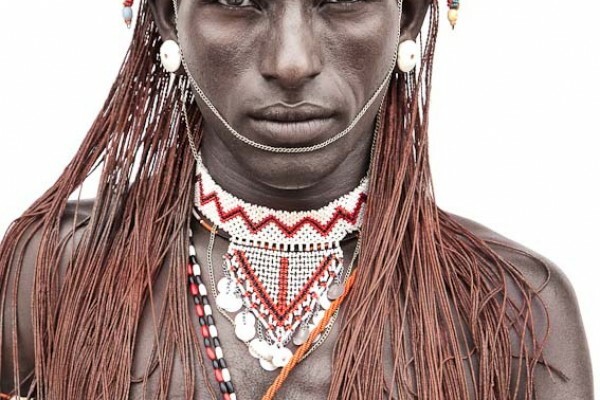 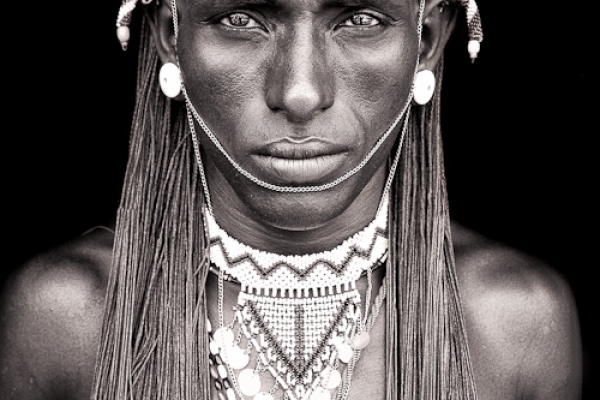 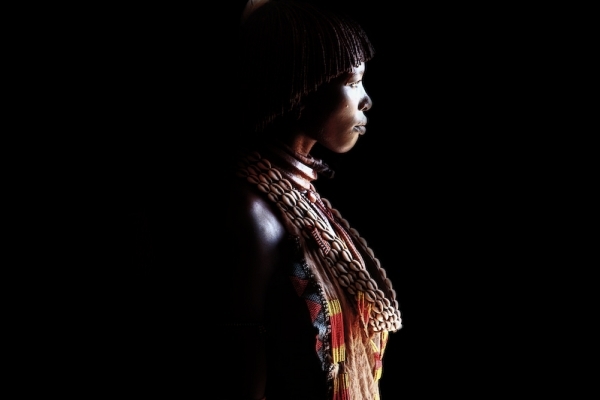 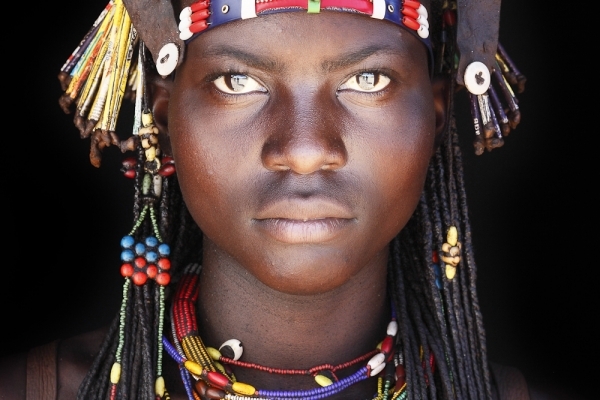 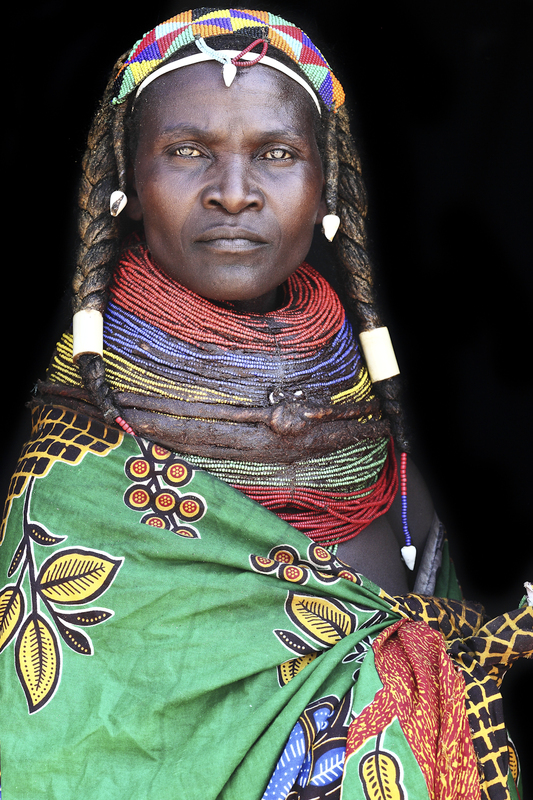 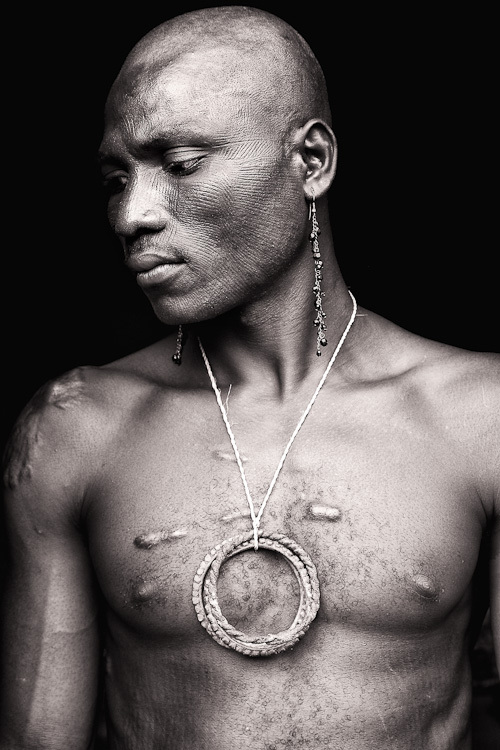 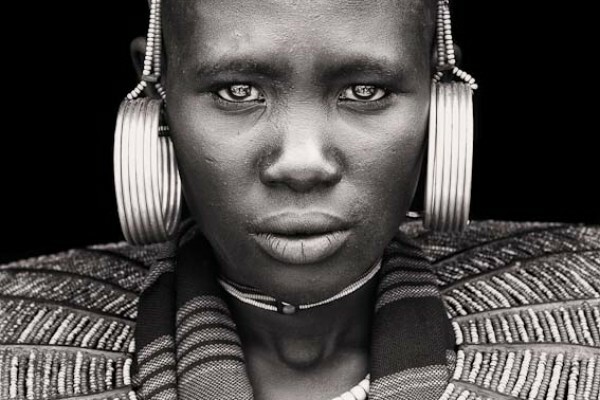 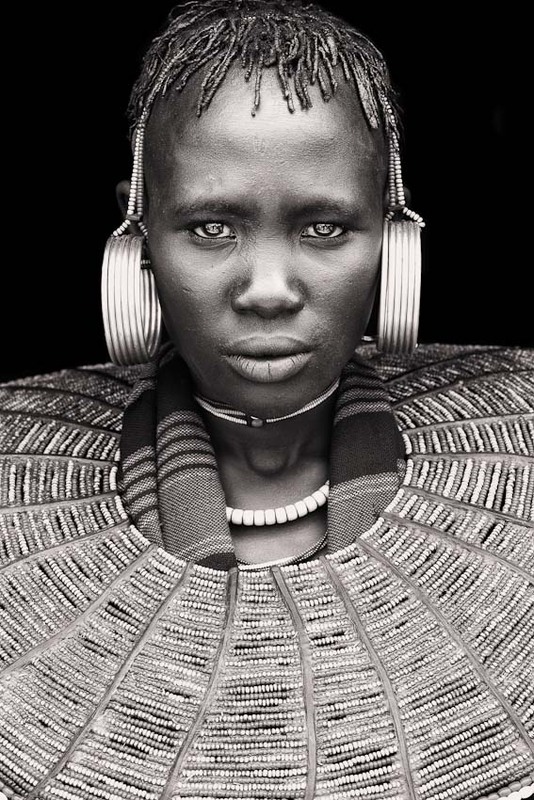 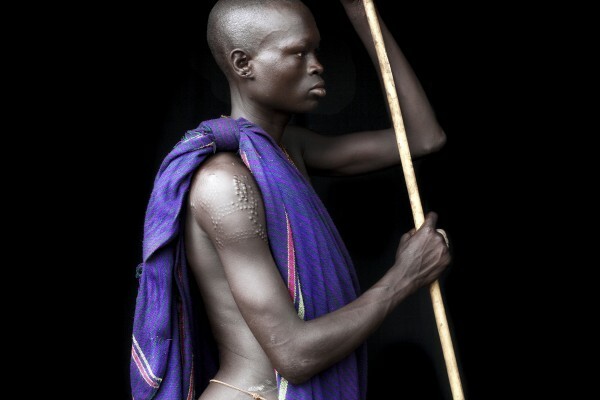 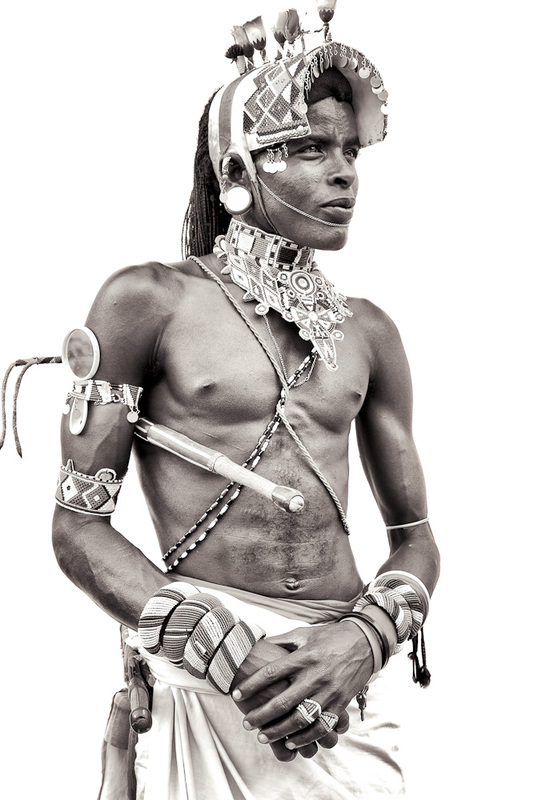 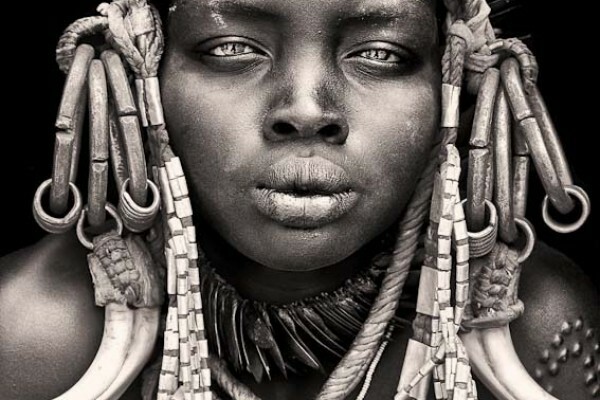 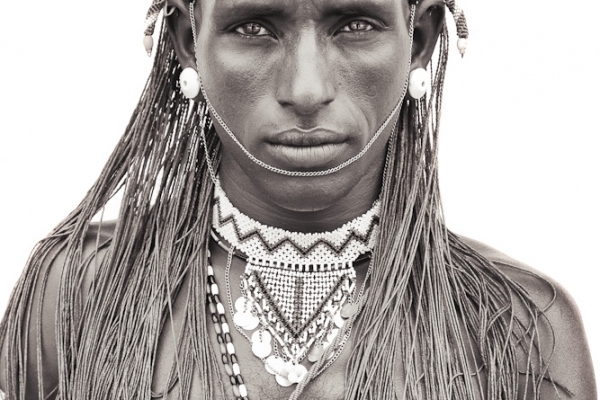 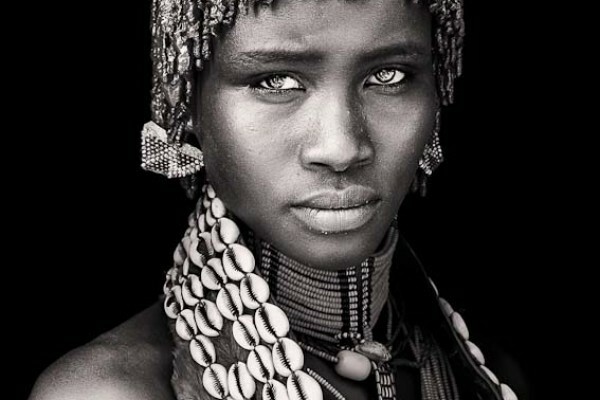 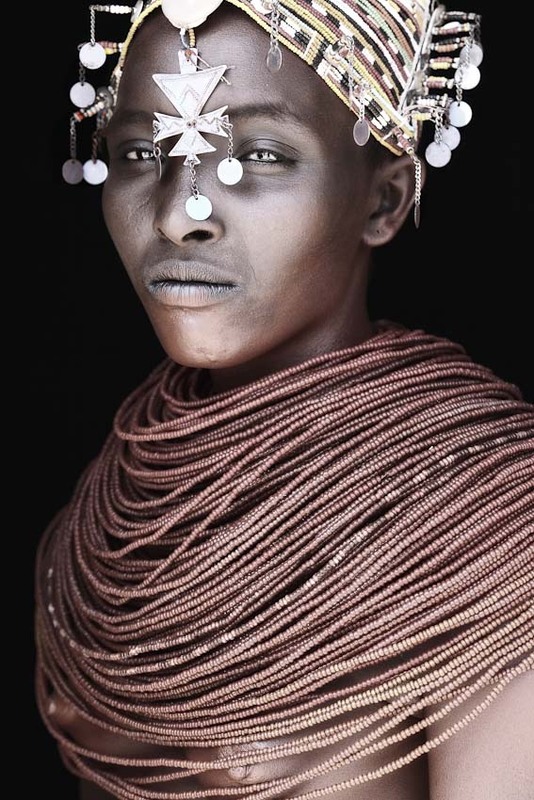 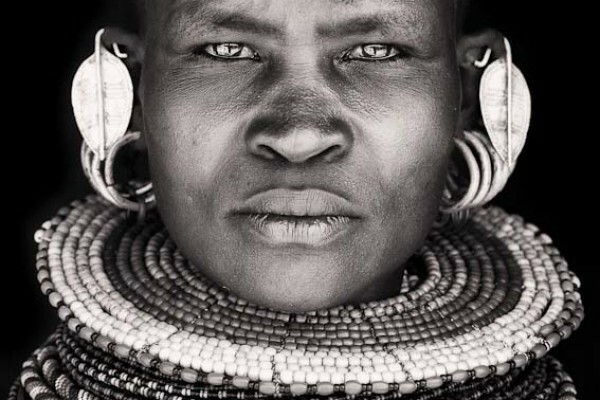 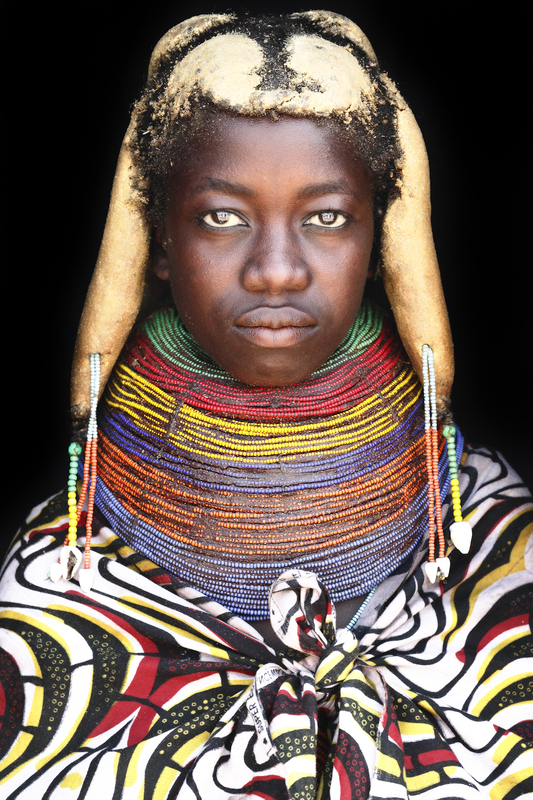 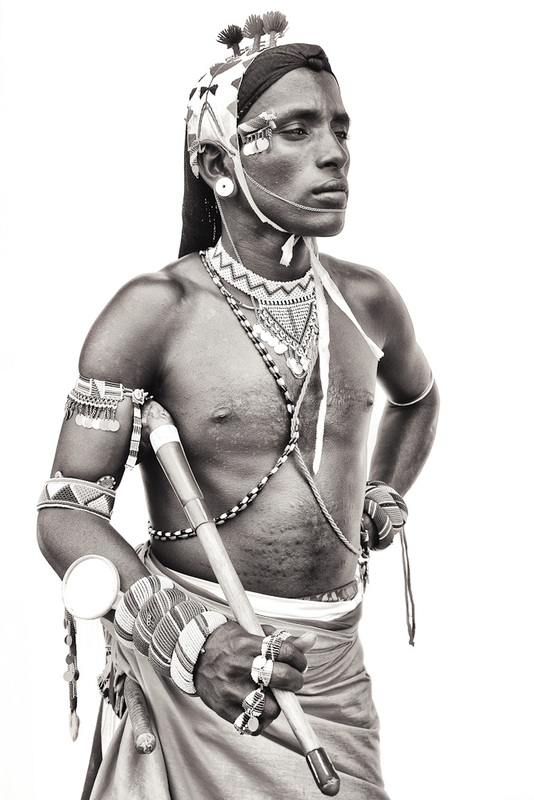 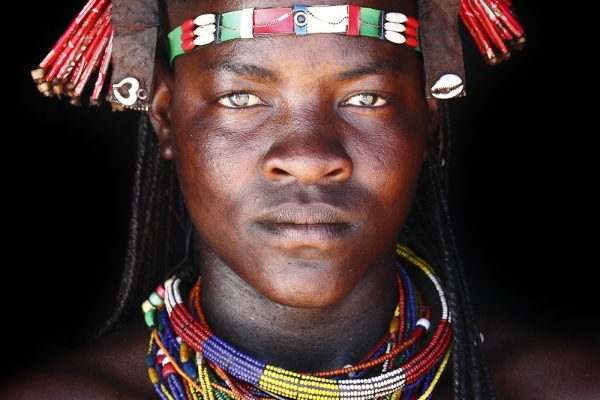 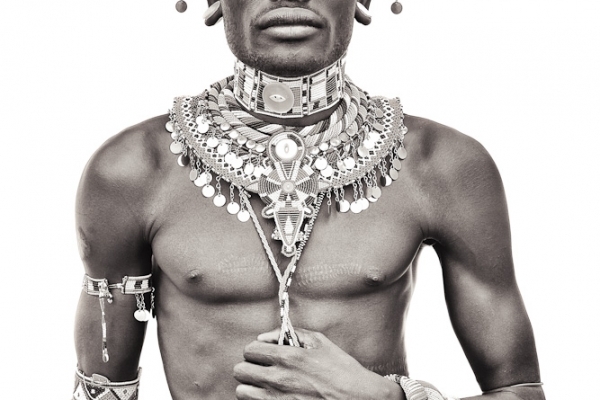 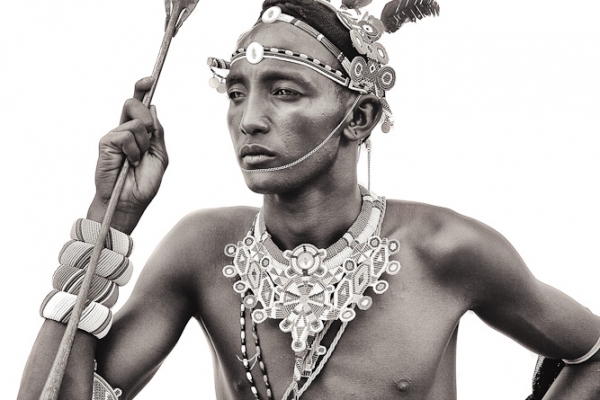 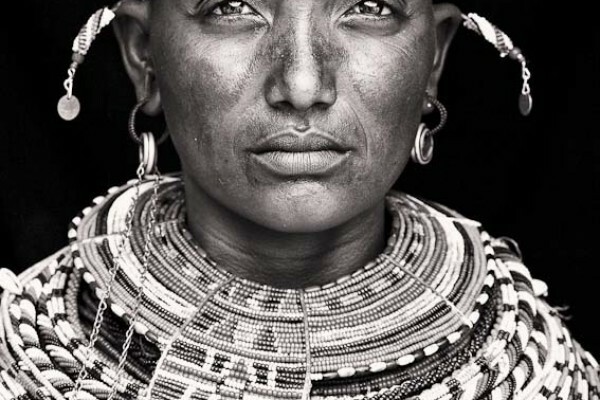 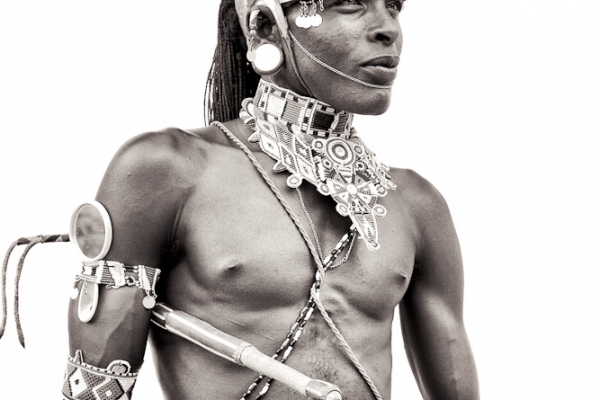 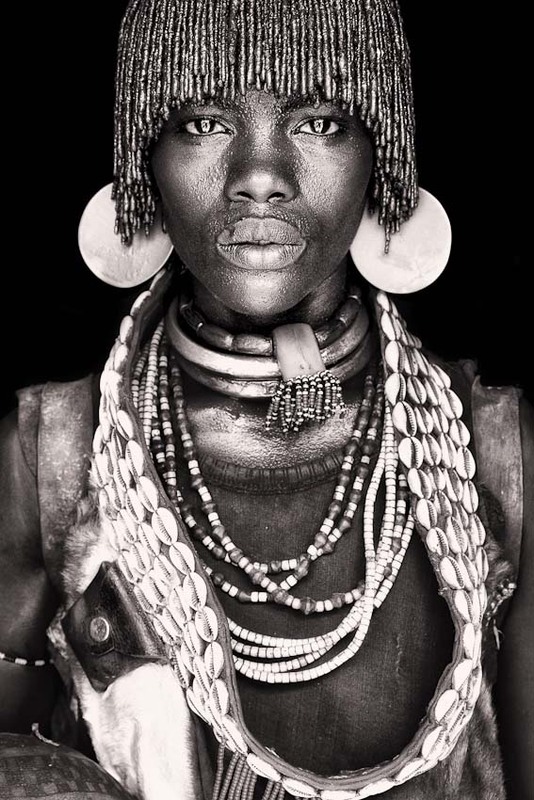 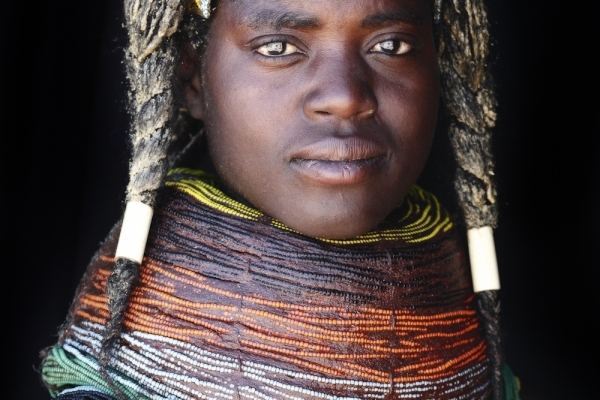 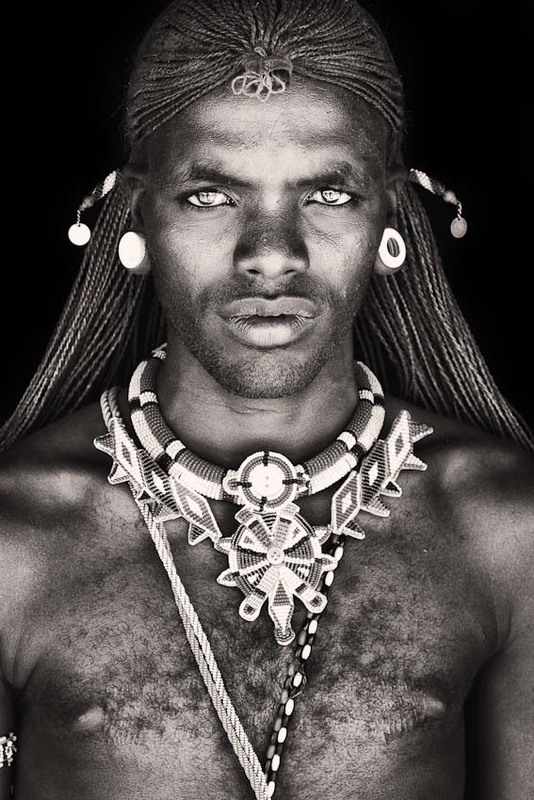 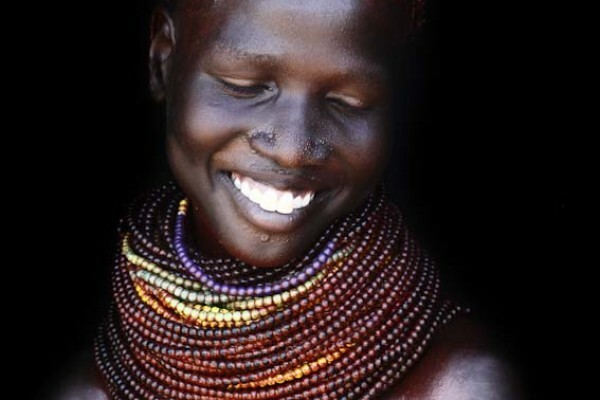 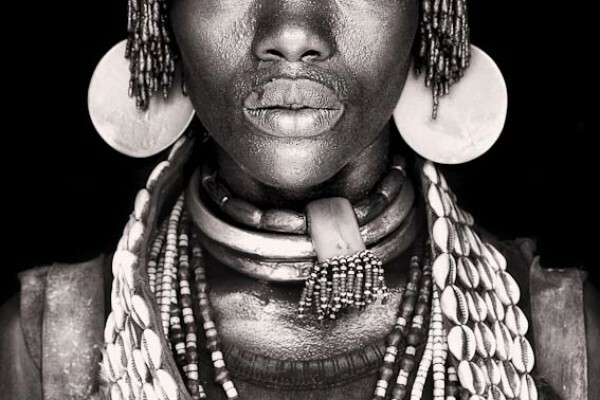 The beauty of Samburu warriors is without exception. 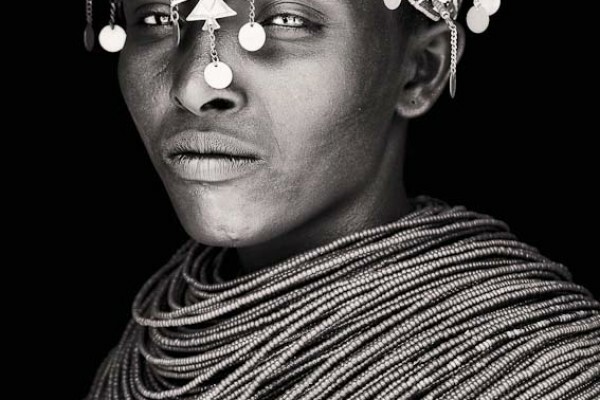 They are at home in the dreary Norton Kenya and, with their elegance, surpass the arid deserts of northern Kenya. 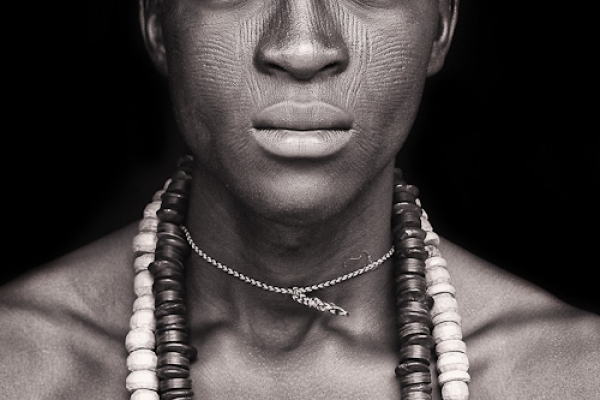 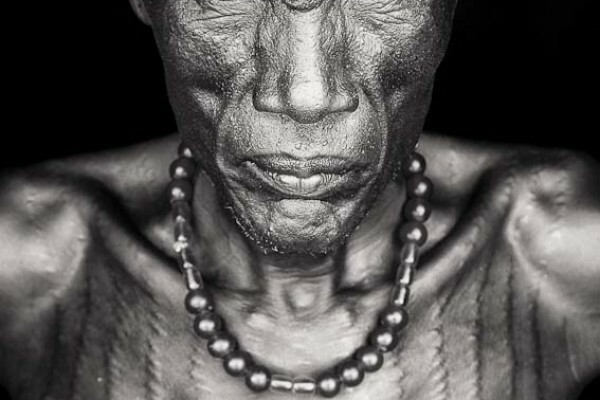 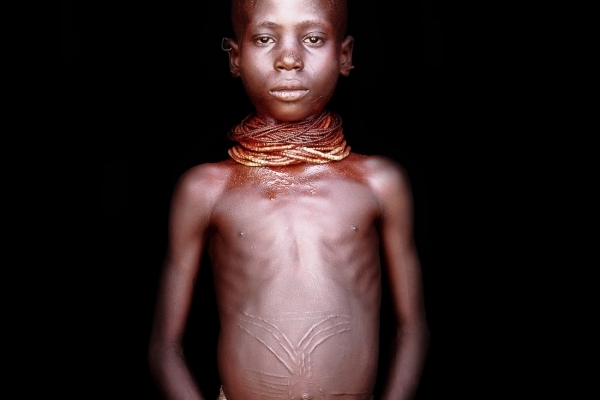 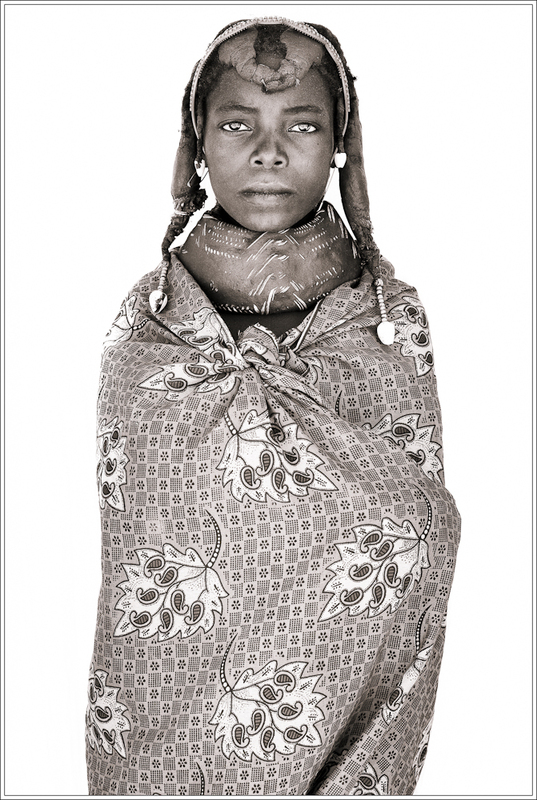 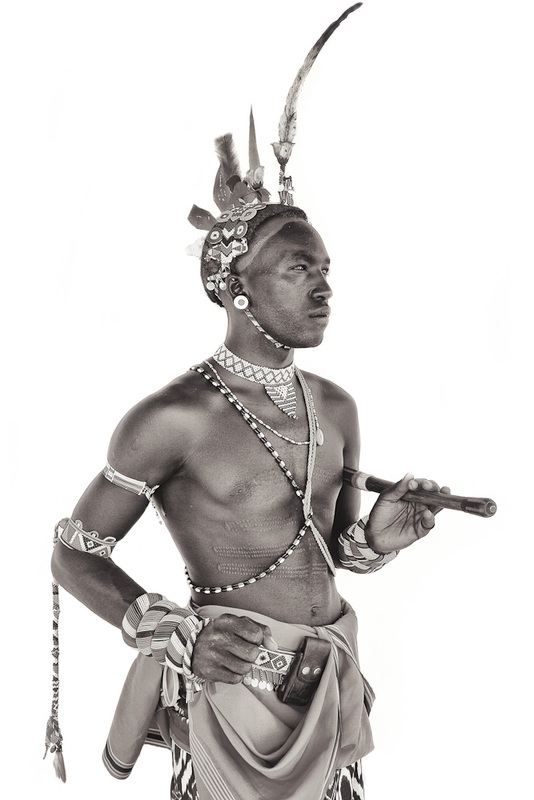 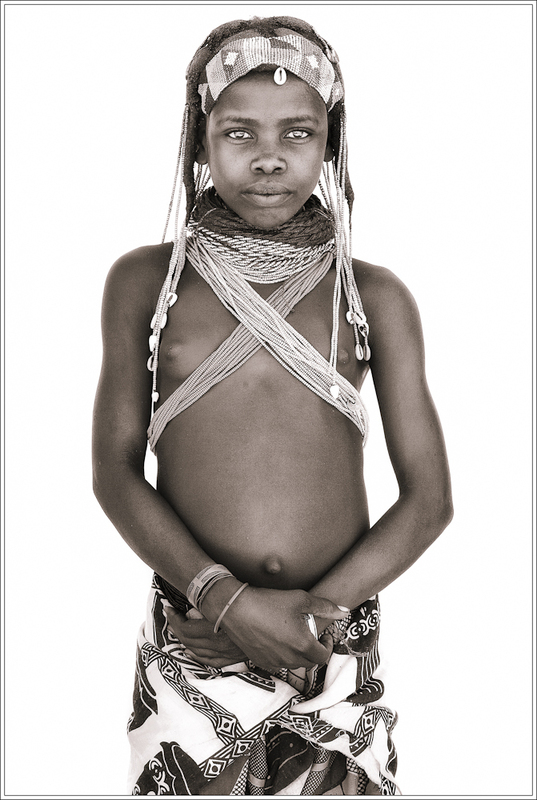 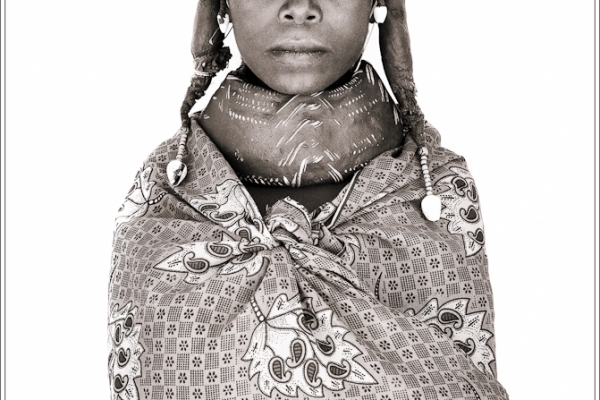 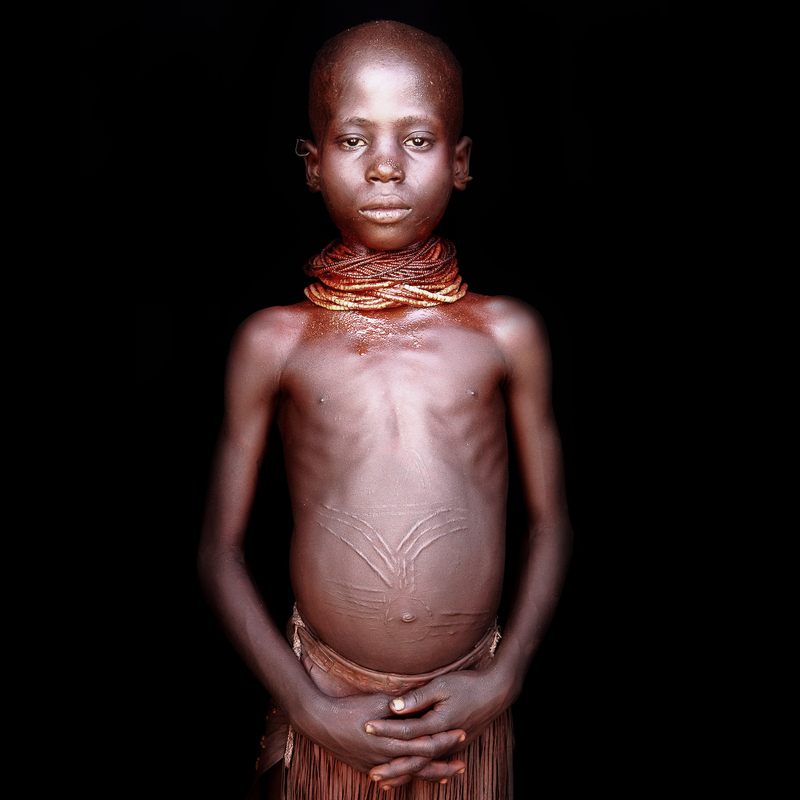 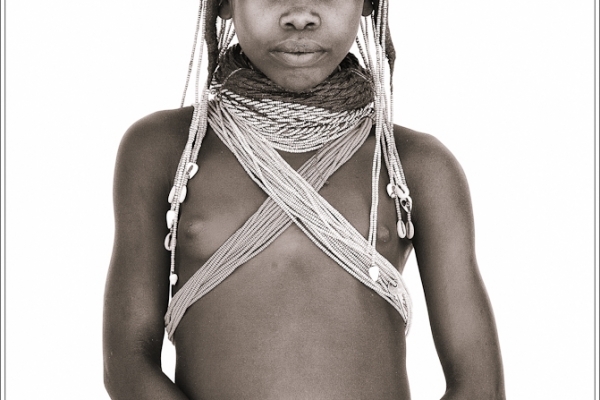 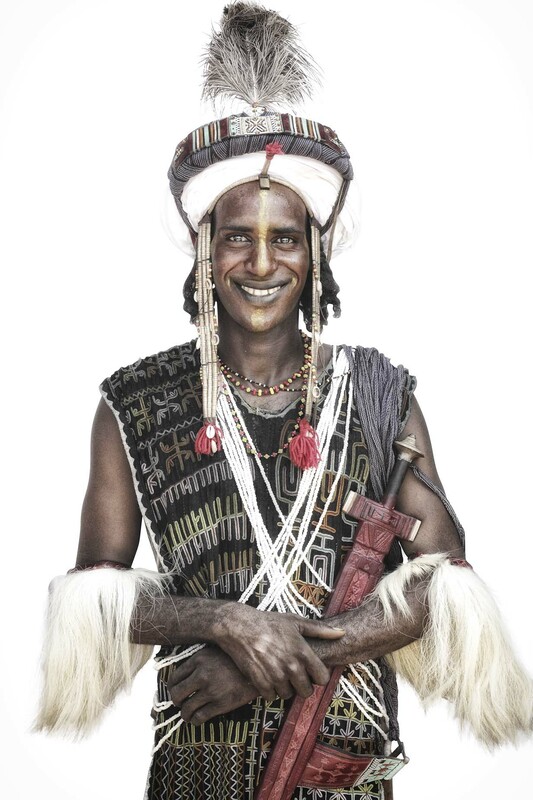 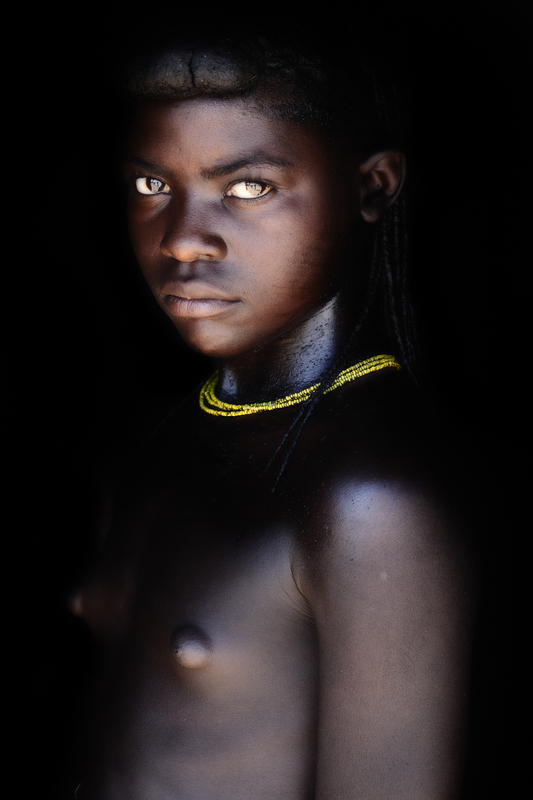 Only the half-body portrait reveals the full abundance of cultures of the tribes in the south of Angola. 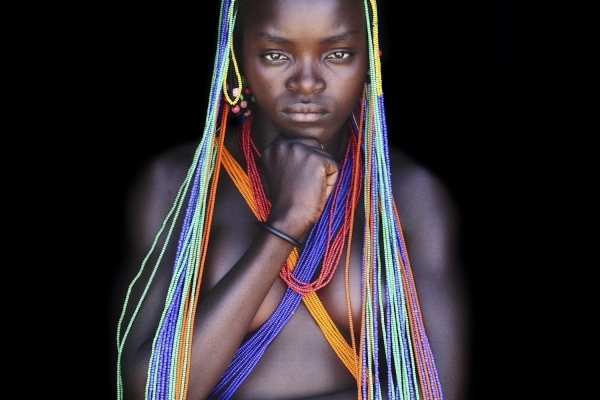 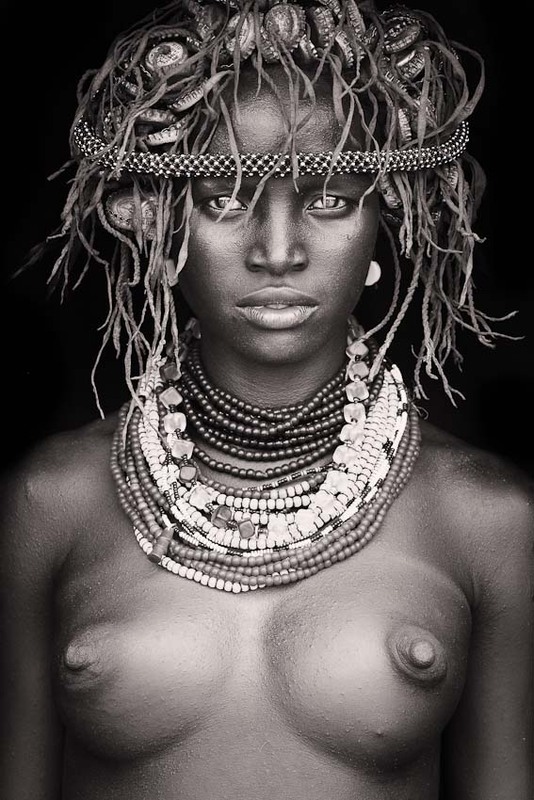 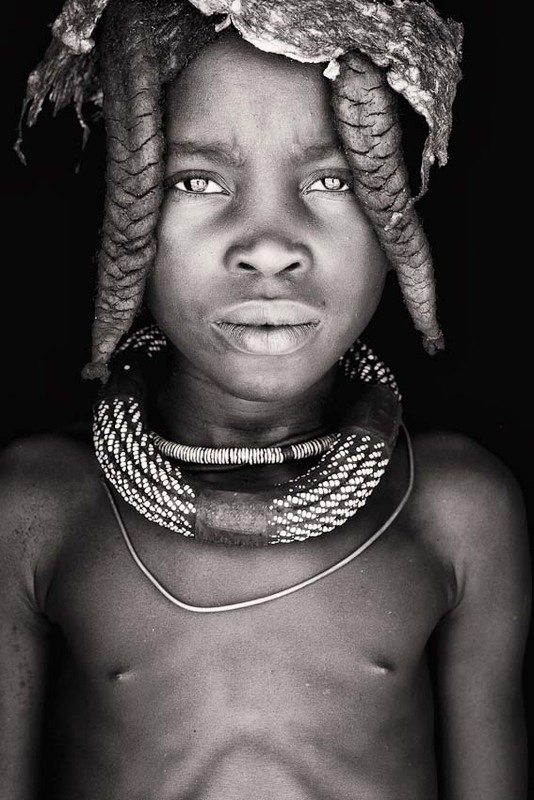 Adorned hair and clothing reveal something about people, like an open book.